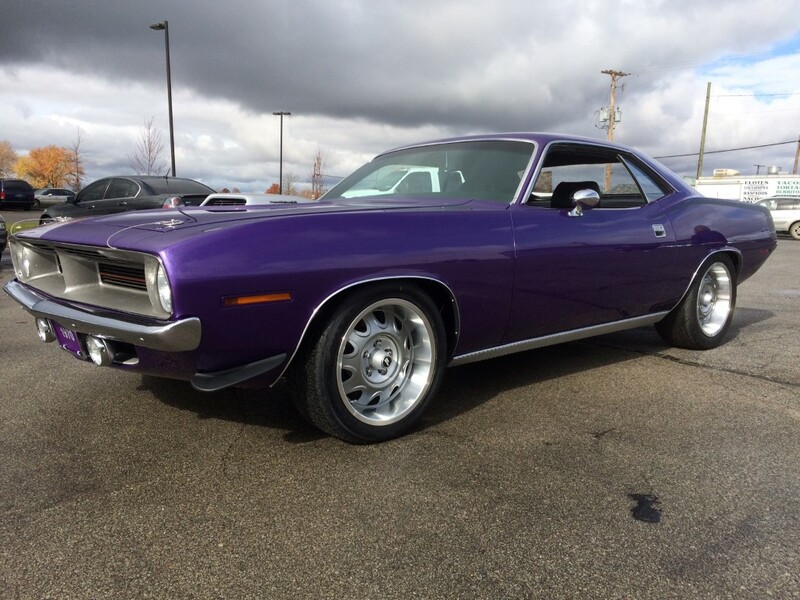 You’ll get few arguments, even from Chevy and Ford fans, that Mopar wasn’t hitting on all eight cylinders during the height of the muscle car era. 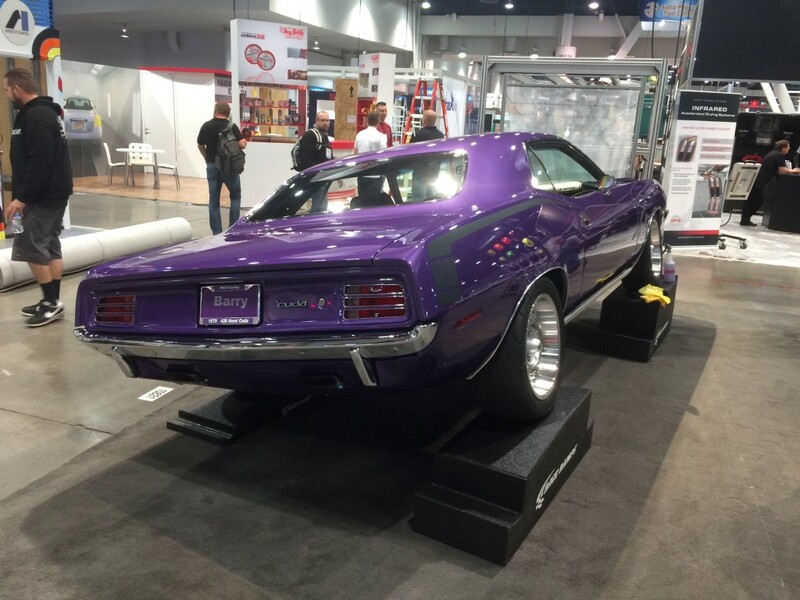 Their engines dominated the tracks, their styling was stunning on the street, and in the case of the pony car twins, ‘Cuda and Challenger, the combination was insanely appealing. 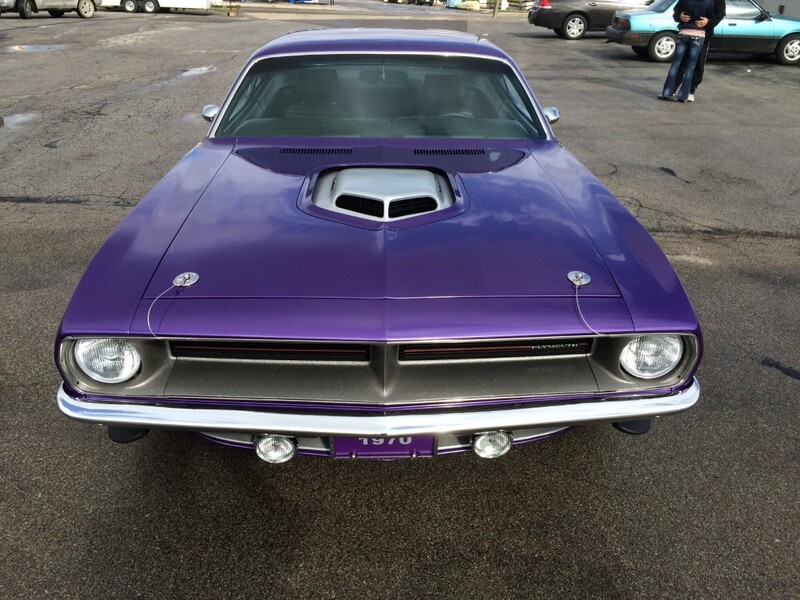 Today, top-flight Mopar muscle remains in demand for all these reasons, but if you seek to go beyond the factory’s abilities—because, admittedly, they drive like 45-year-old cars—you have to do something special. 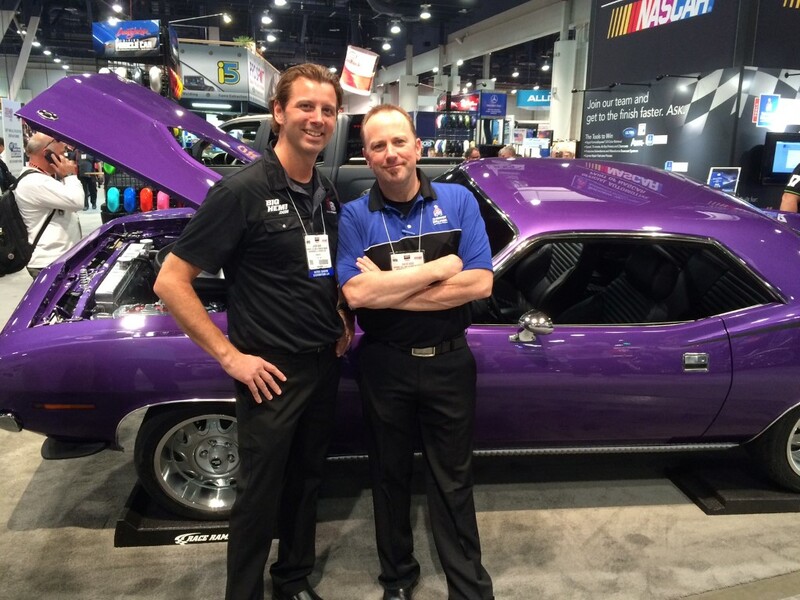 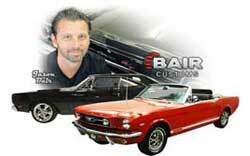 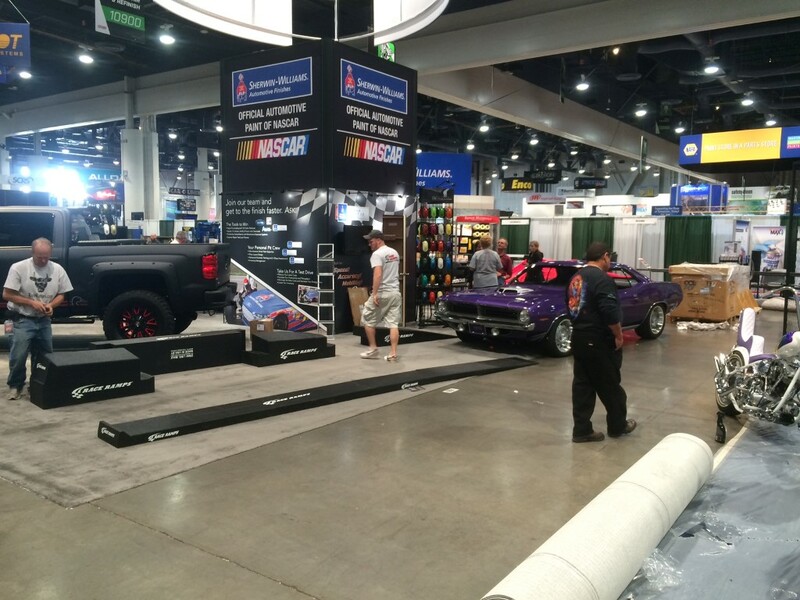 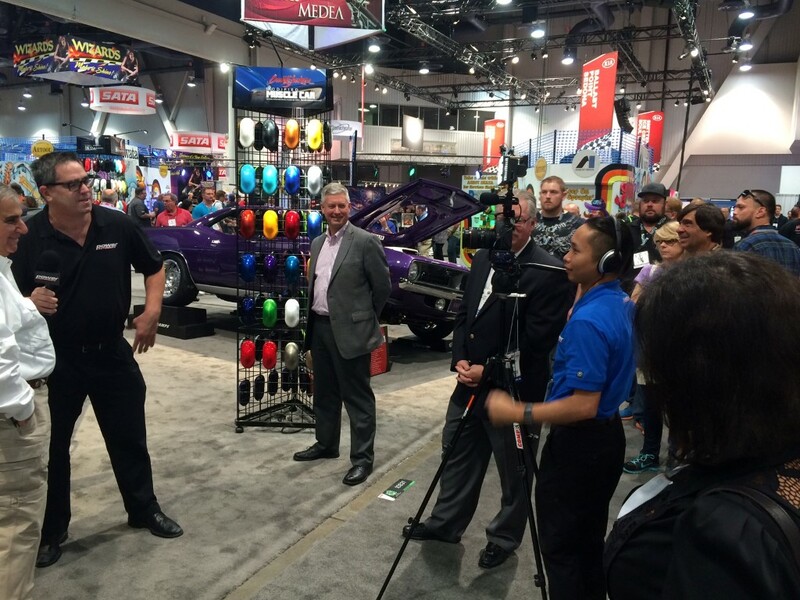 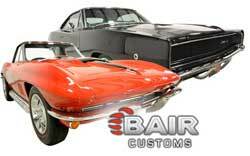 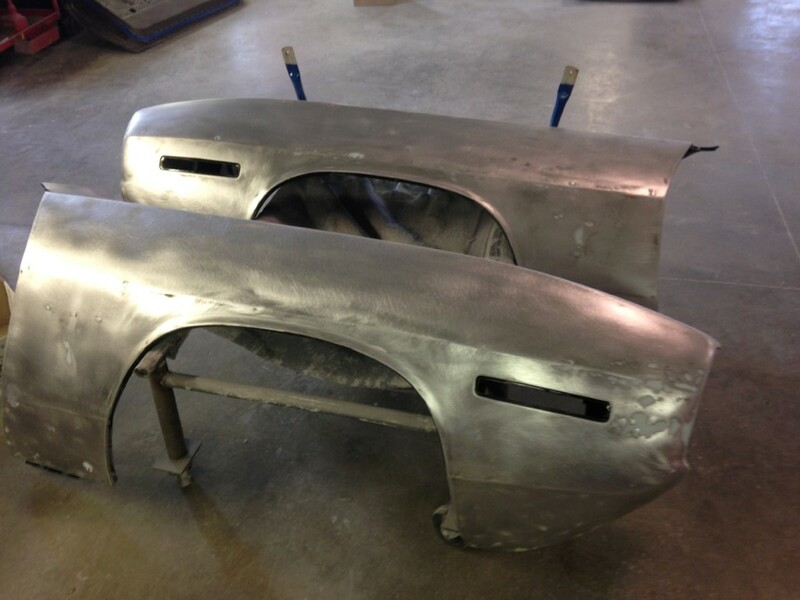 Enter Jason Bair and the experts at Bair Customs, home of the Big Hemi garage. 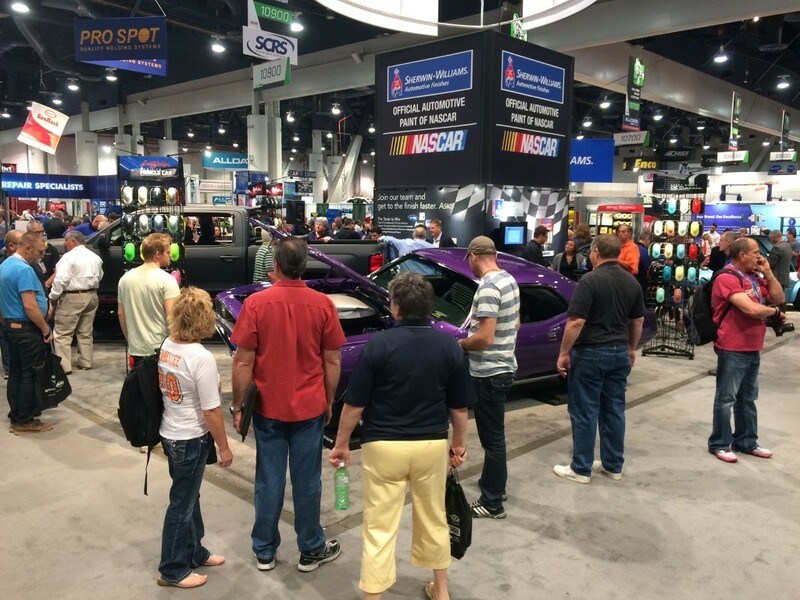 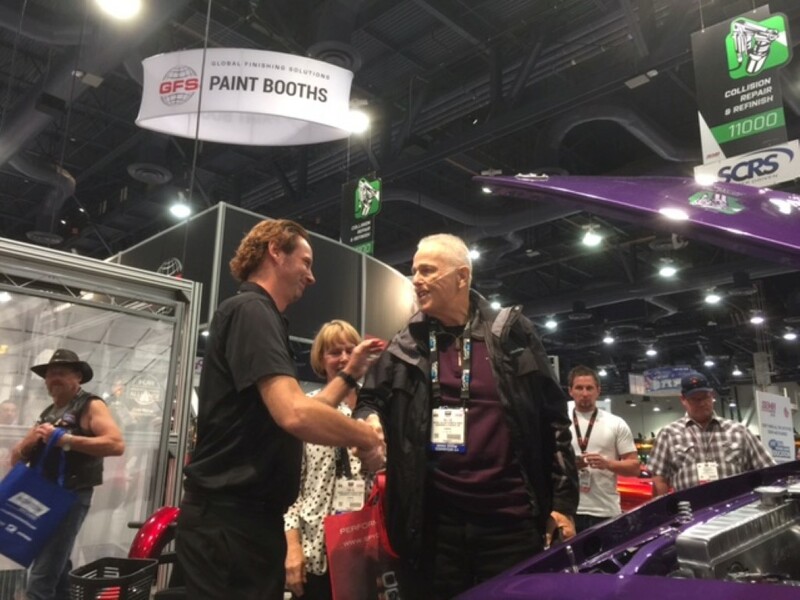 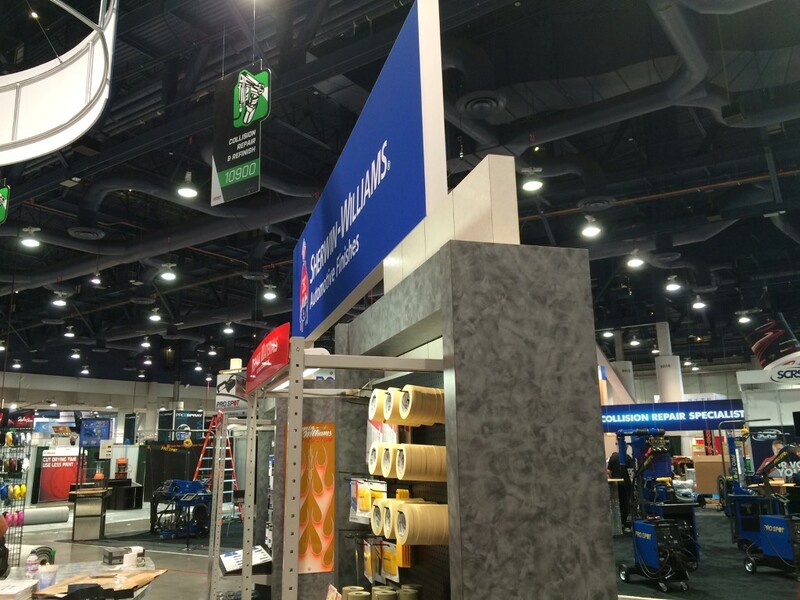 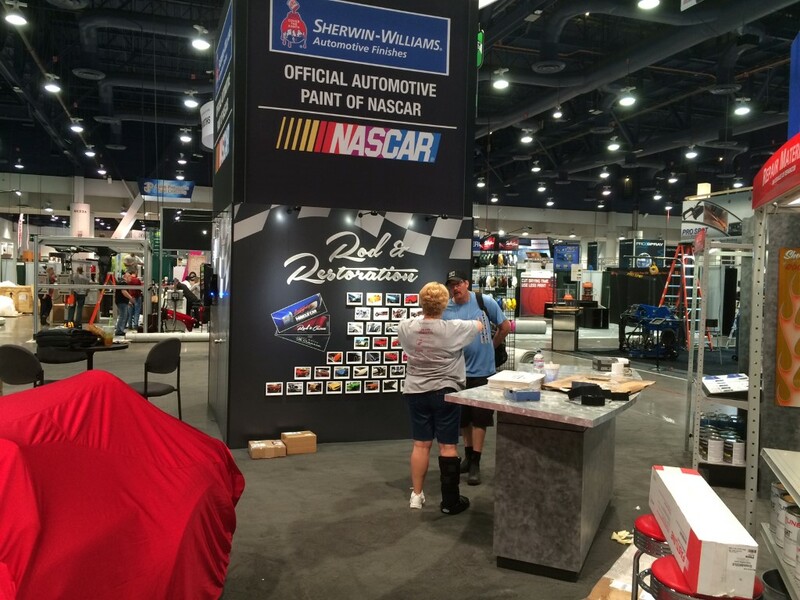 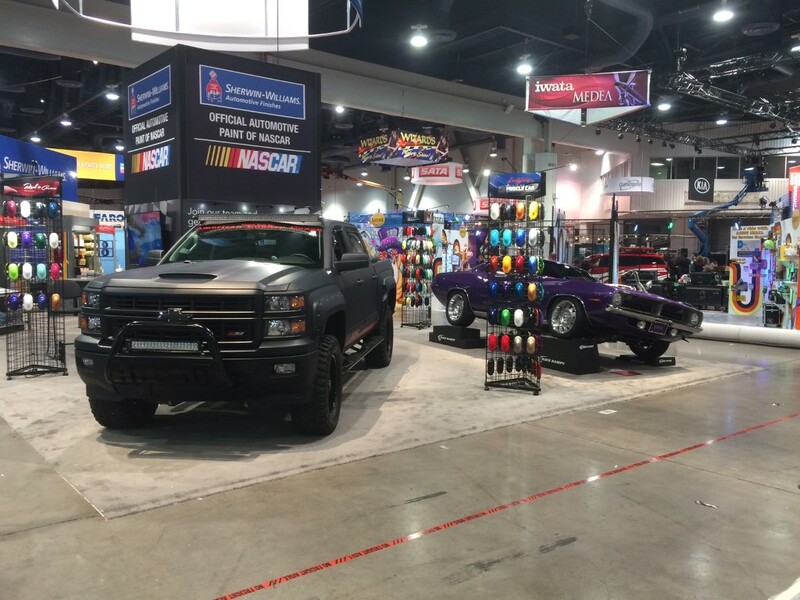 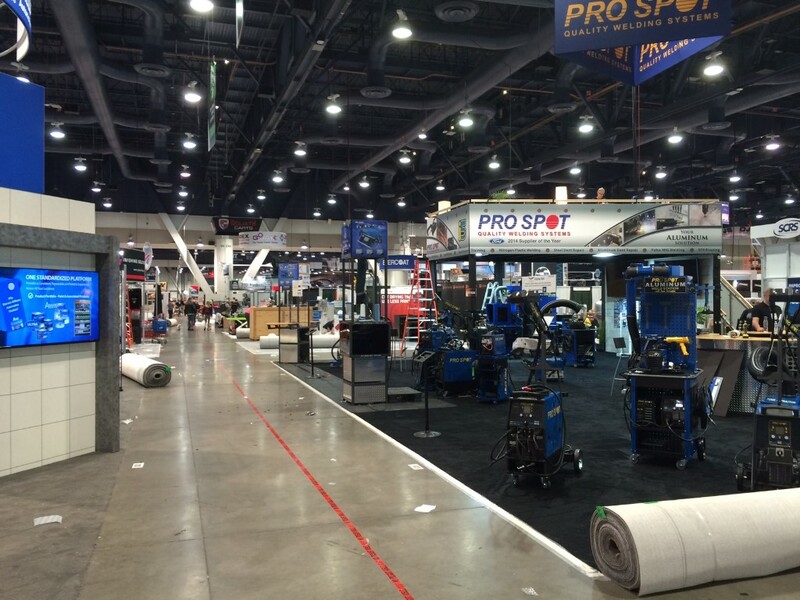 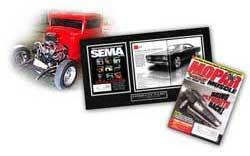 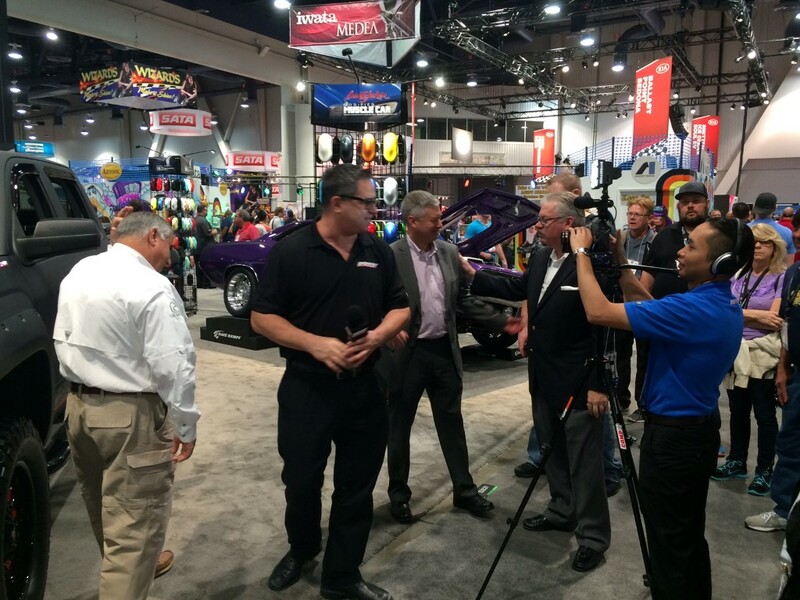 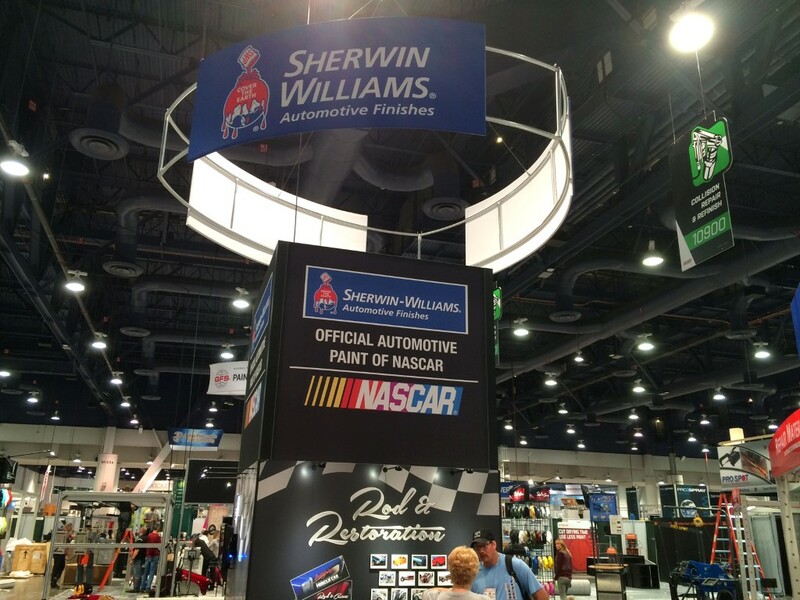 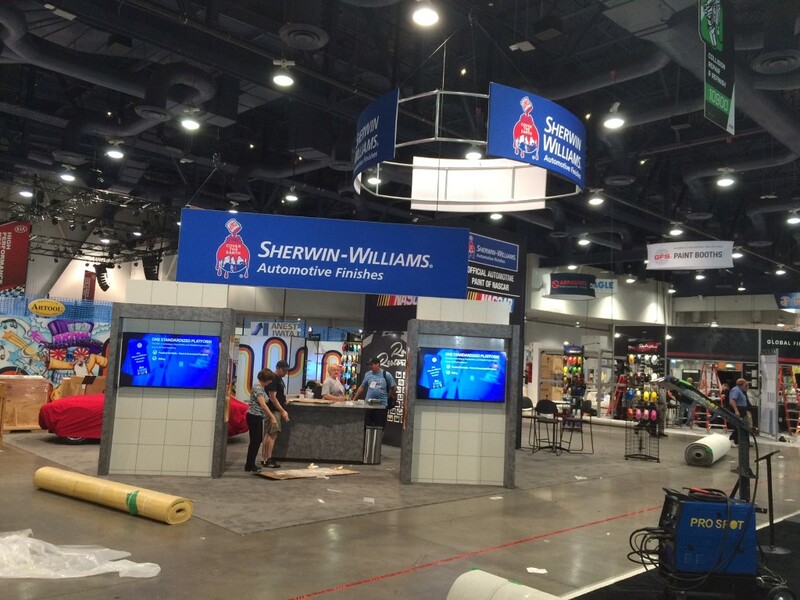 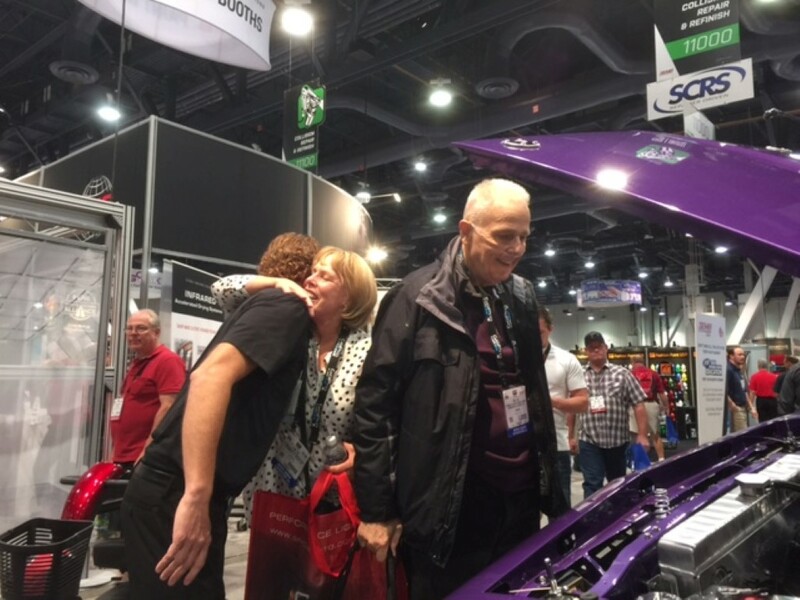 Perhaps you’re familiar with their work, since they’ve appeared in many big magazines, on automotive TV shows, and even as featured cars at SEMA and the Barrett-Jackson auctions. 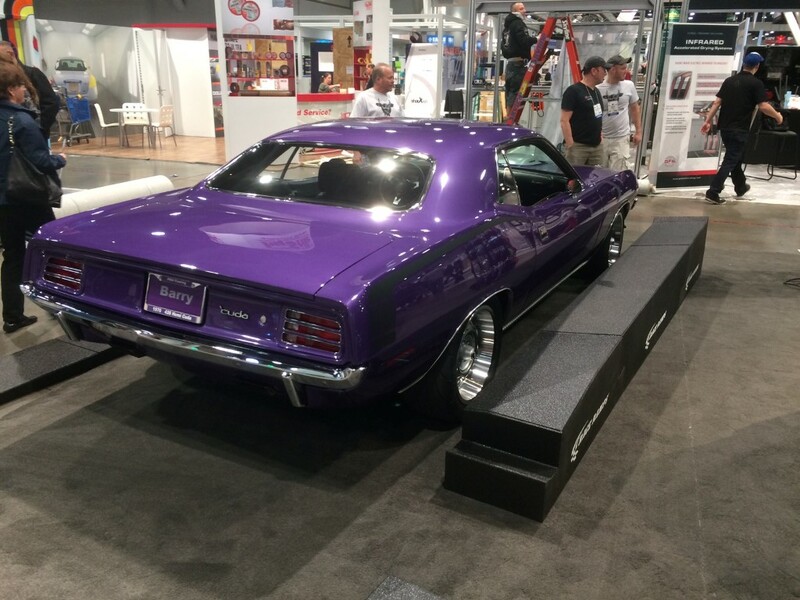 The concept on this SEMA ‘Cuda build was to stay with a factory flavor, while adding some subtle updated hardware not found in an original 70’s muscle car. 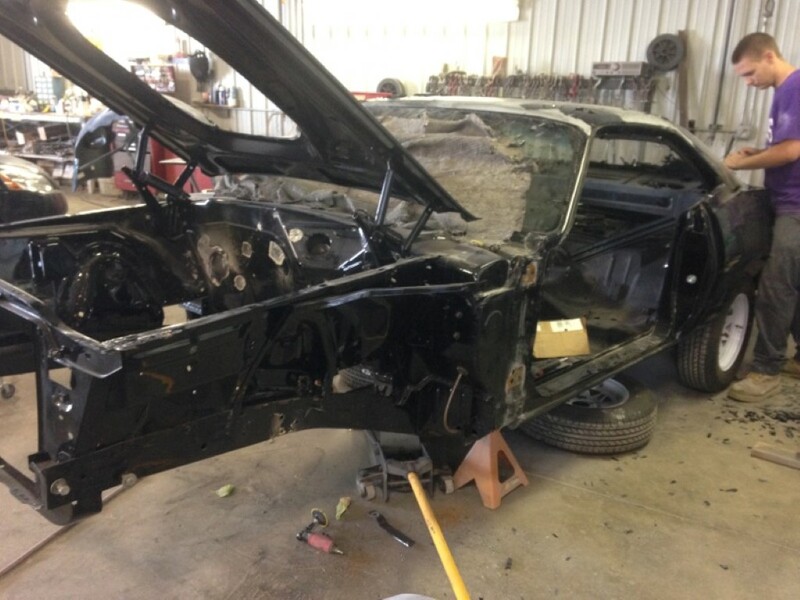 They sourced a clean slant 6 ‘Cuda, complete without engine and transmission, and tore it down to a bare shell and rebuilt it from the molecular level on up. 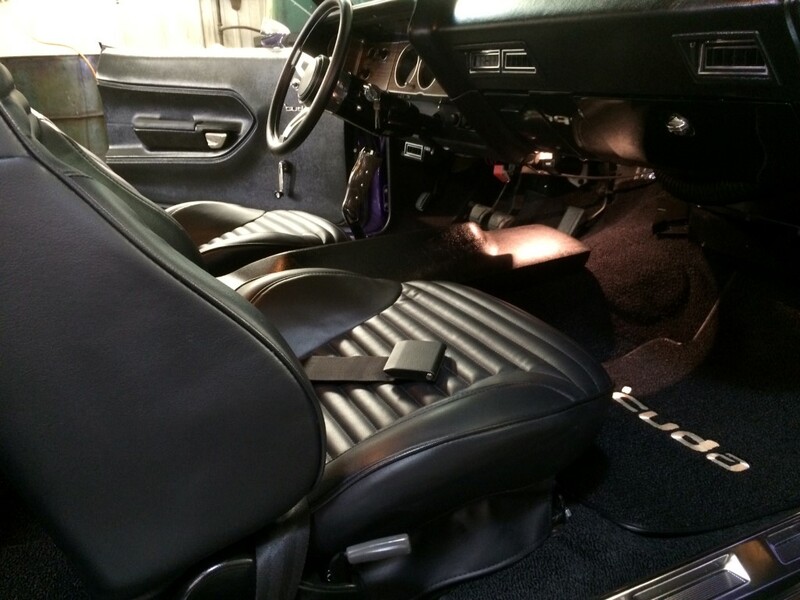 The result is a car that looks fairly stock aside from the rolling stock, but moves like a modern supercar with all the creature comforts. 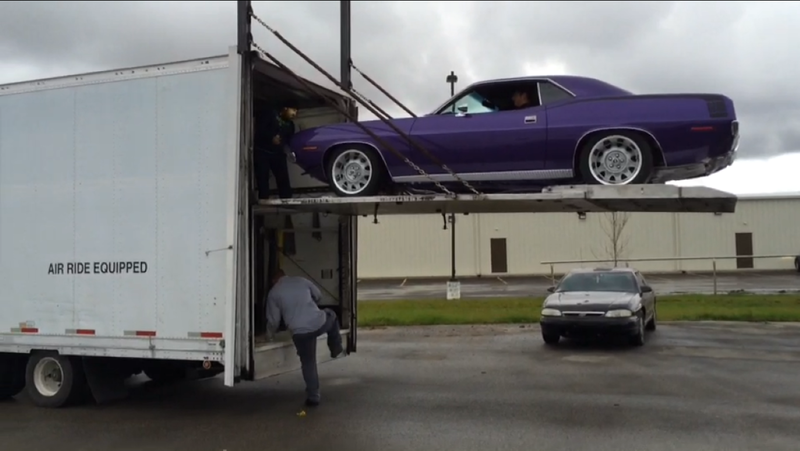 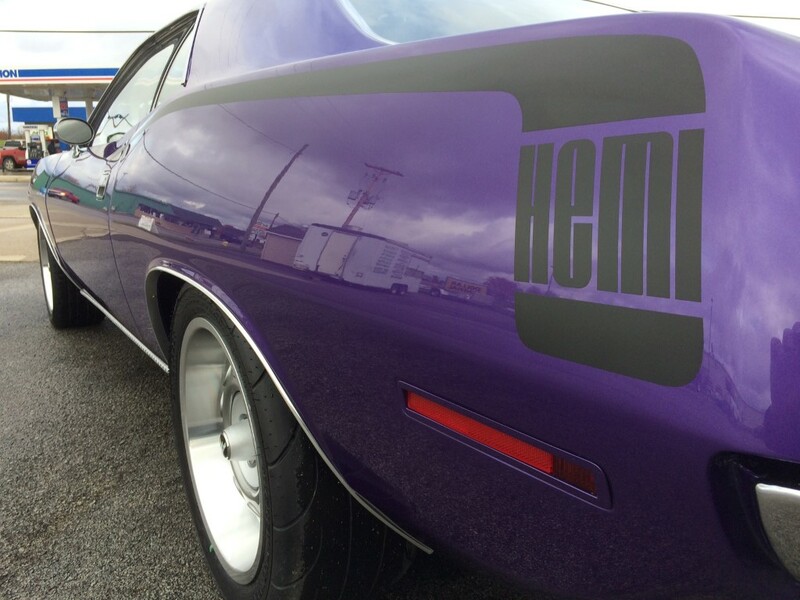 In short, it’s the pure essence of pro-touring, Mopar style. 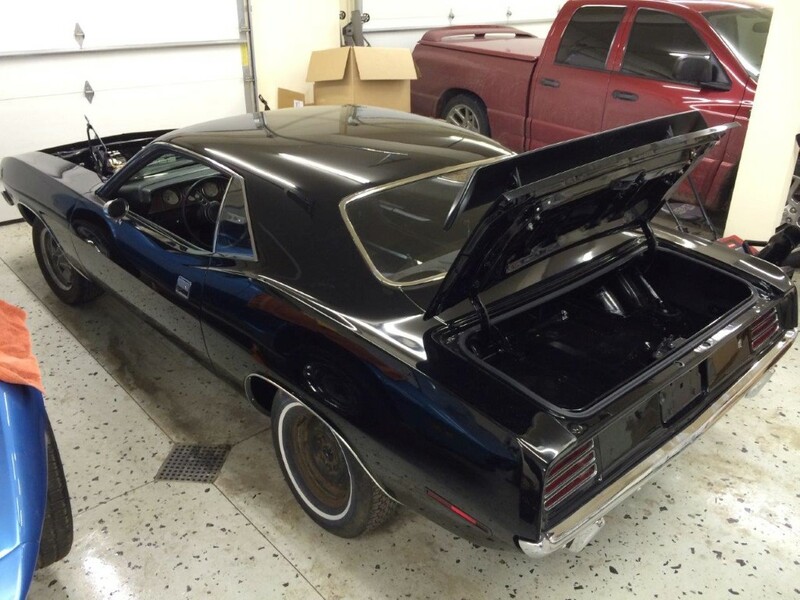 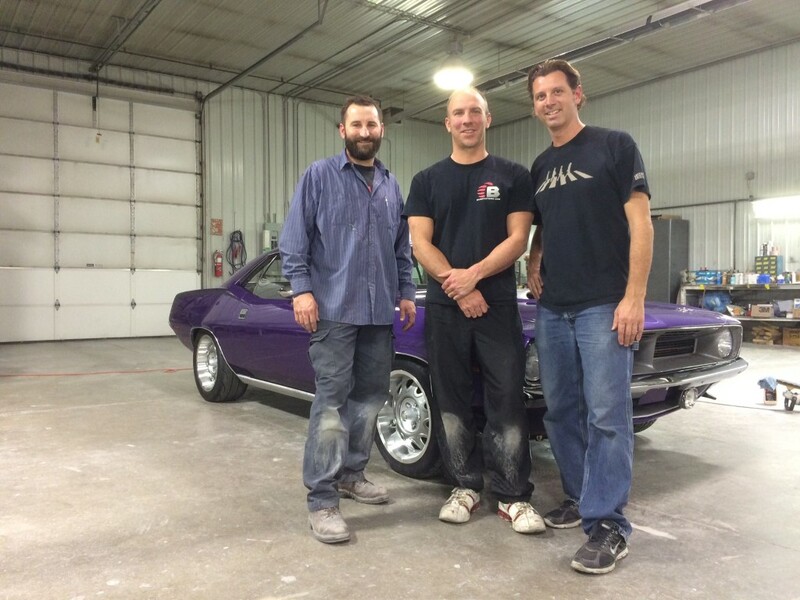 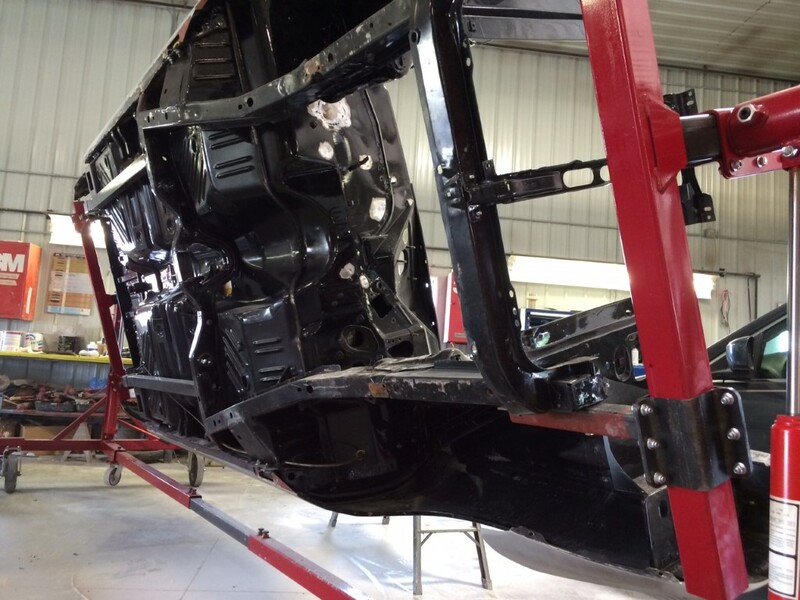 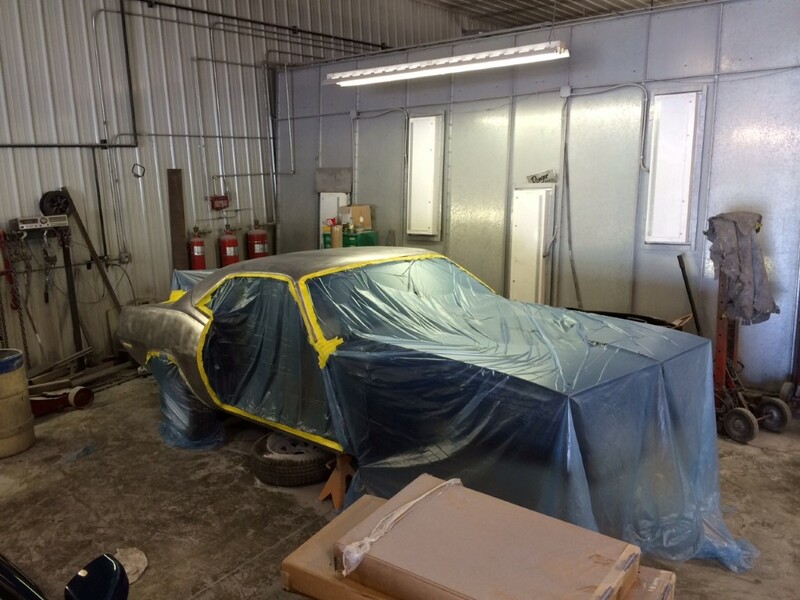 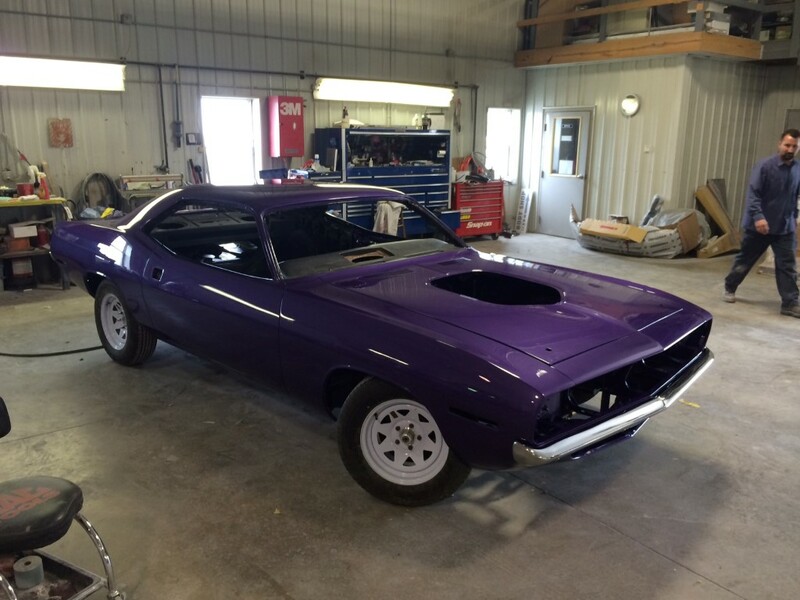 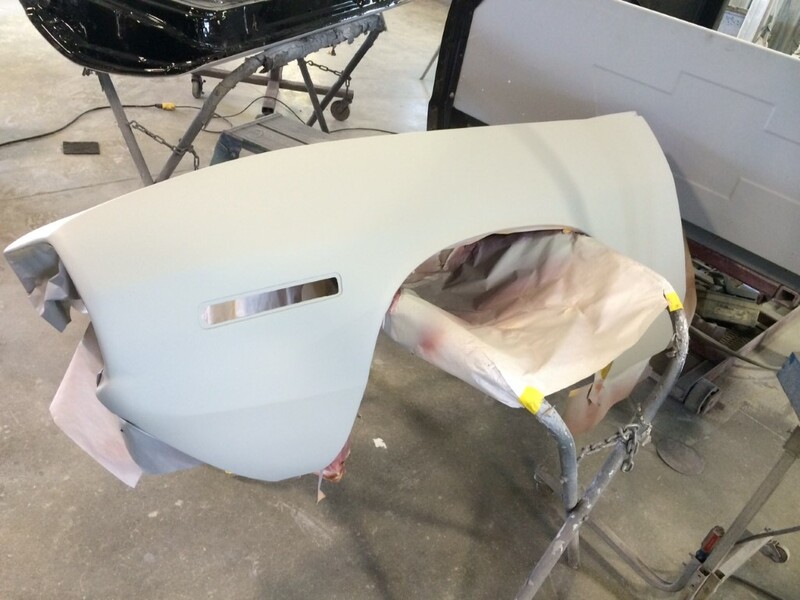 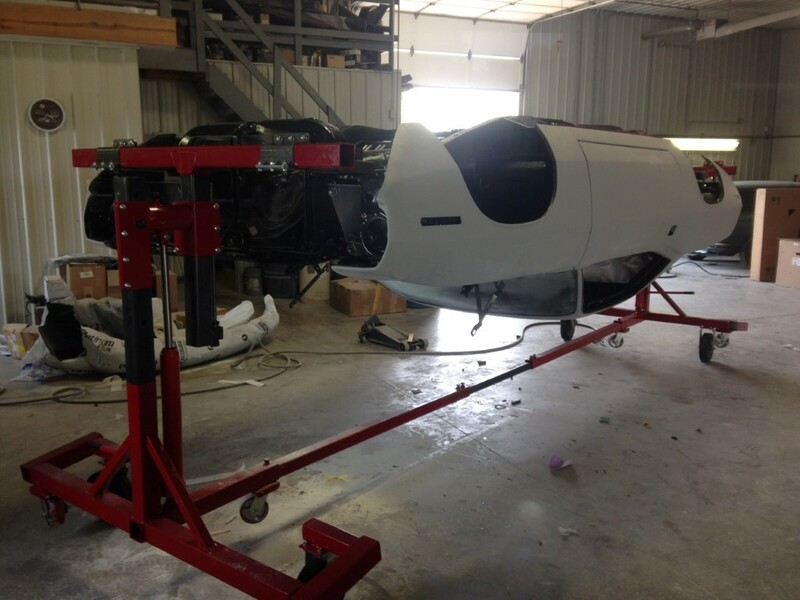 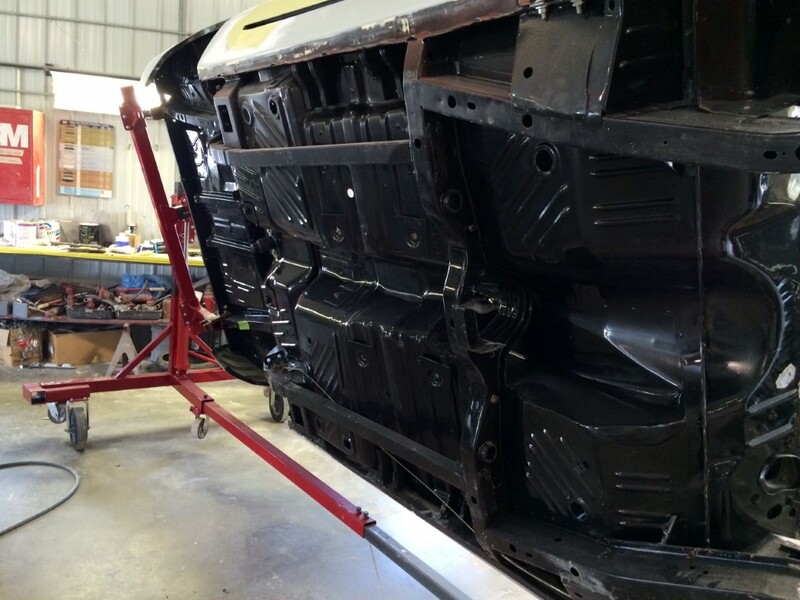 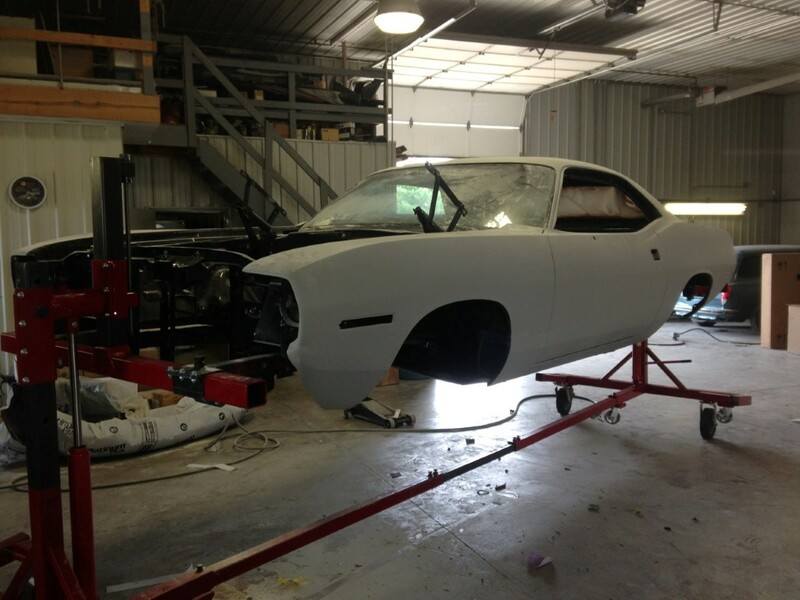 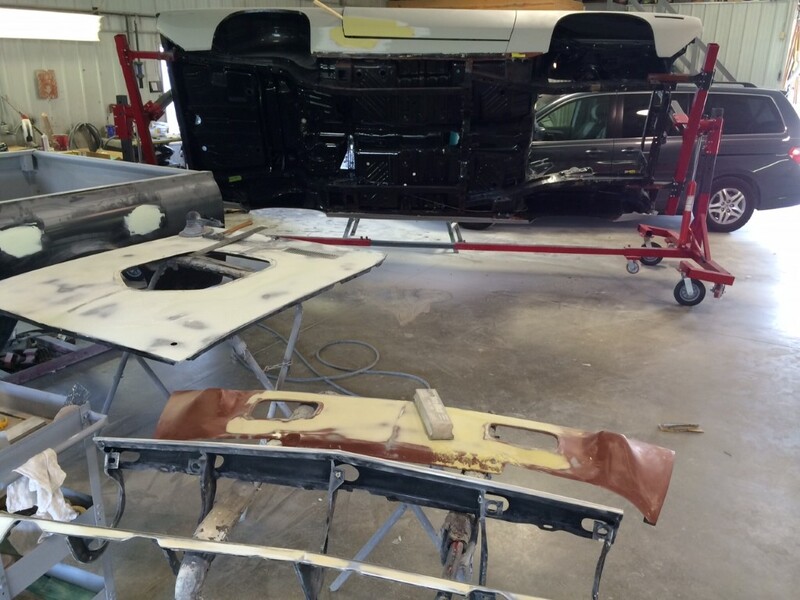 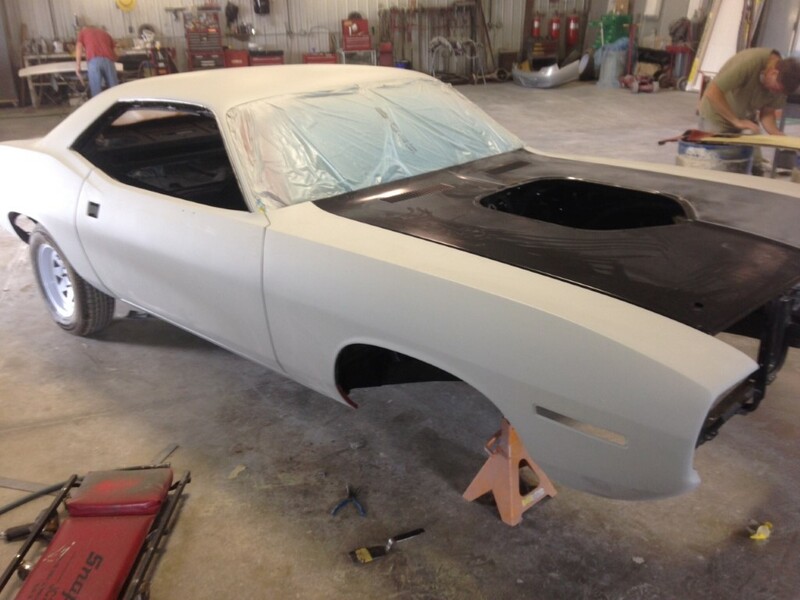 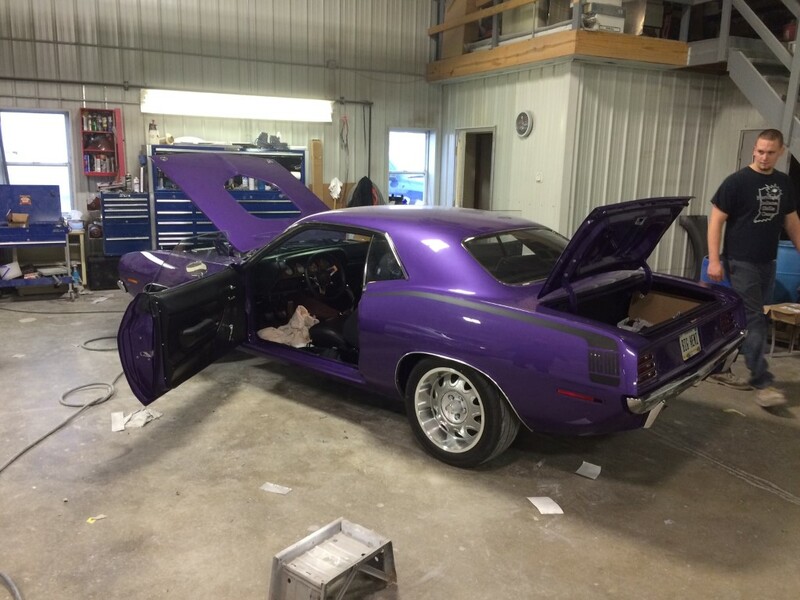 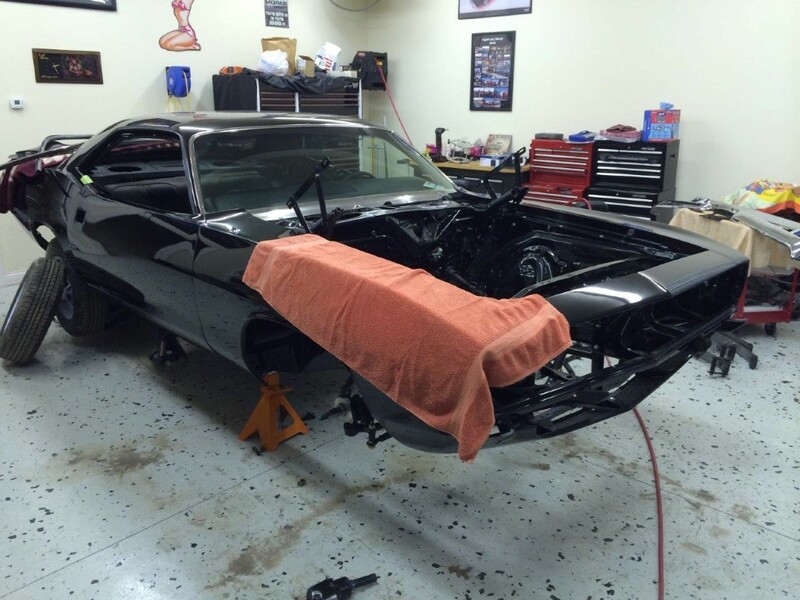 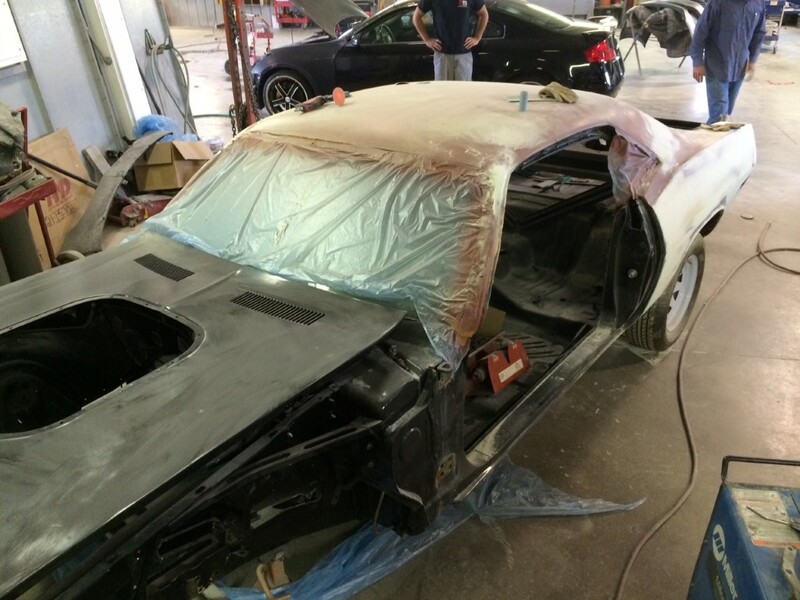 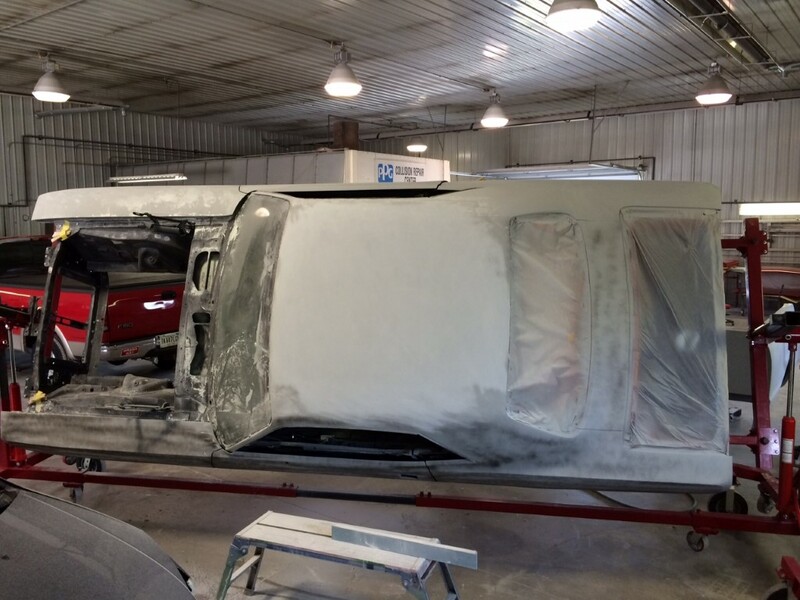 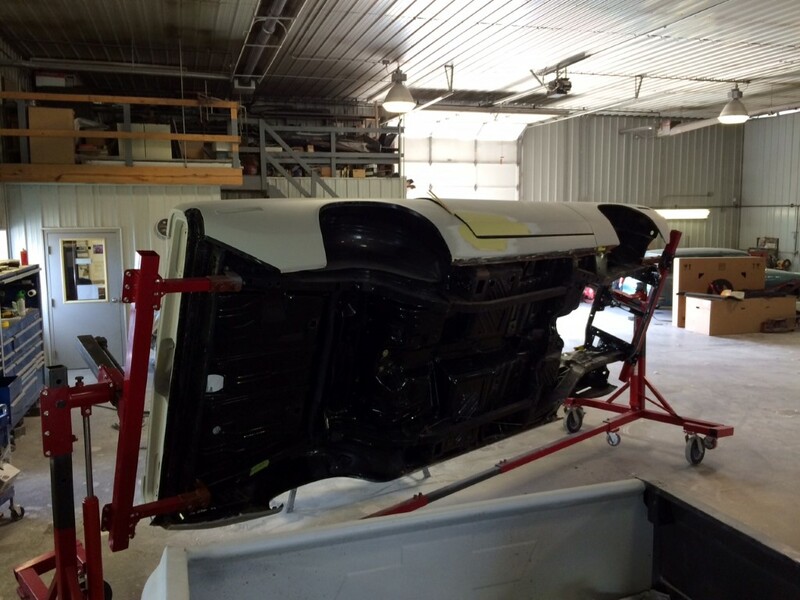 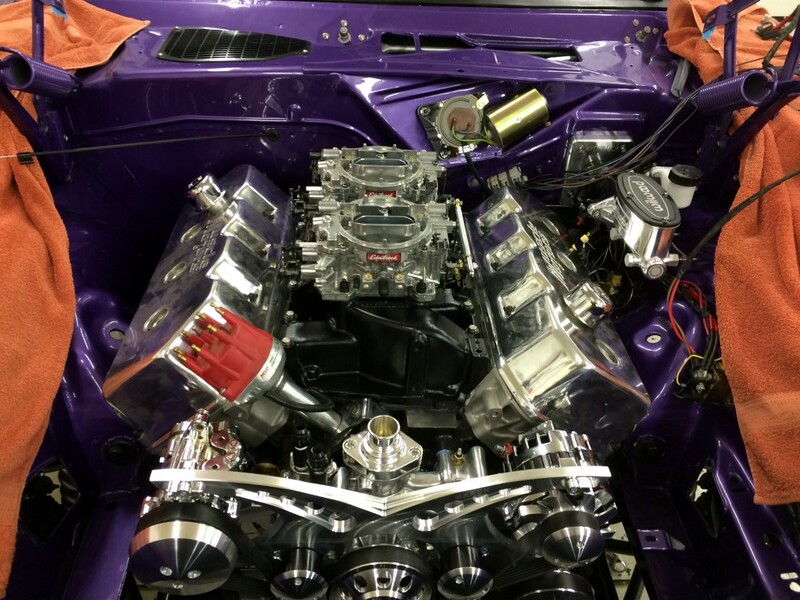 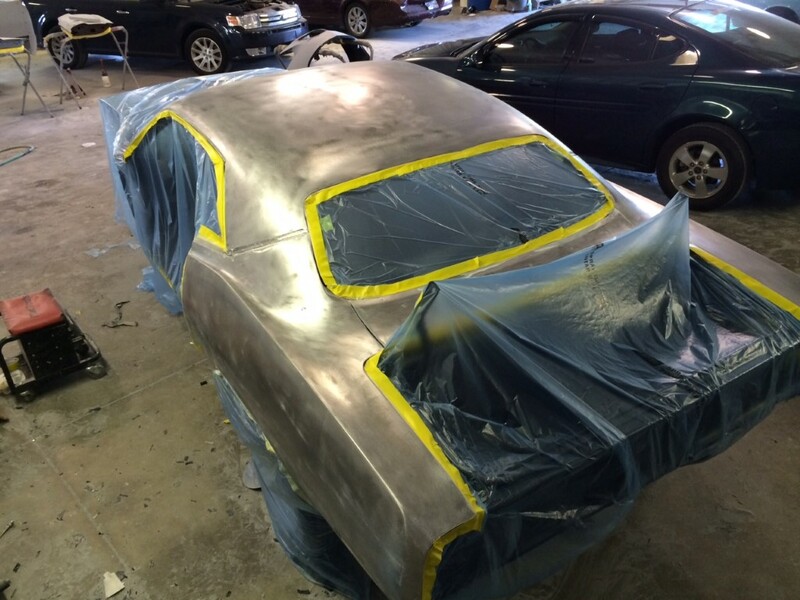 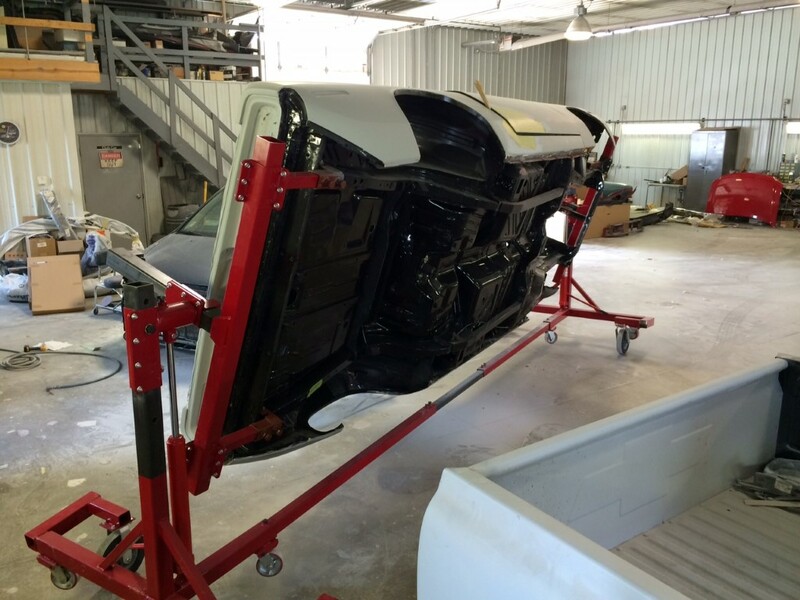 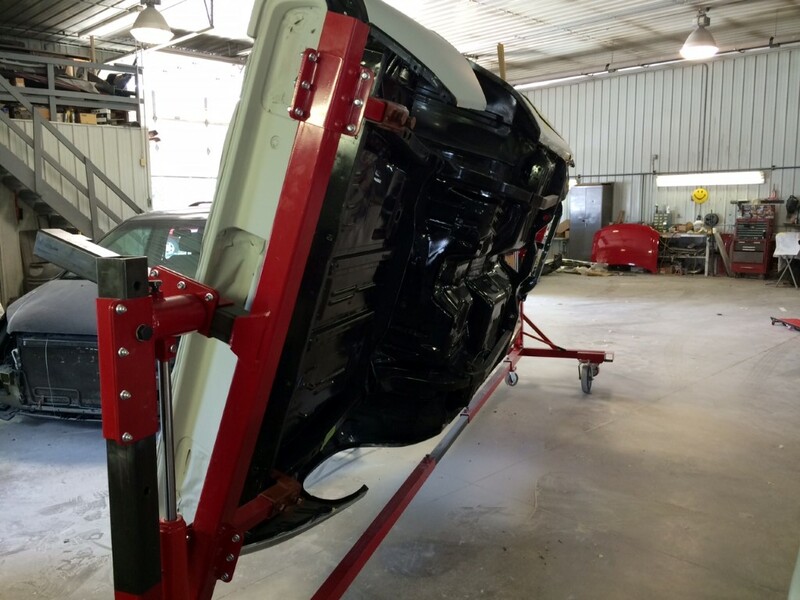 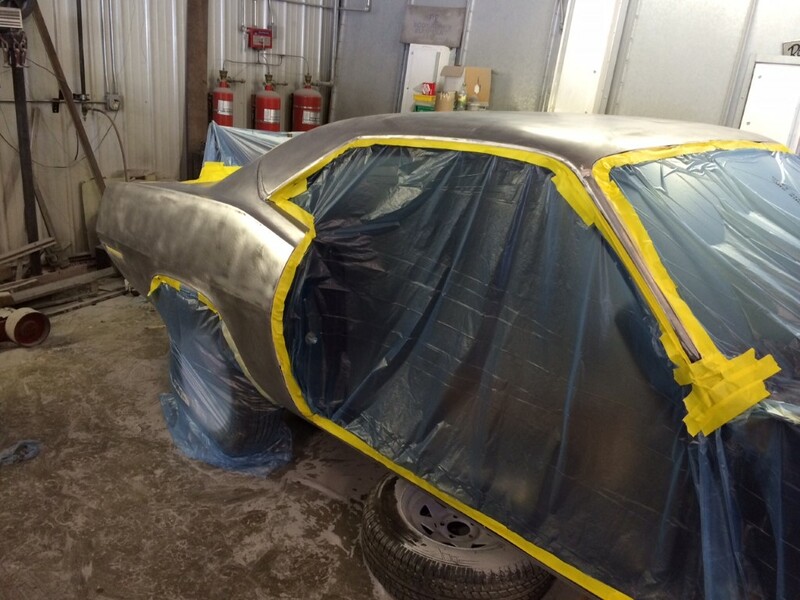 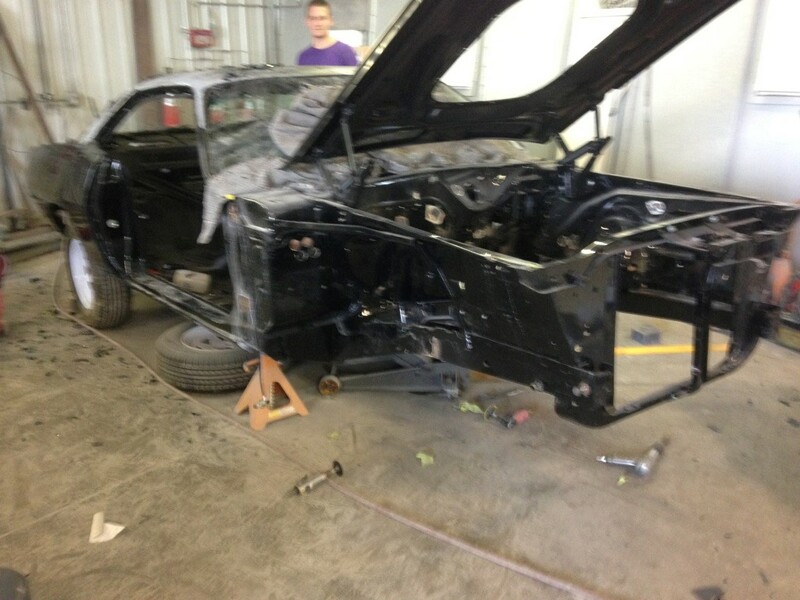 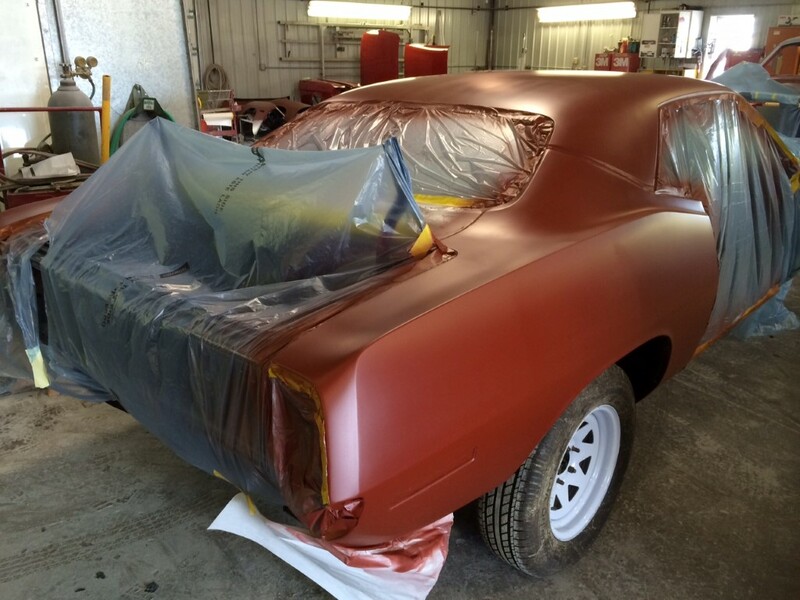 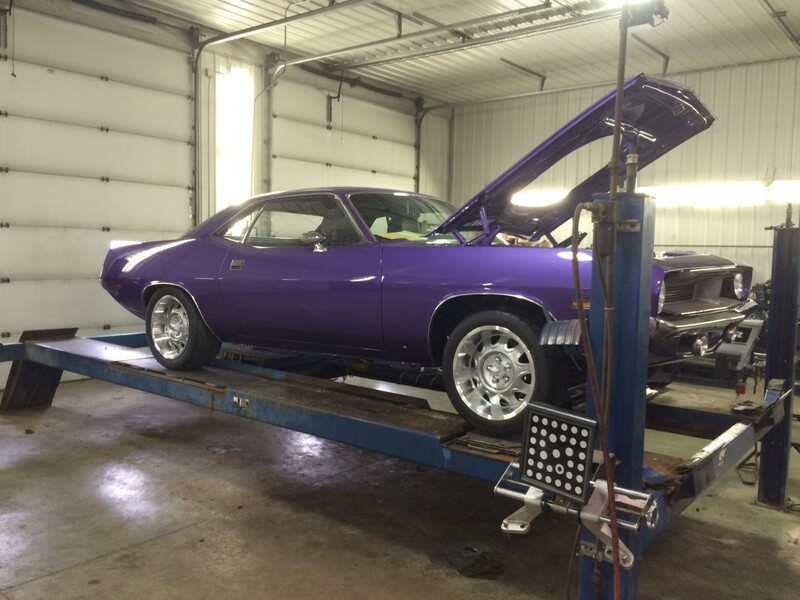 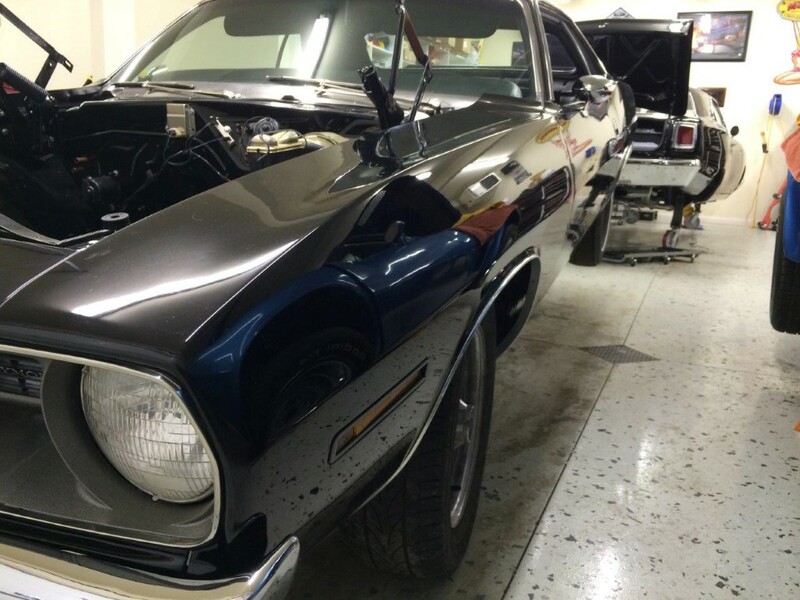 With the help of Mike Roy and the guys at Grabill Automotive, that ‘Cuda body was stripped naked, they fixed every bump and bruise it had ever suffered. 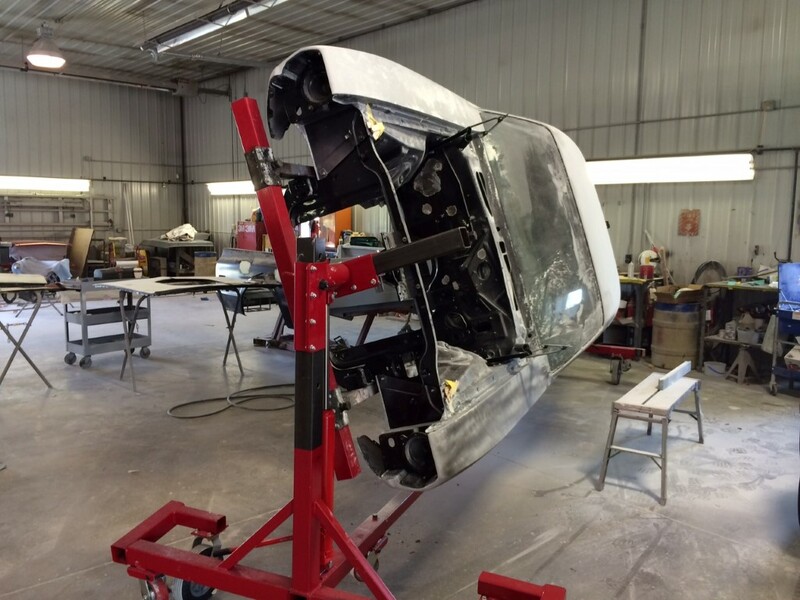 If the panel was too far gone to be salvaged, it was replaced and invisibly stitched into the existing shell. 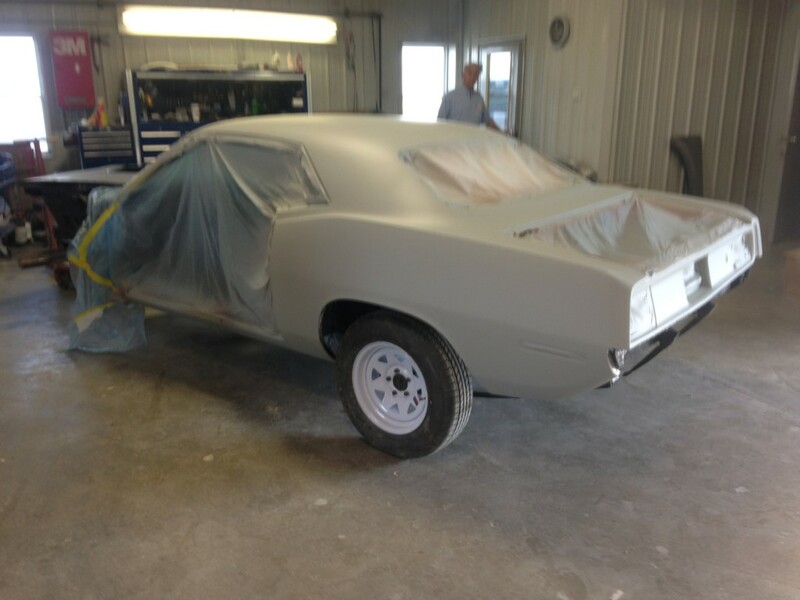 It was primed, sanded, blocked, sanded some more, until it was totally straight. 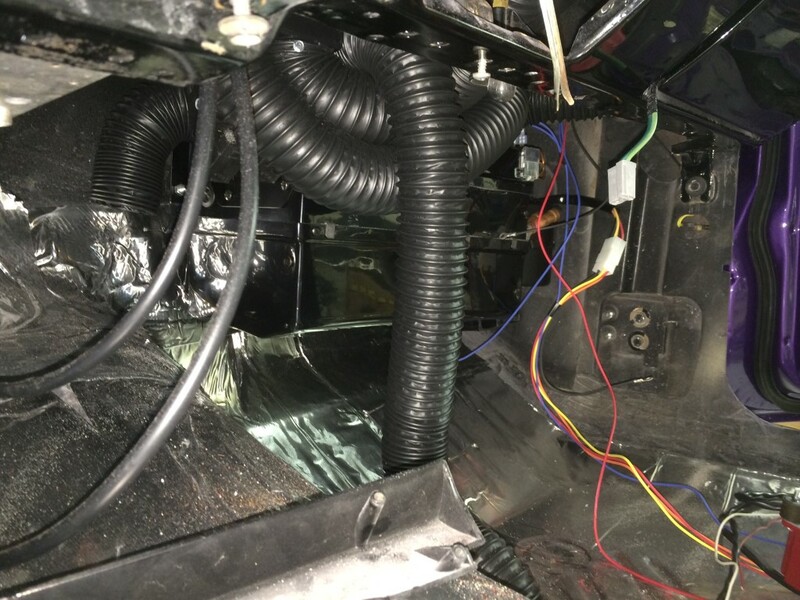 On the rotisserie, even the floors were sanded, filled, and smoothed to act as the perfect background for some pretty serious hardware (we’ll get to that stuff in a moment, don’t worry). 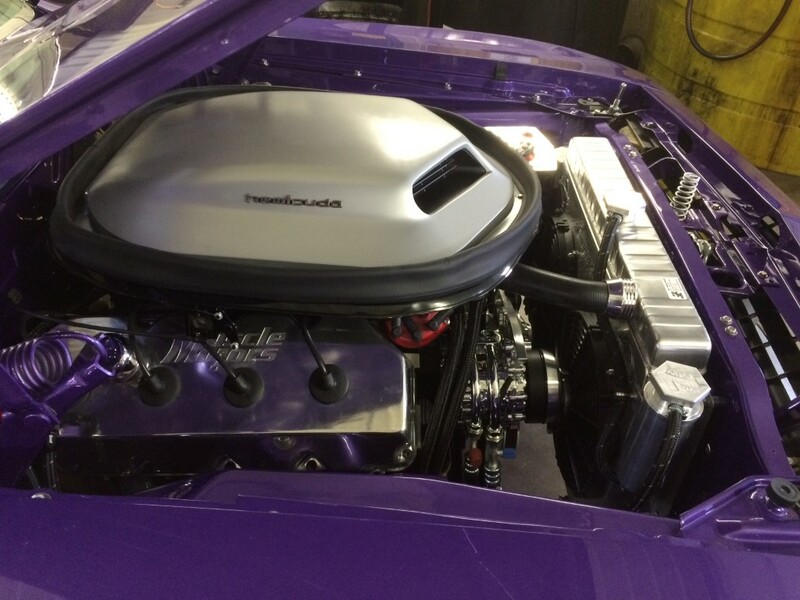 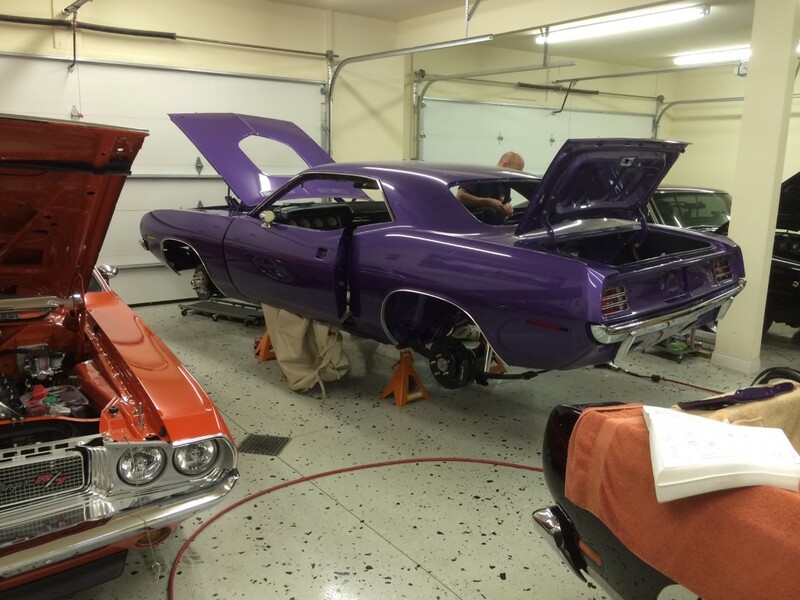 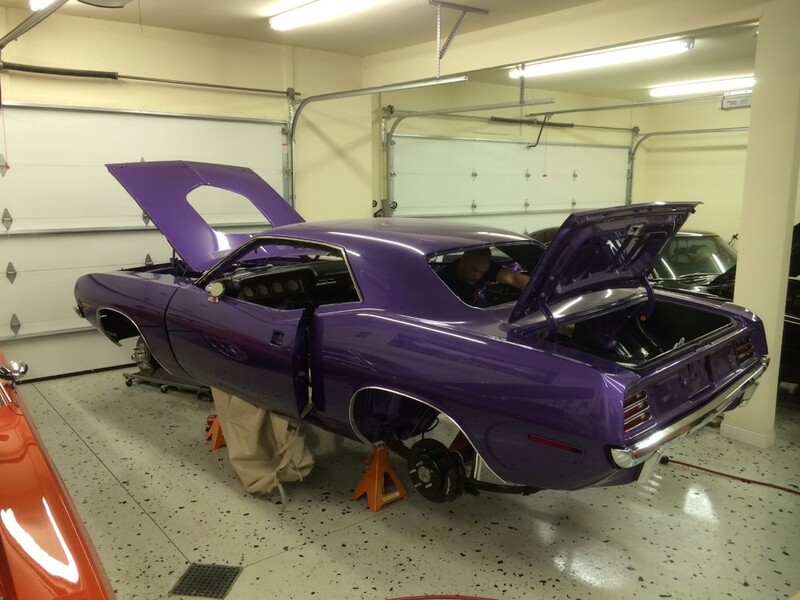 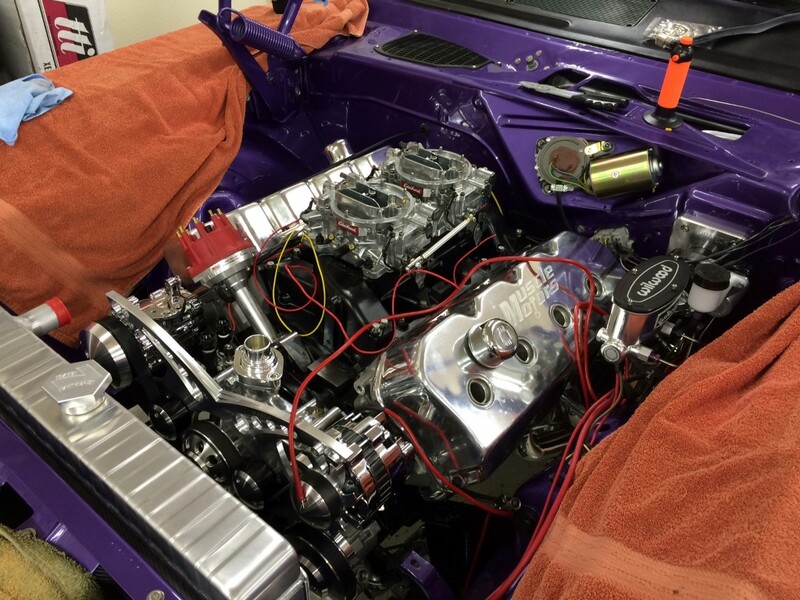 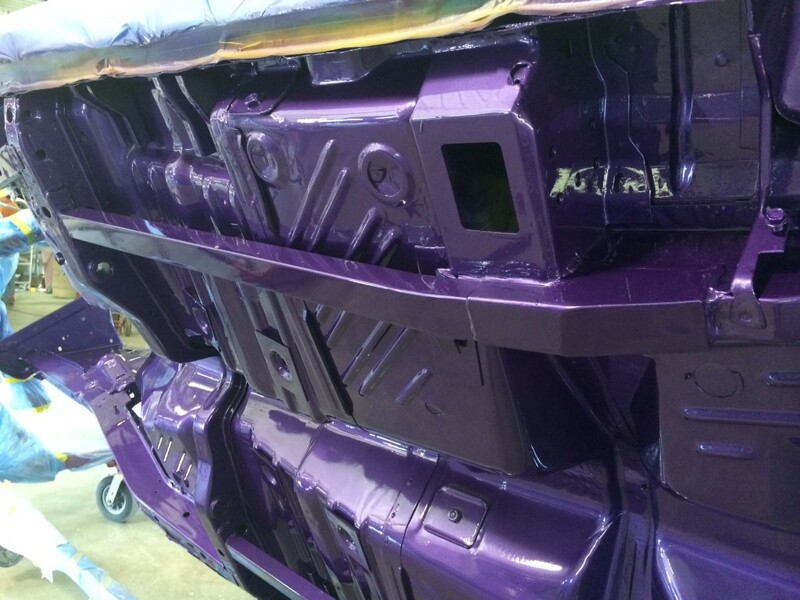 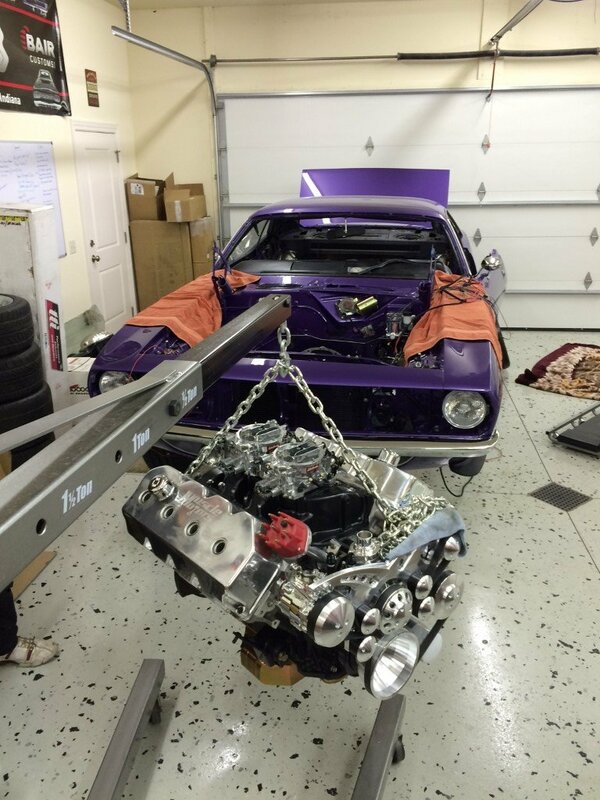 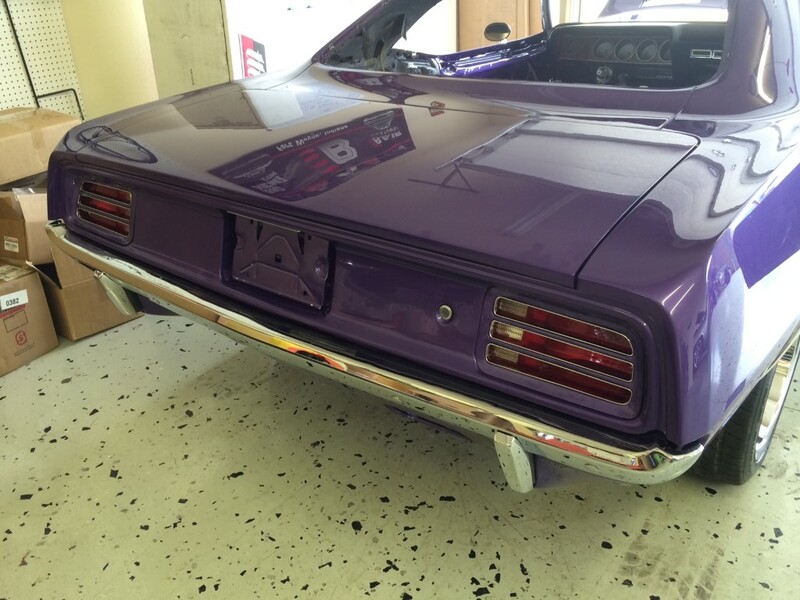 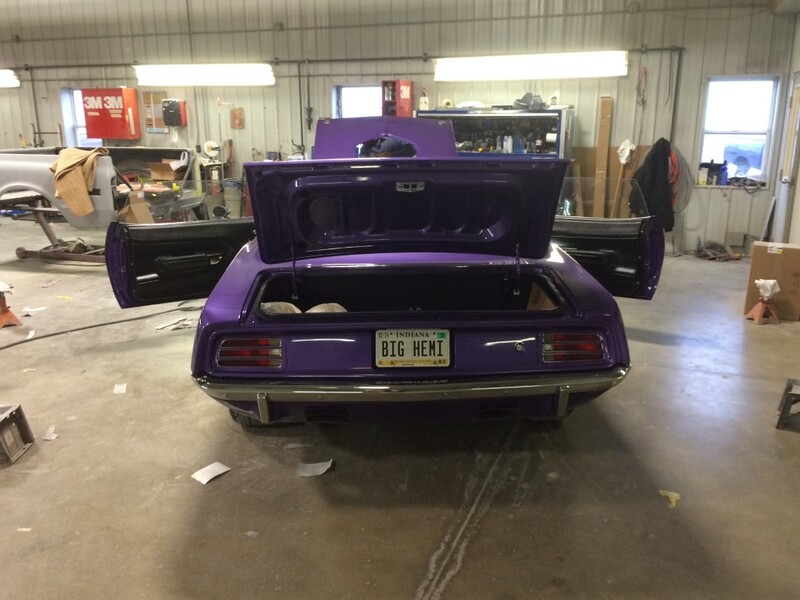 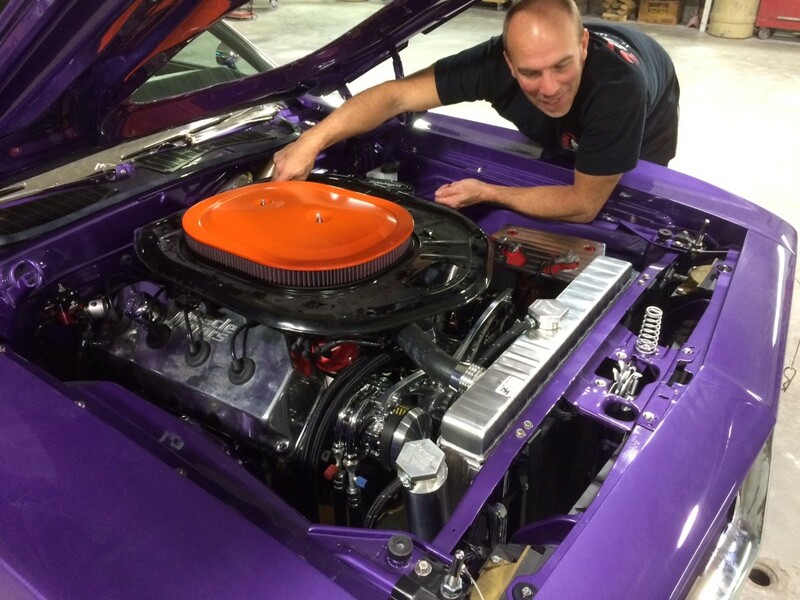 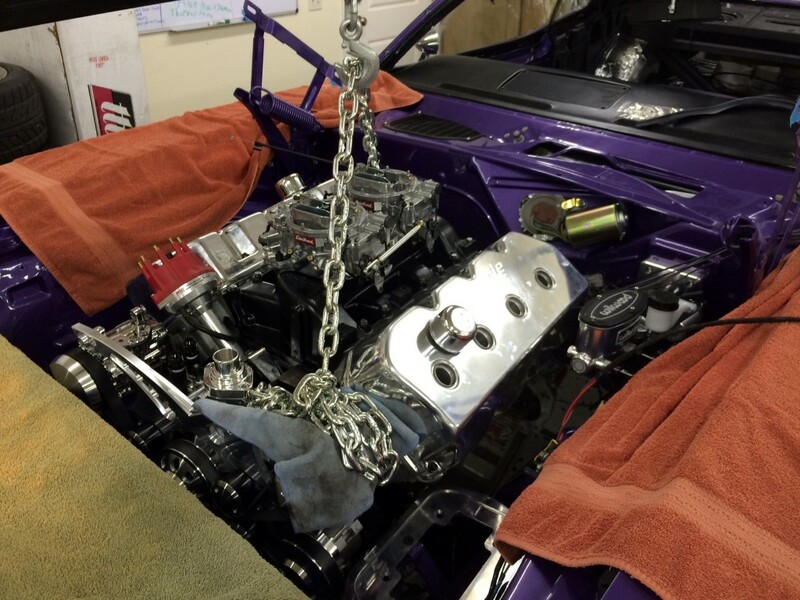 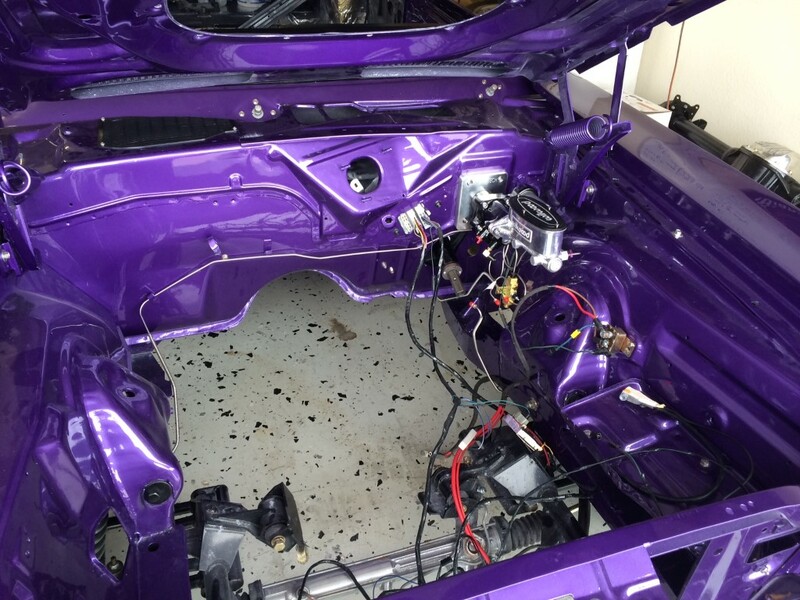 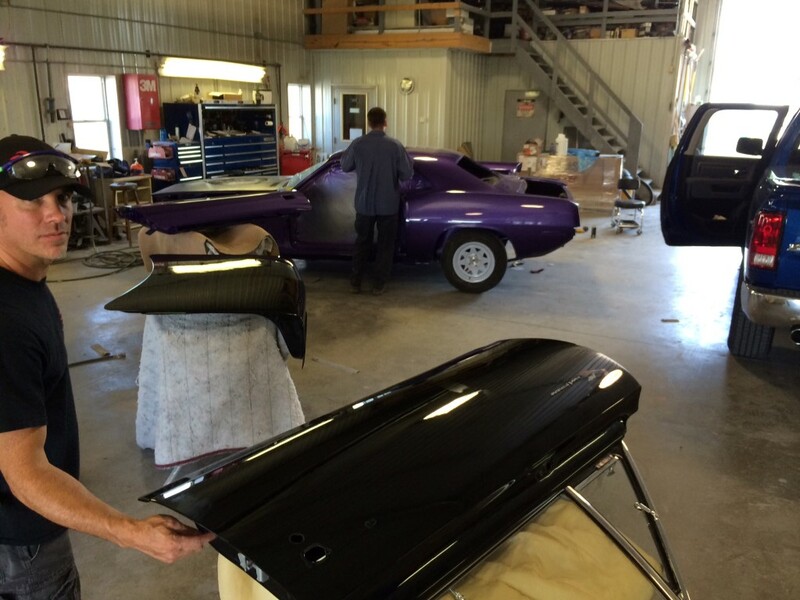 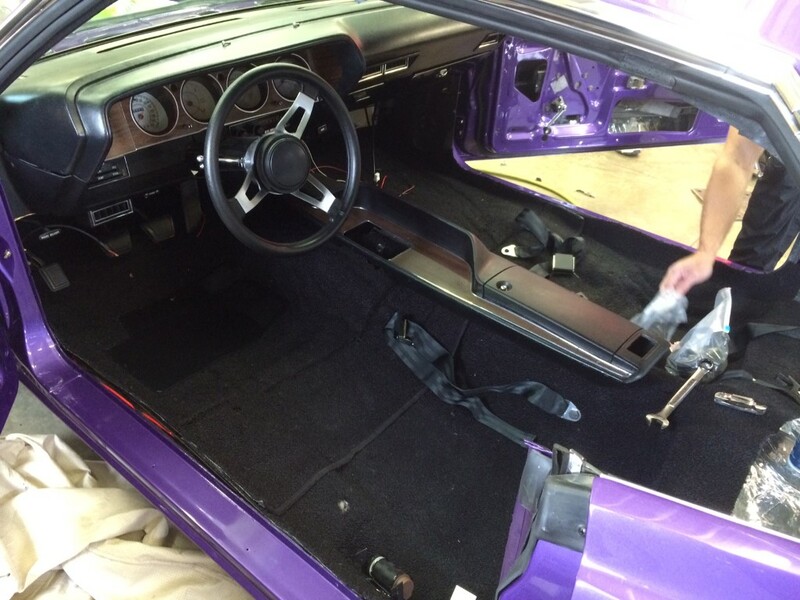 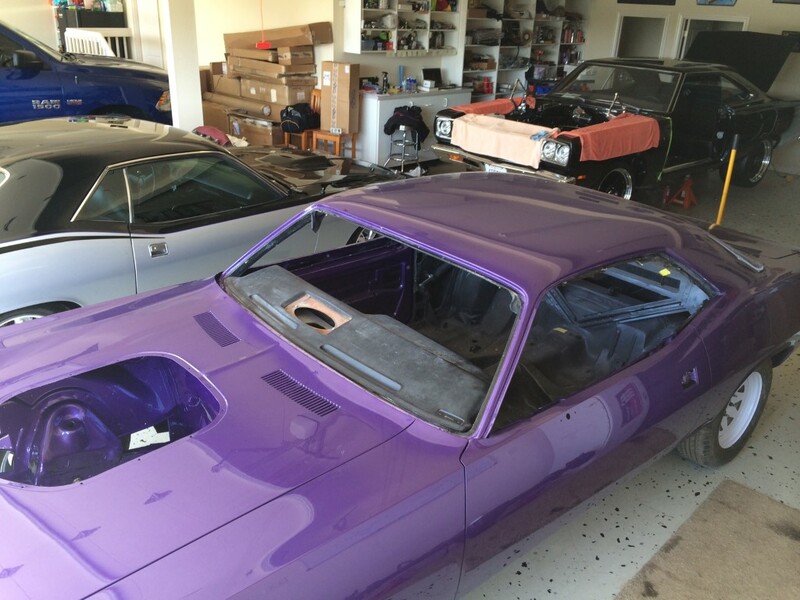 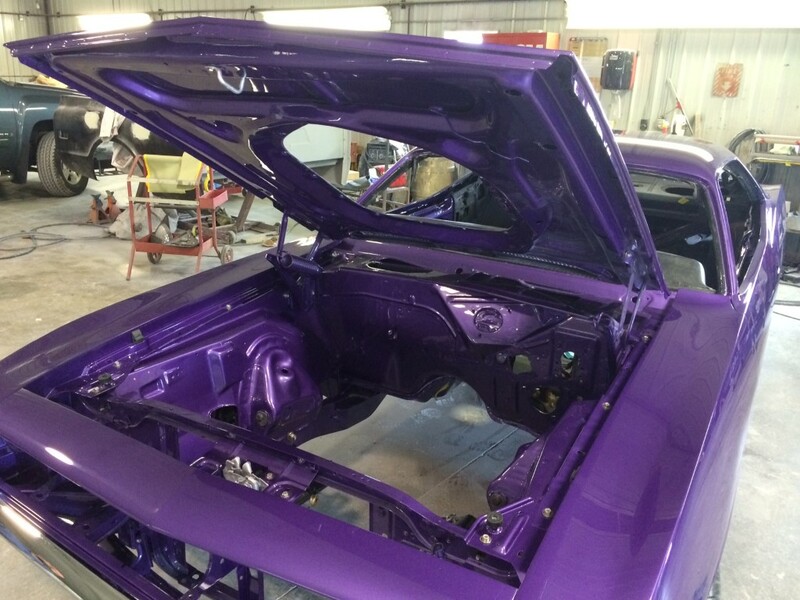 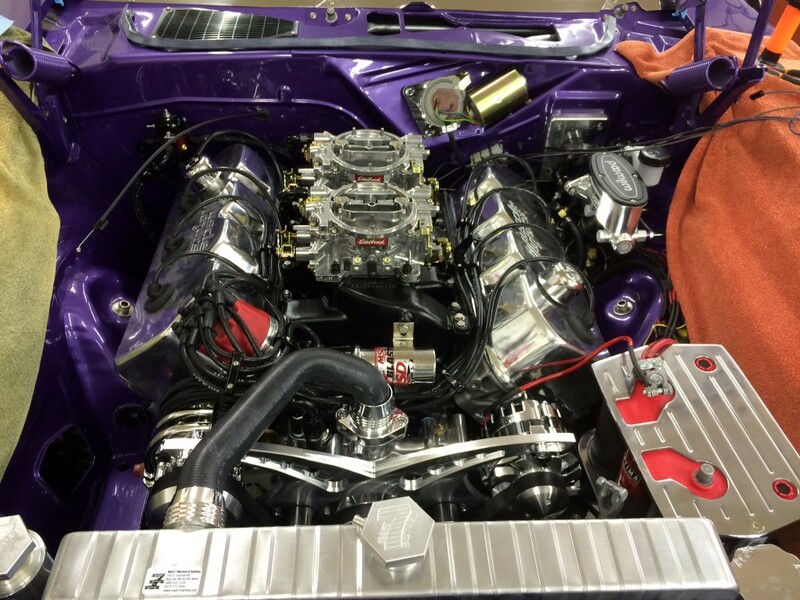 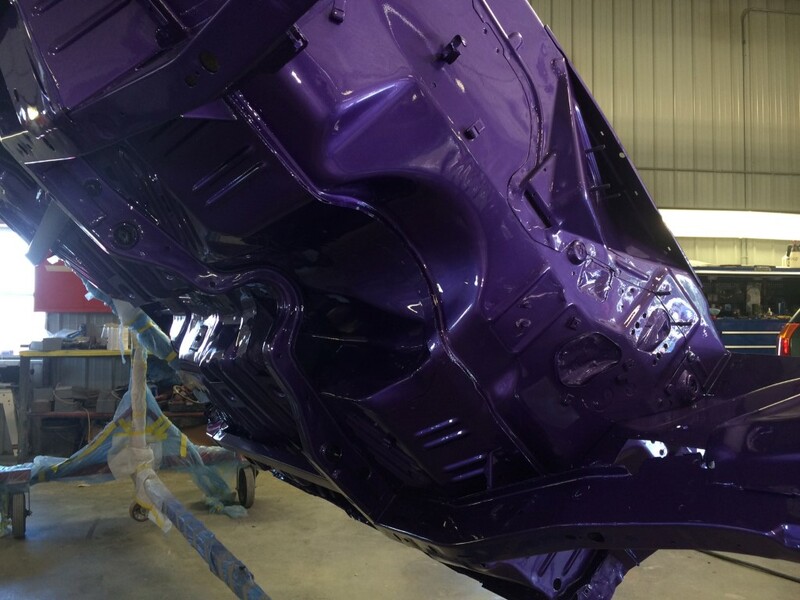 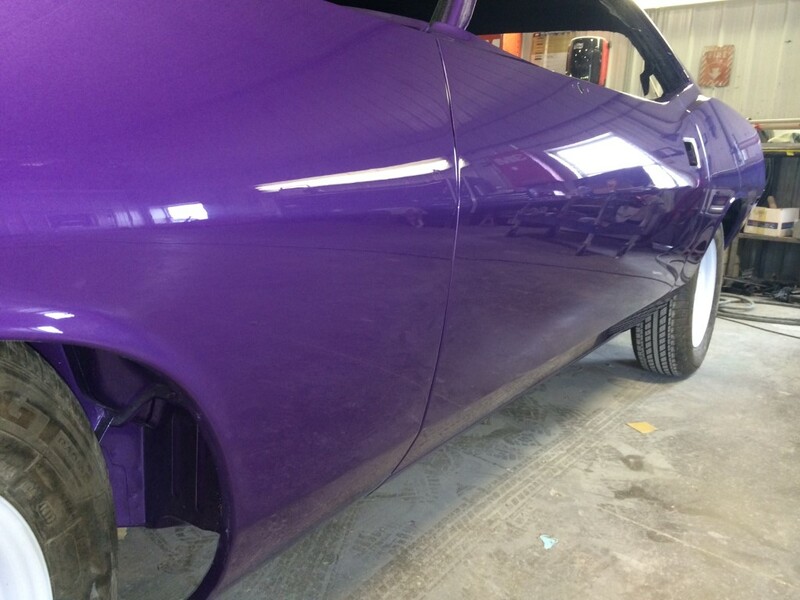 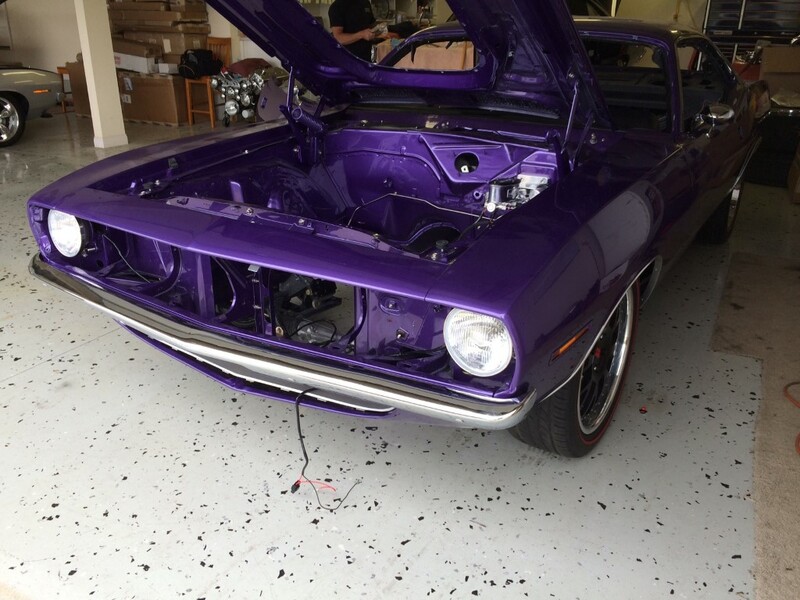 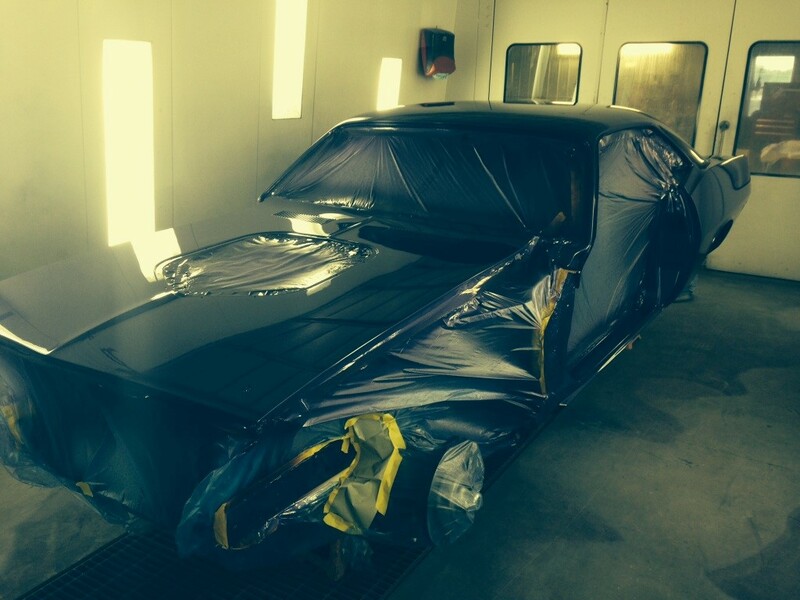 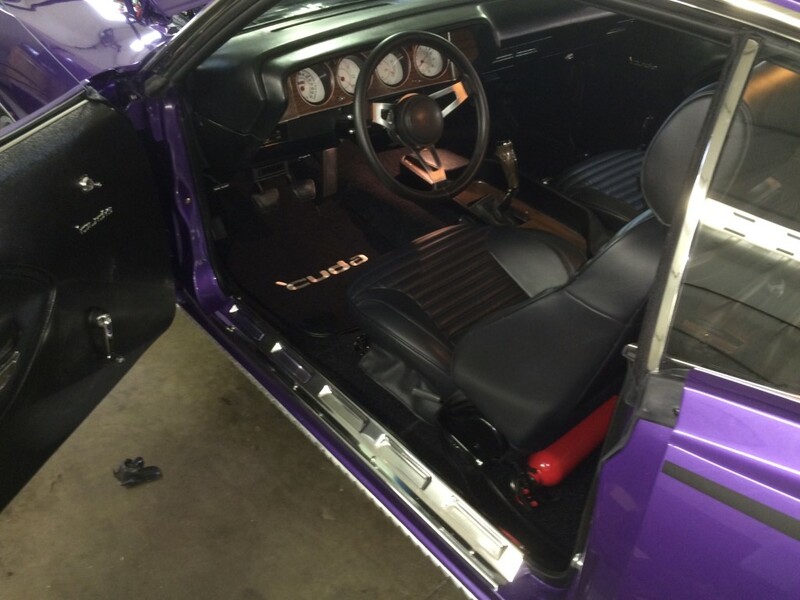 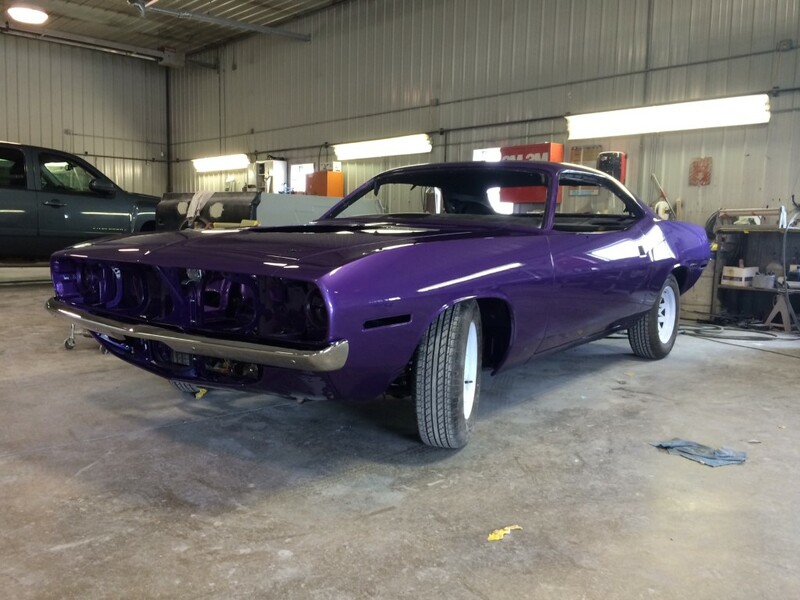 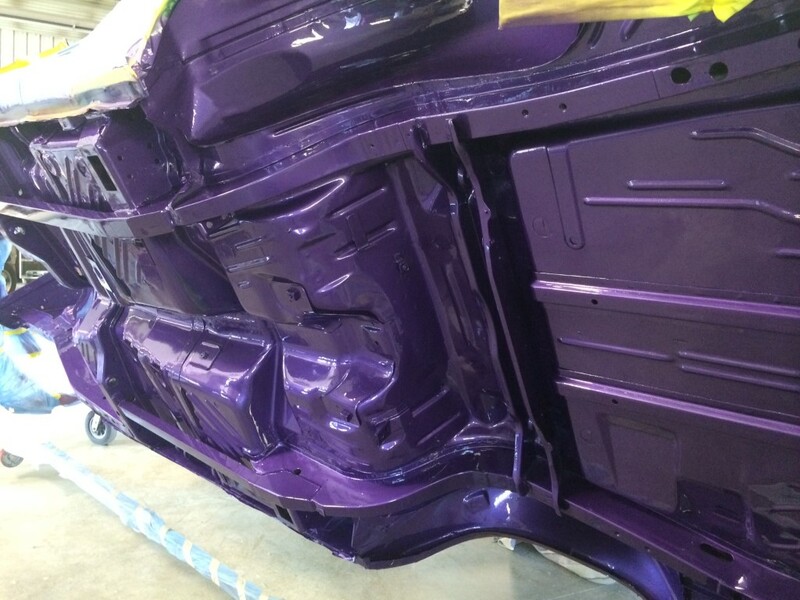 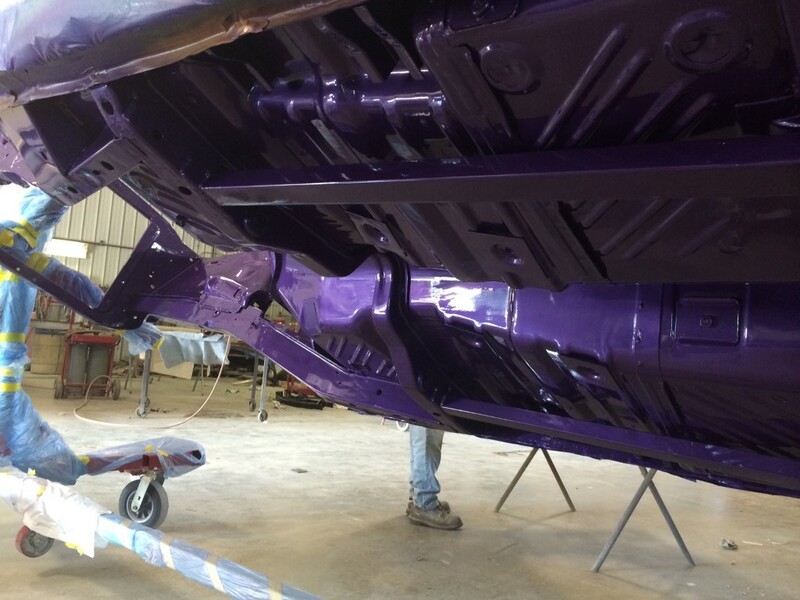 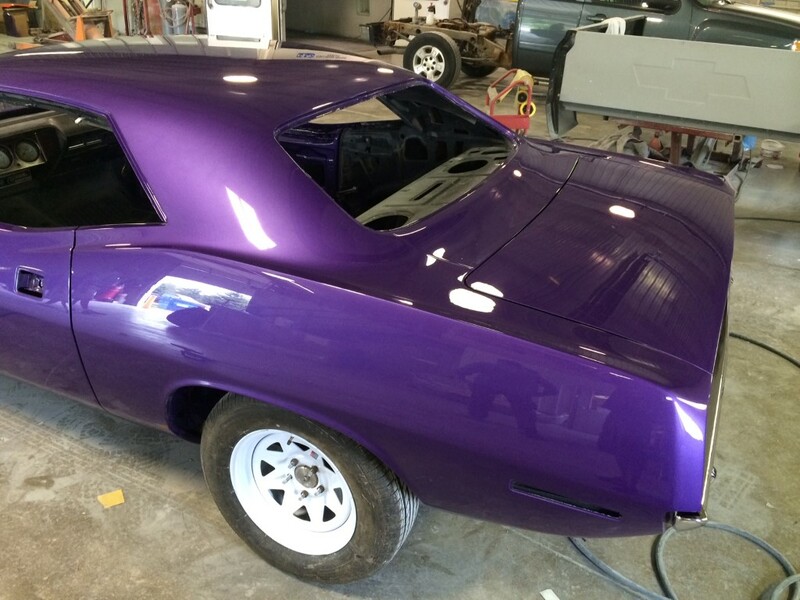 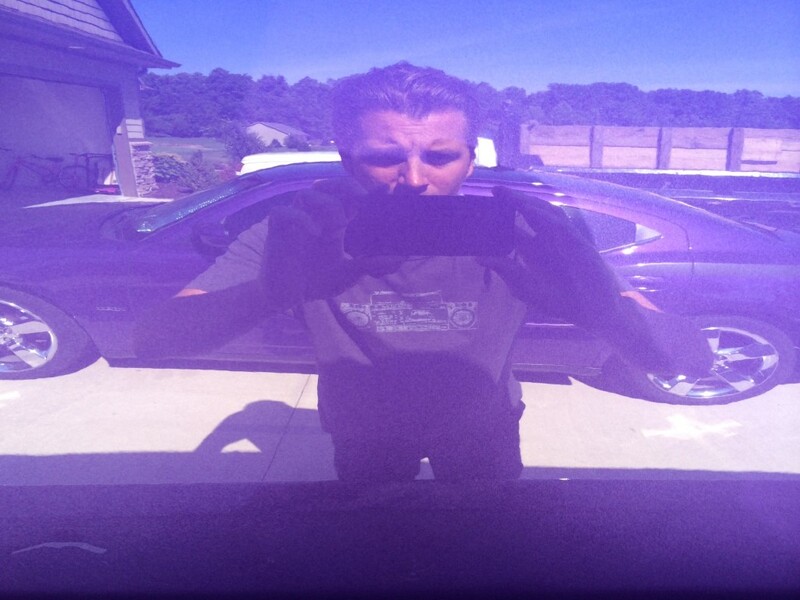 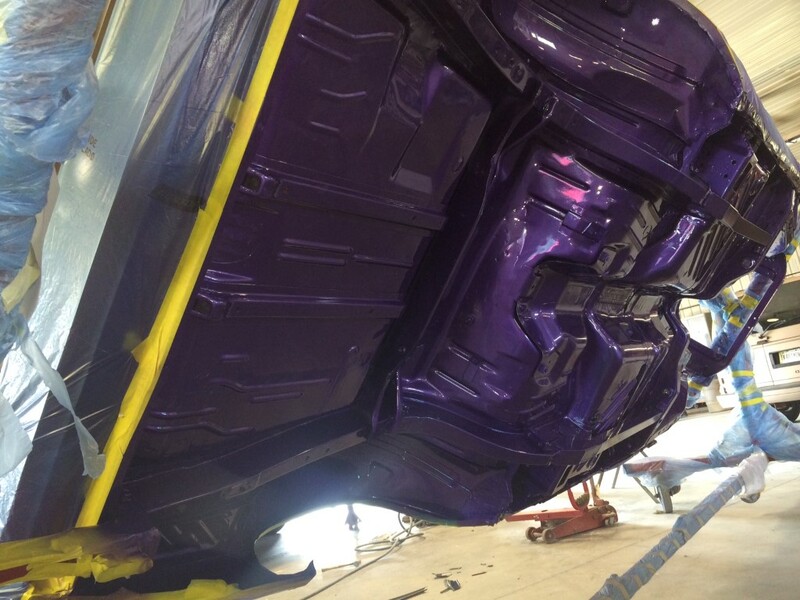 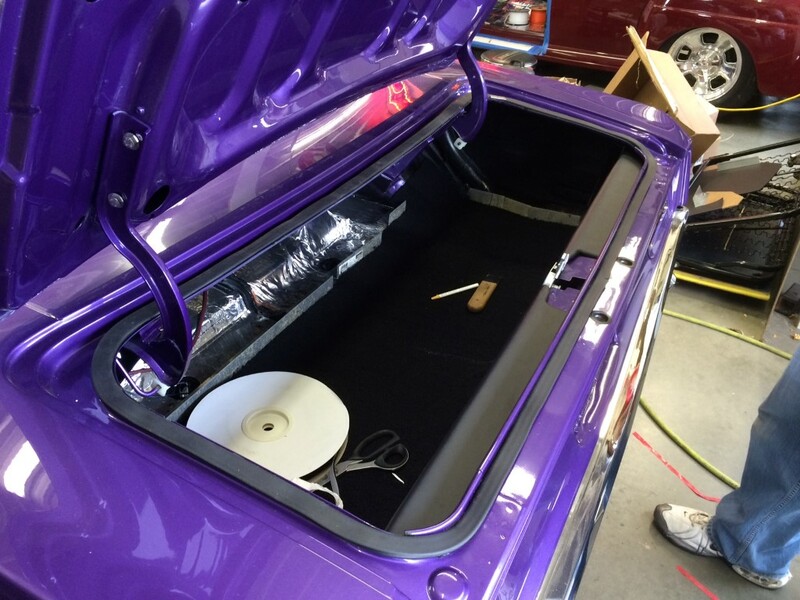 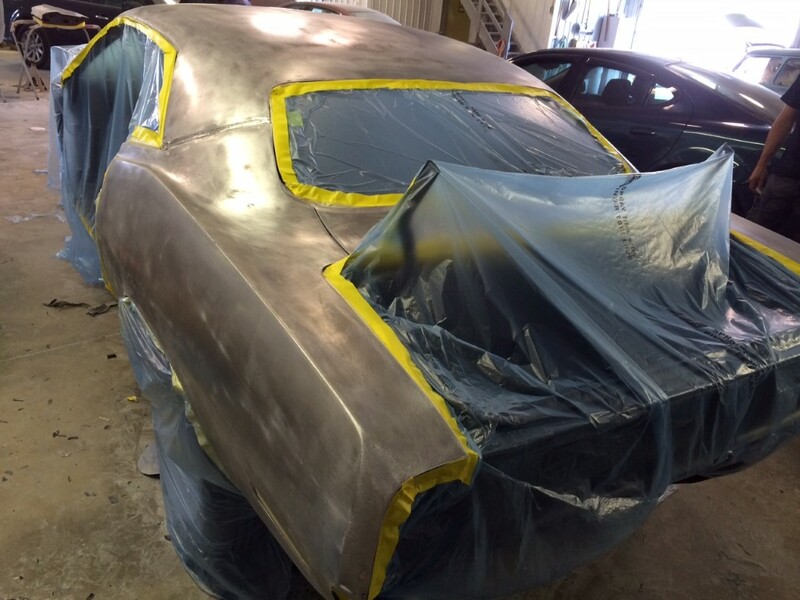 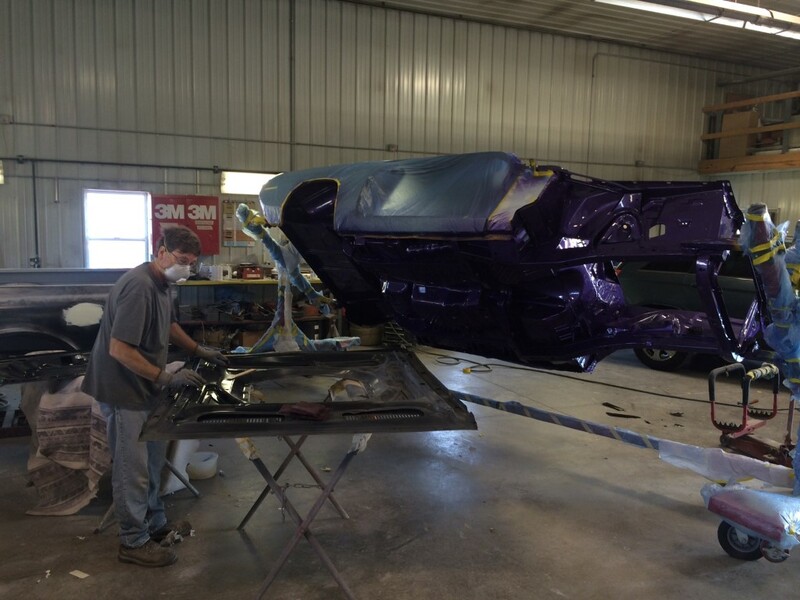 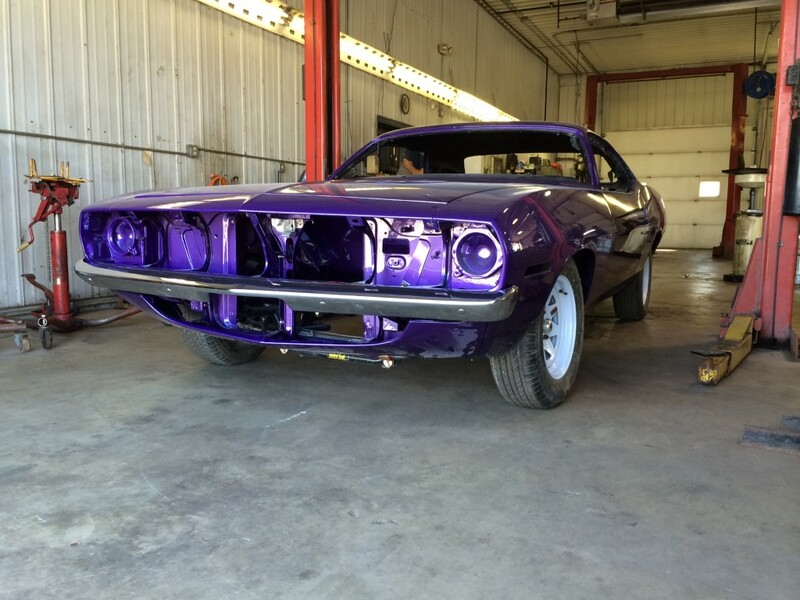 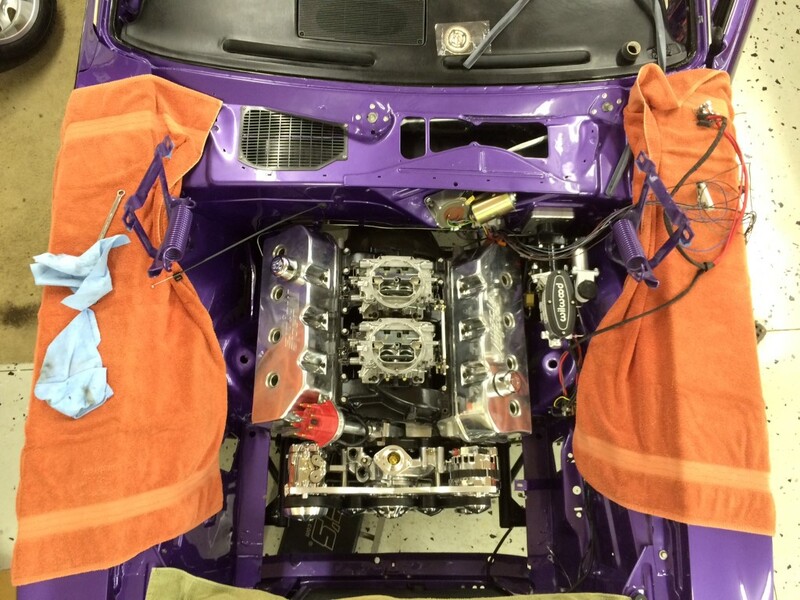 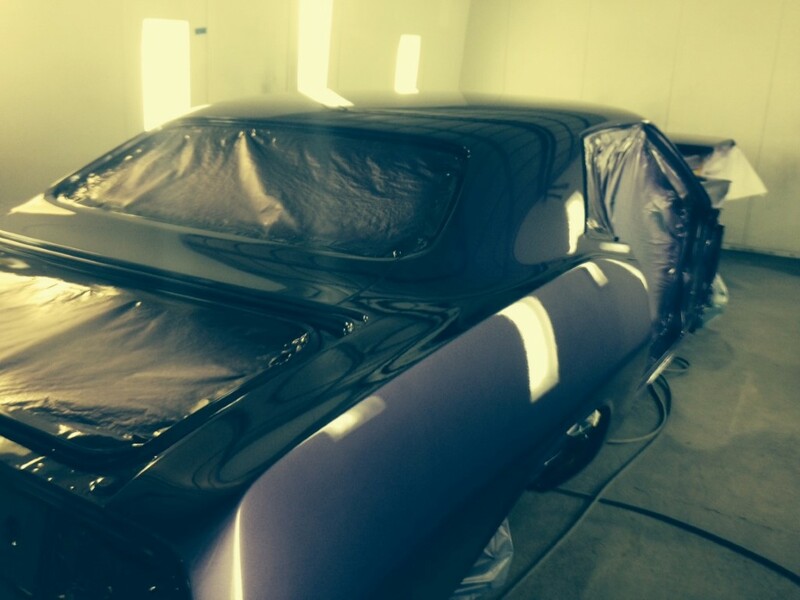 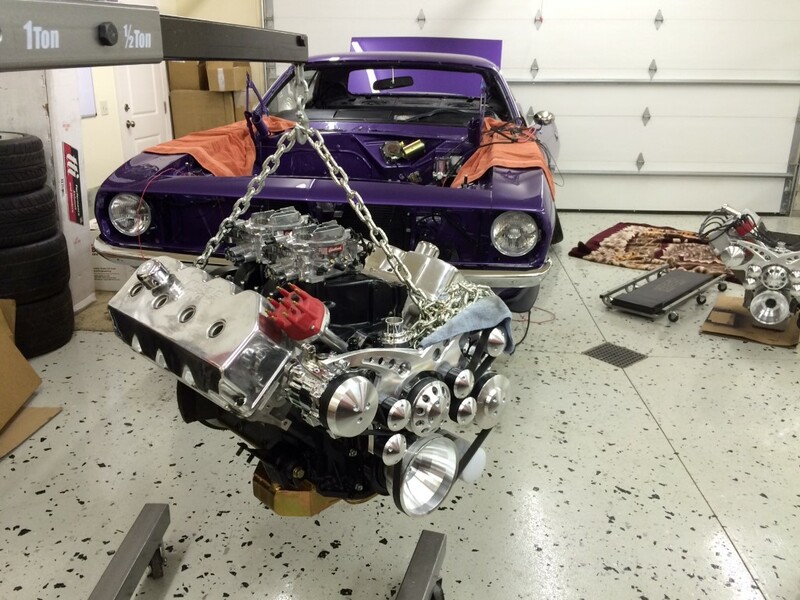 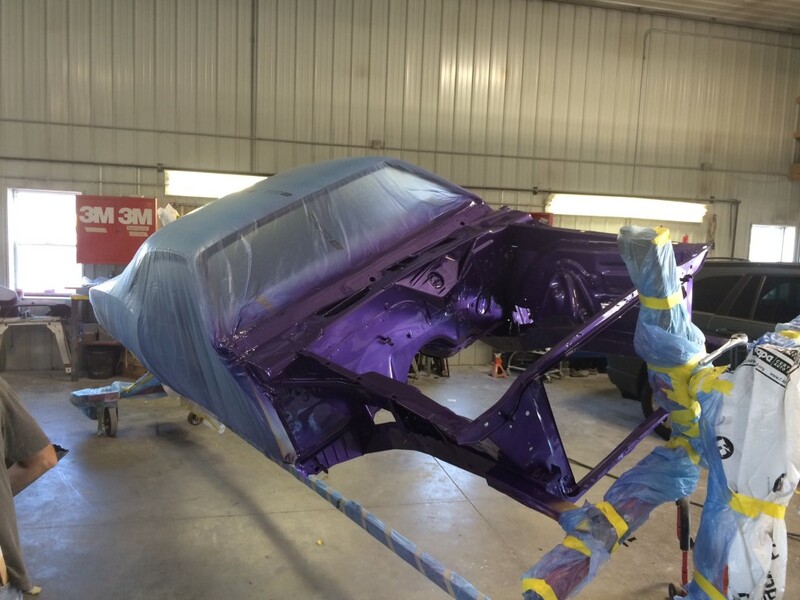 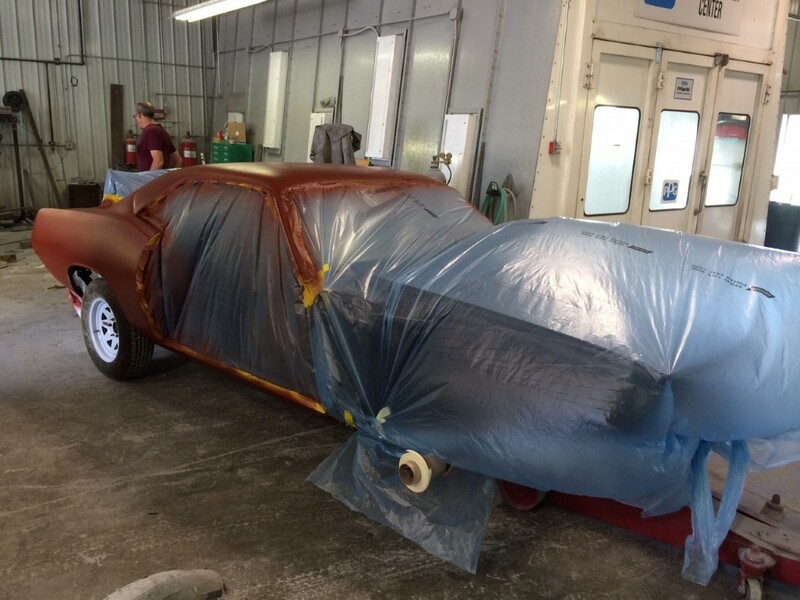 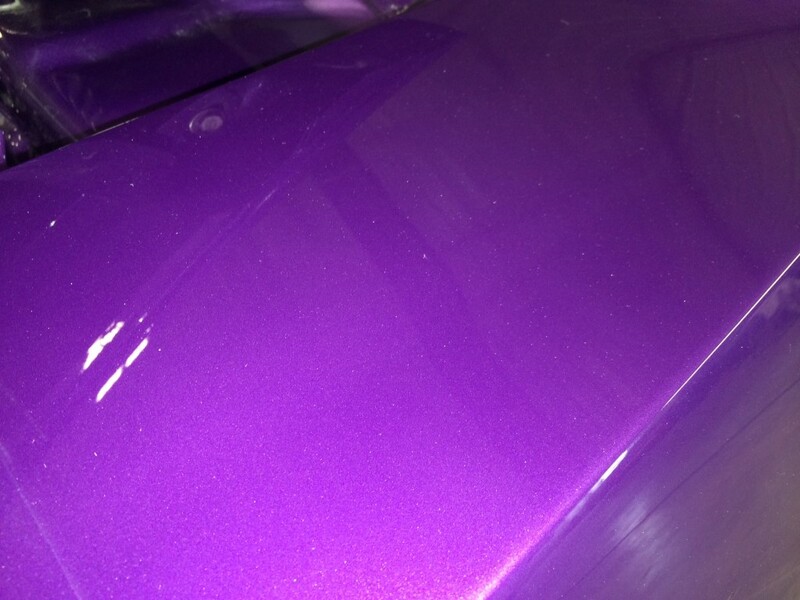 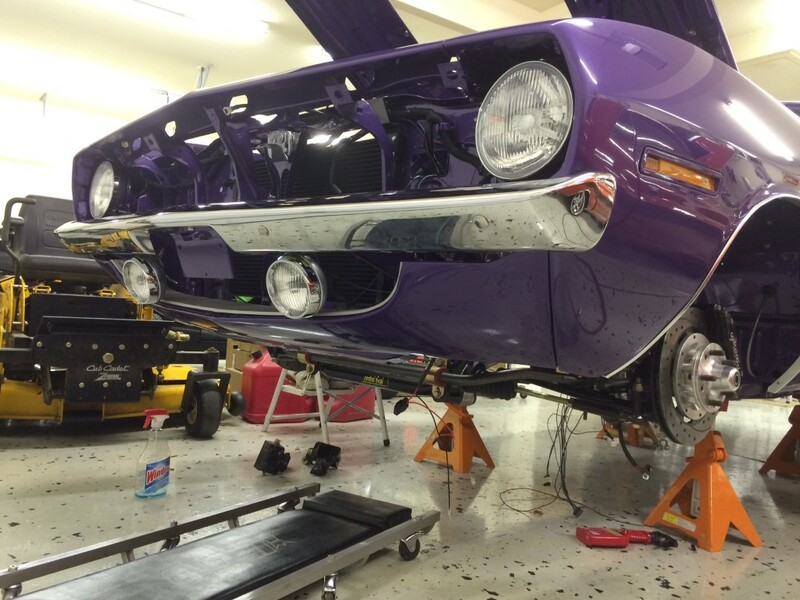 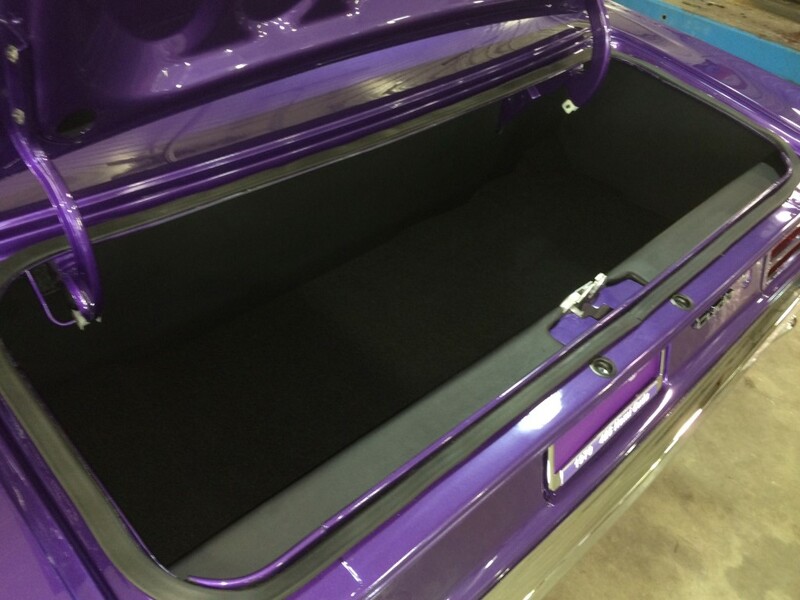 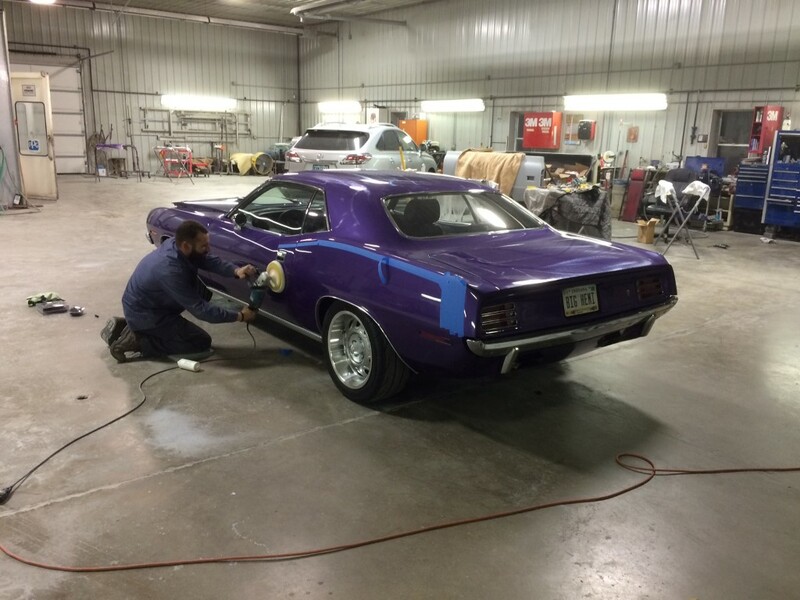 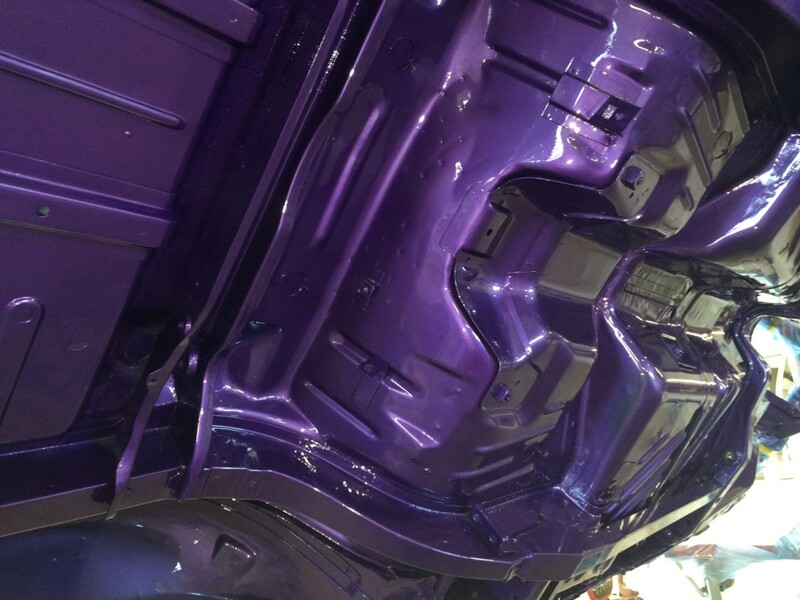 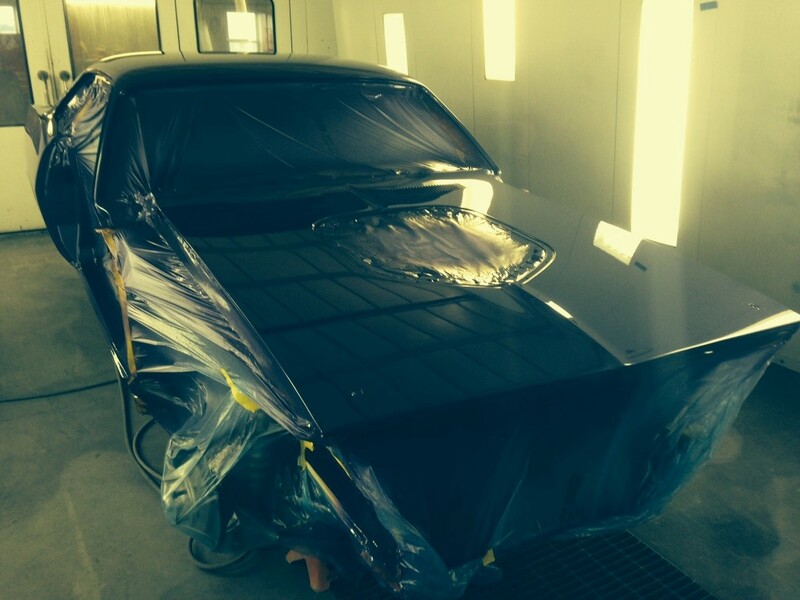 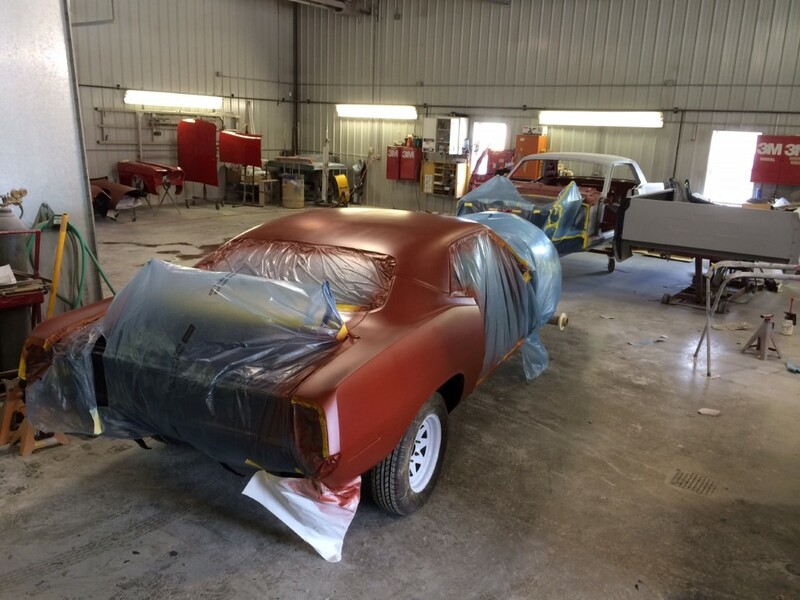 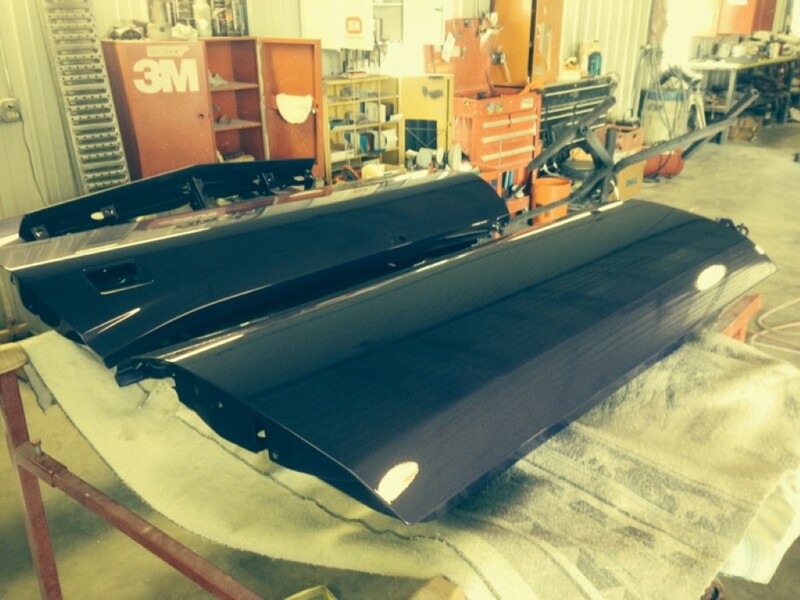 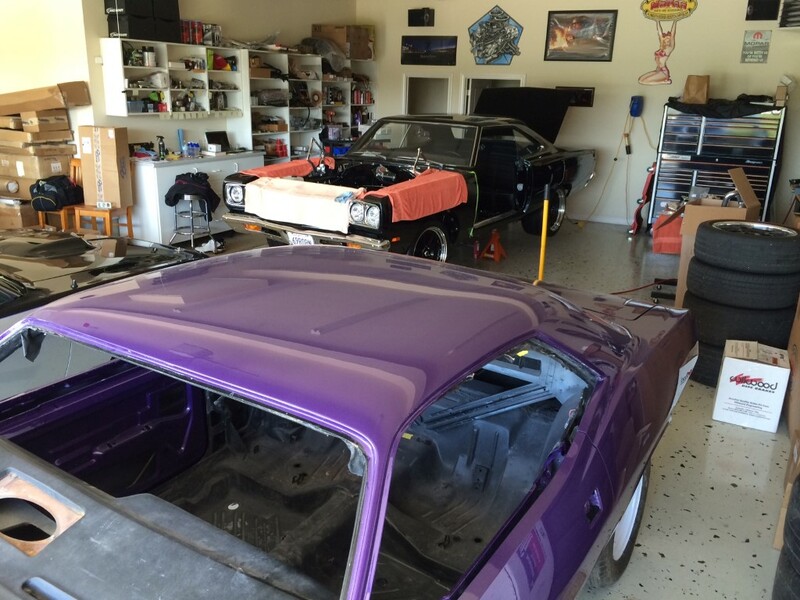 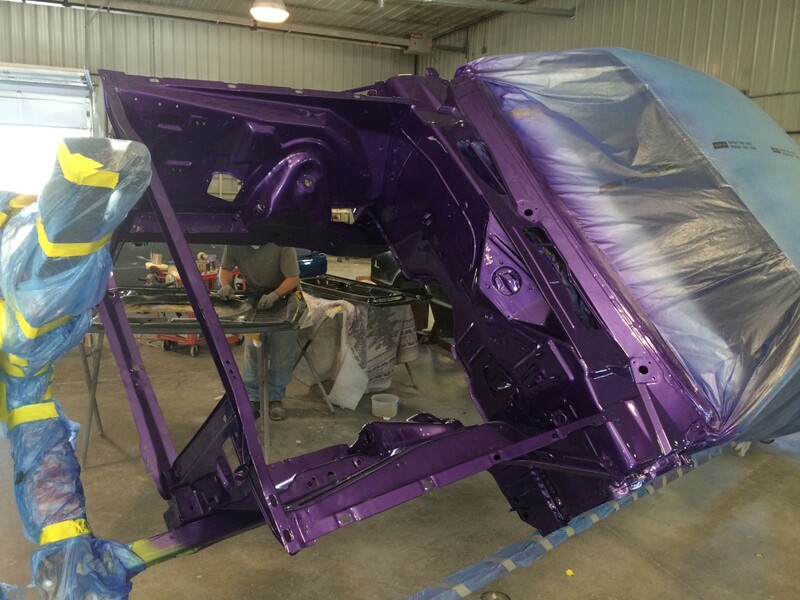 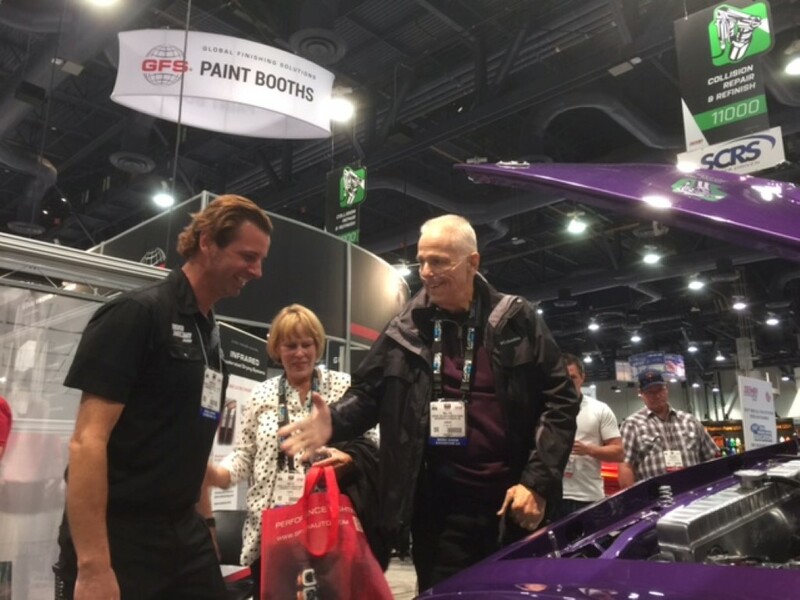 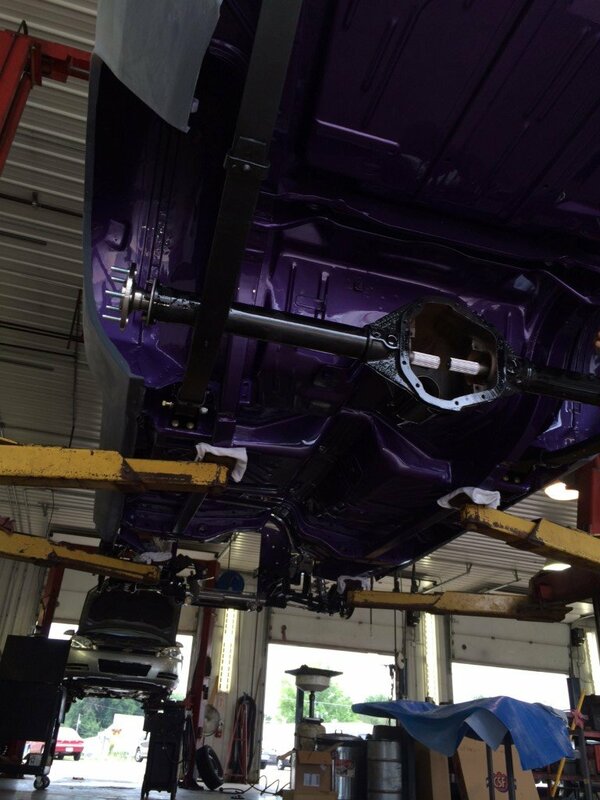 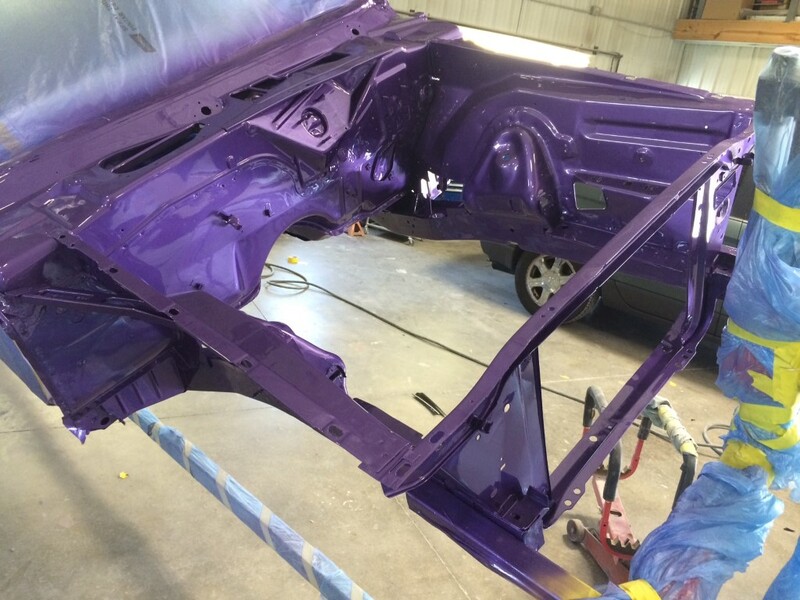 Once those parts were done, they sprayed it with a few coats of Plum Crazy Purple Metallic (“In Violet” C7) from Sherwin Williams Automotive Finishes Rod & Restoration line. 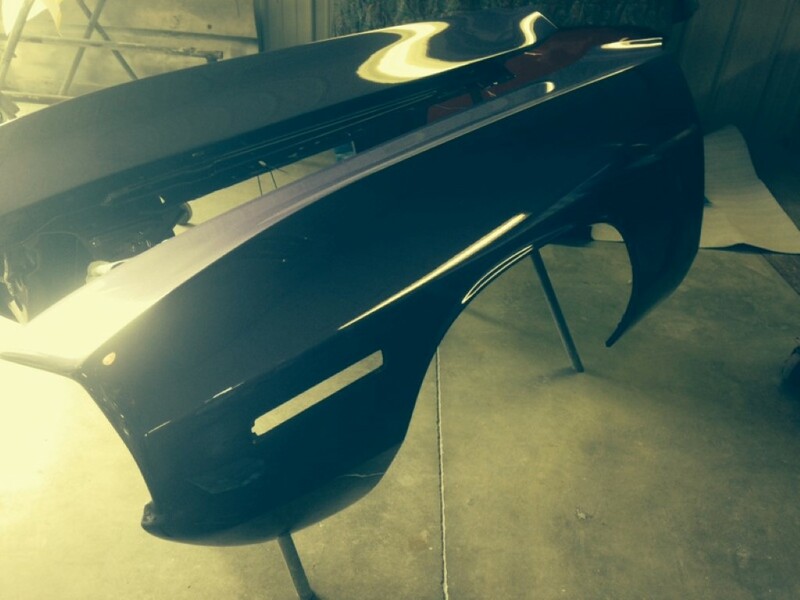 It has a metallic flake and when the light hits it just so, then it really starts to glow. 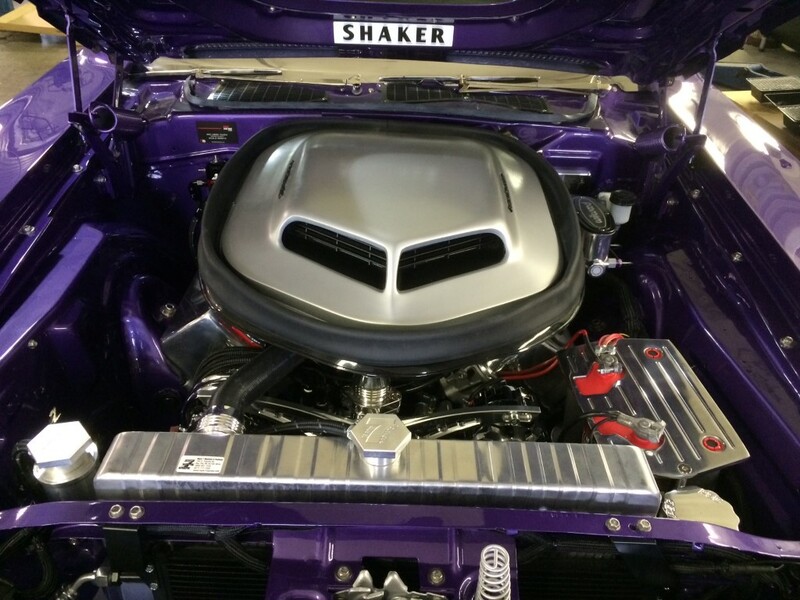 The Shaker hood treatment is a nice hint to what is lurking under the hood. 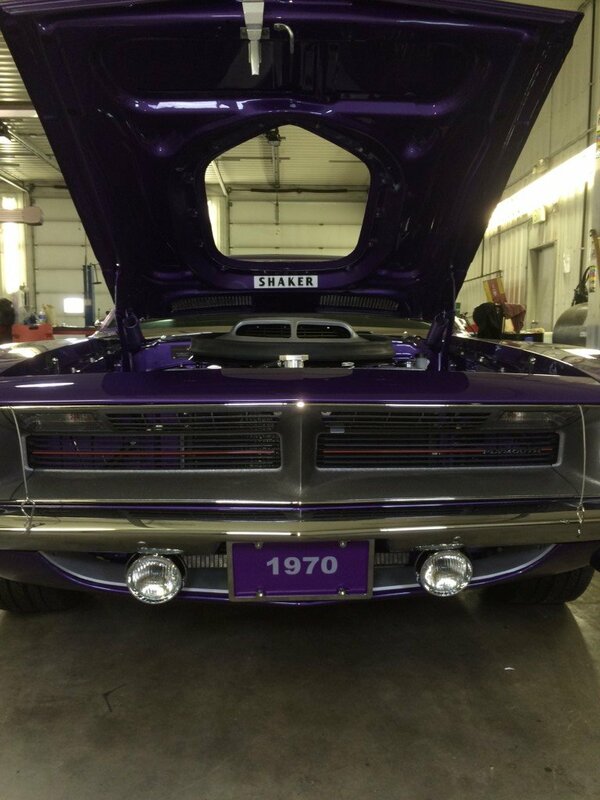 Trick flat black Hemi hockey stripes were added to complete the factory look with a slight twist, although nothing rolling out of a Chrysler plant in 1970 ever looked this good. 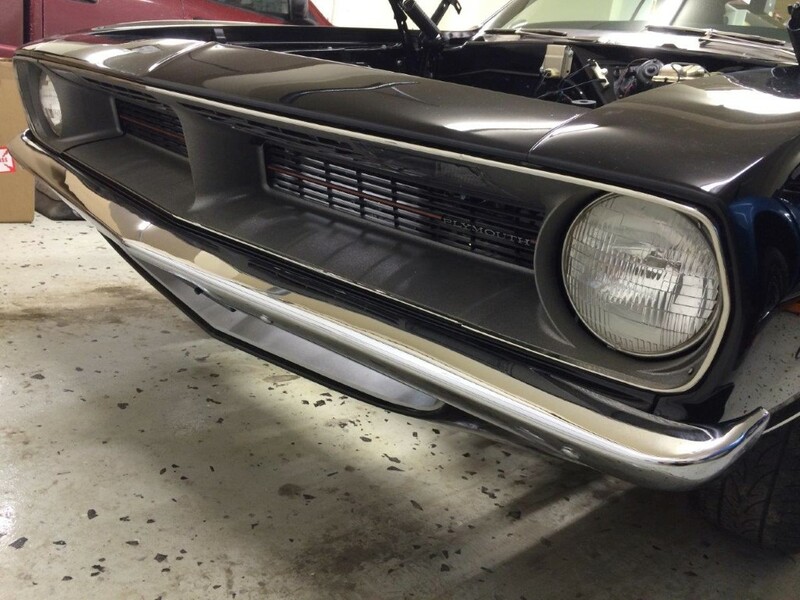 Yes, we’ve all seen straight cars, but after you see the exacting gaps and distortion-free surfaces on this ‘Cuda, you’re going to have to recalibrate your ruler, because it’s simply astounding. 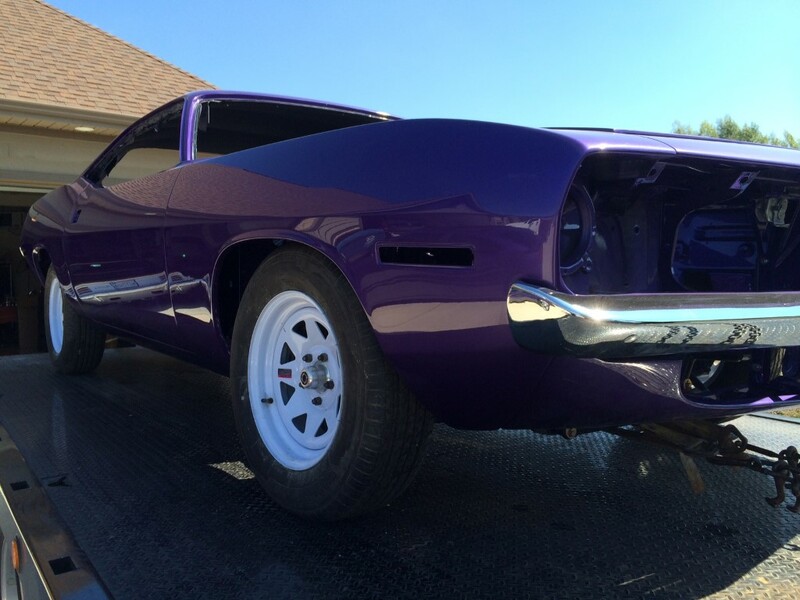 Aside from the larger rallye wheels, this beauty’s got a very stock look and that’s just the way they wanted it. 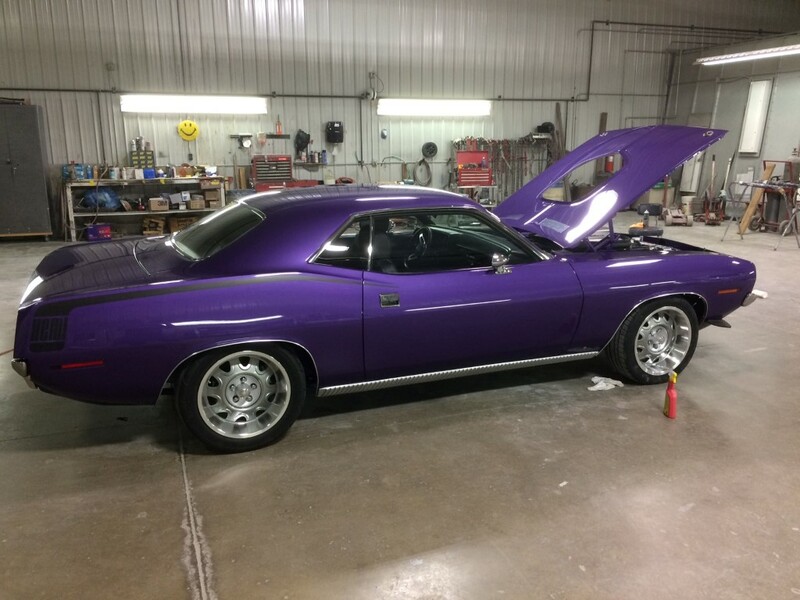 Respecting the original design was paramount on this build, so while it does everything better than a stock car, it doesn’t color too far outside the lines. 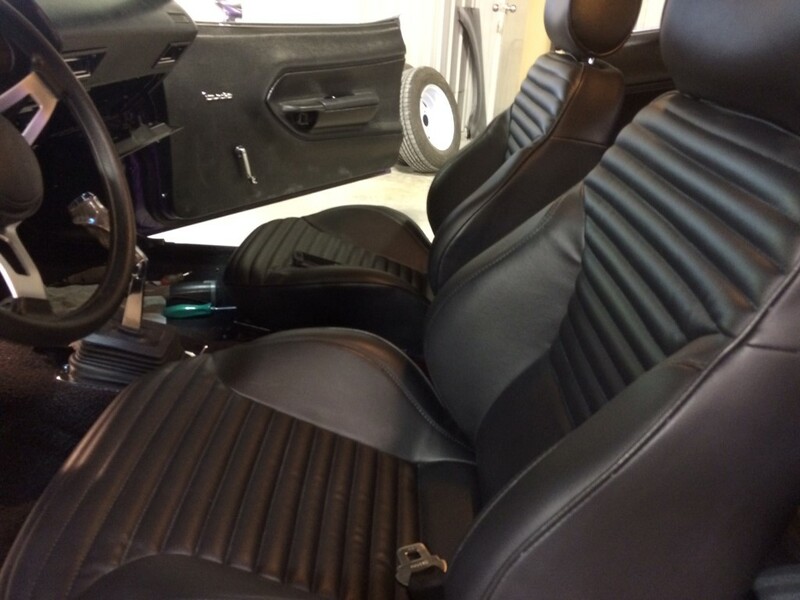 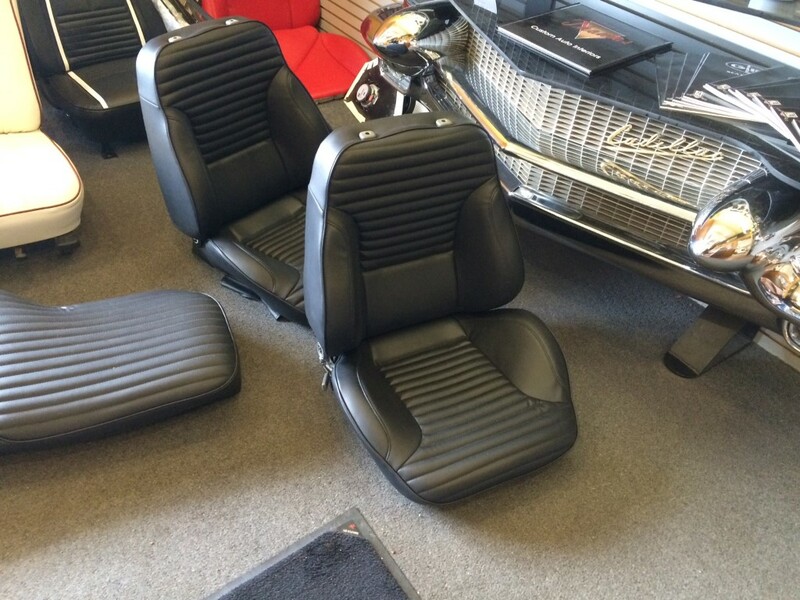 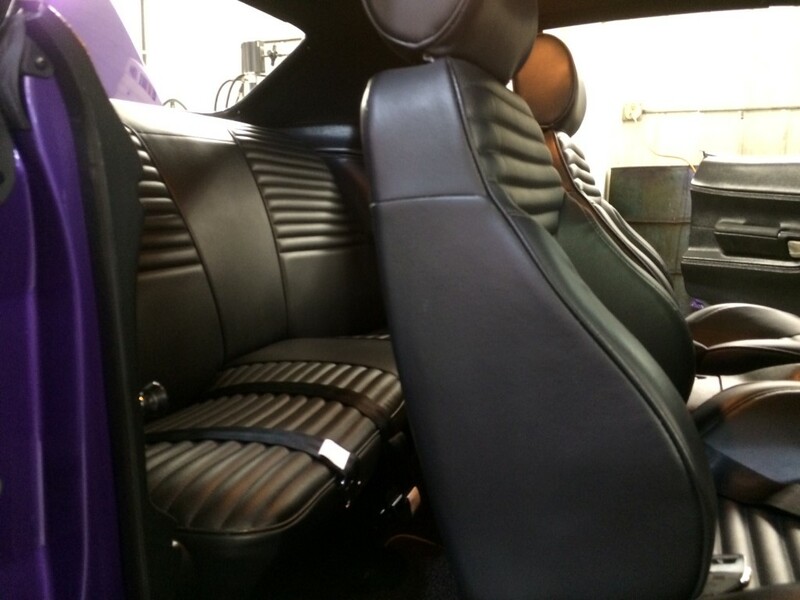 That’s why inside you’ll find a set of custom buckets reupholstered to look like stock ‘Cuda seats, complete with horizontal pleats. 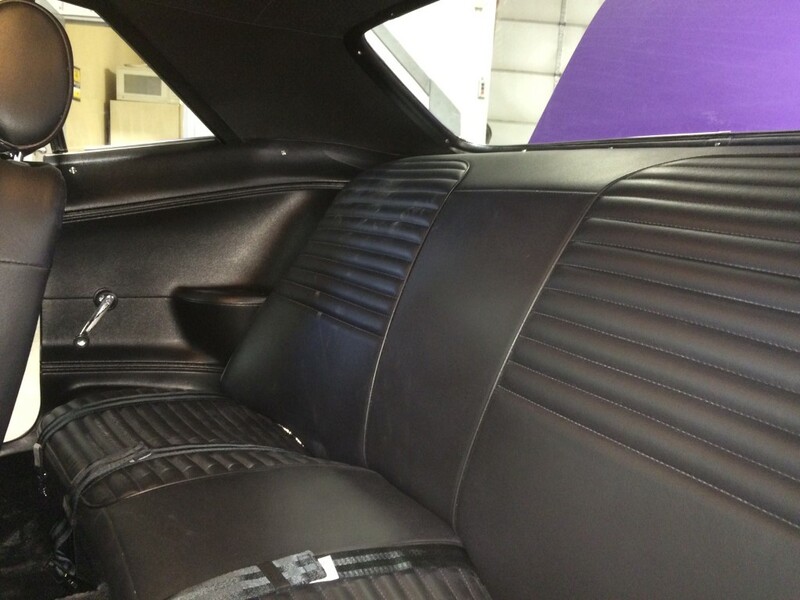 Sure, the bolsters are aggressive and the headrests are cool, but they don’t jump out at you like with some builds. 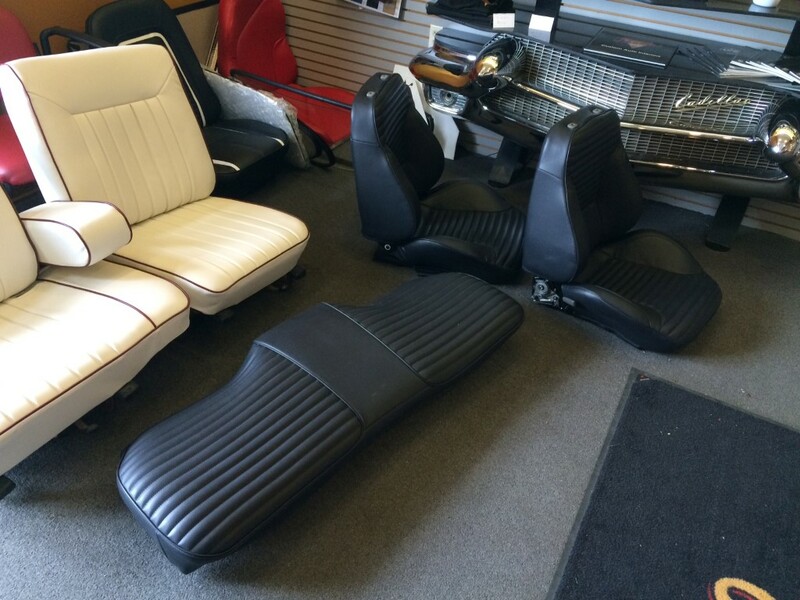 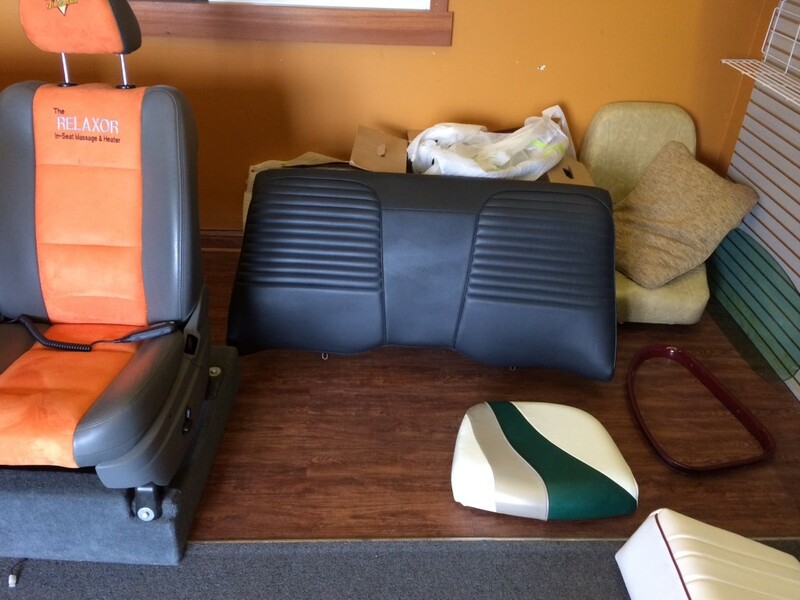 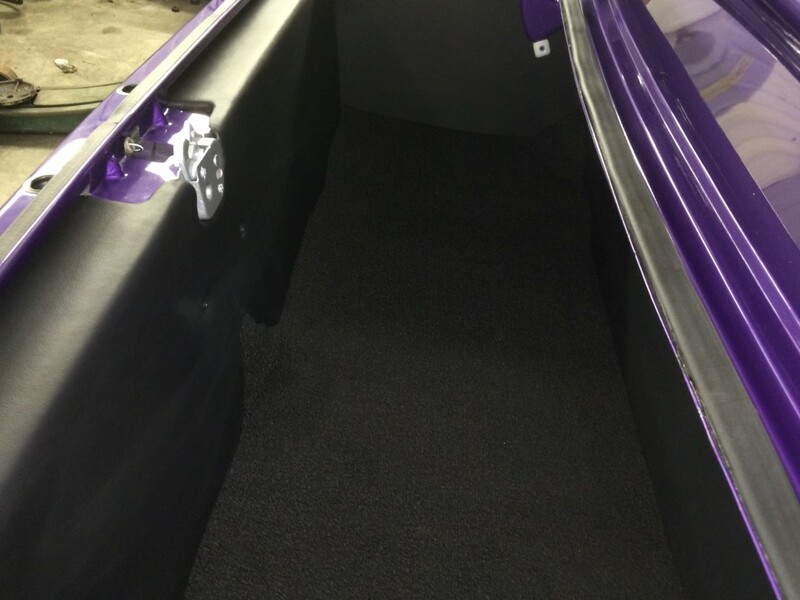 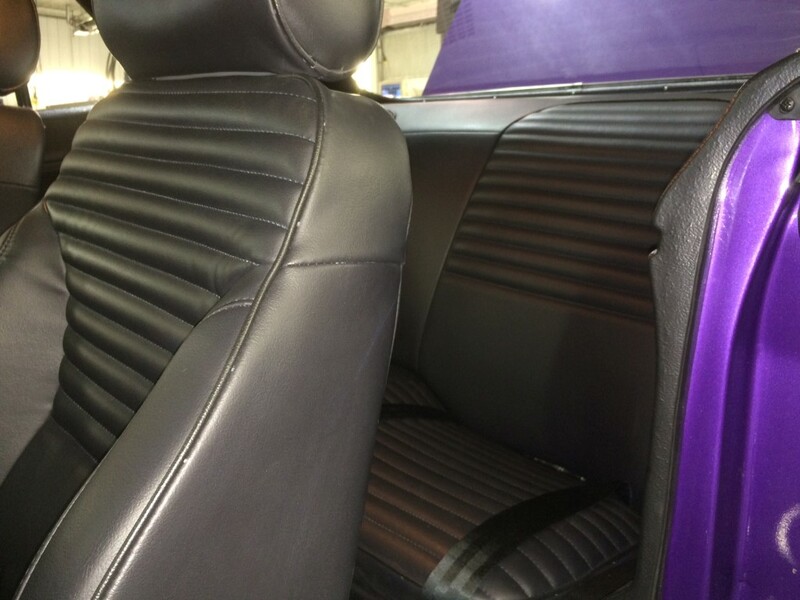 The stock center console remains in place and the back seat was reupholstered with restoration-grade seat covers for a totally original look. 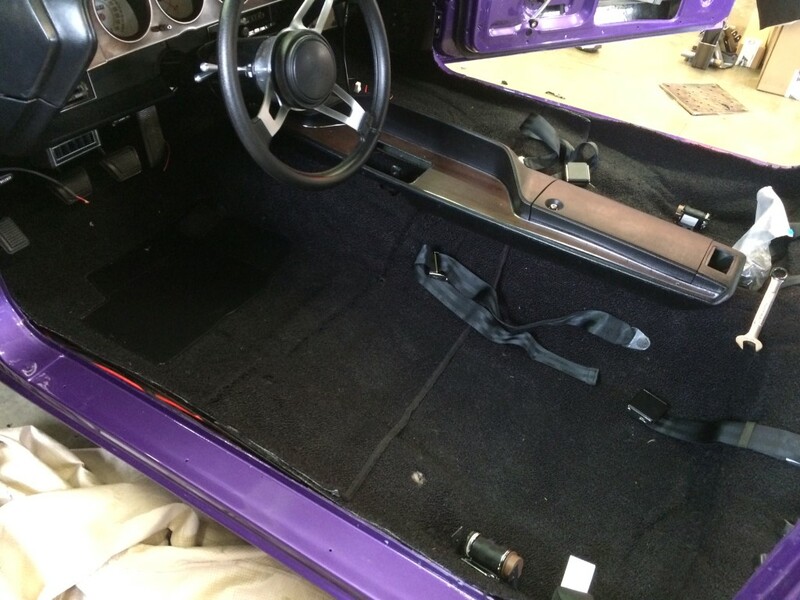 New carpets, fresh door panels, and several hundred feet of HushMat underneath give it a factory-fresh look and a new car feel. 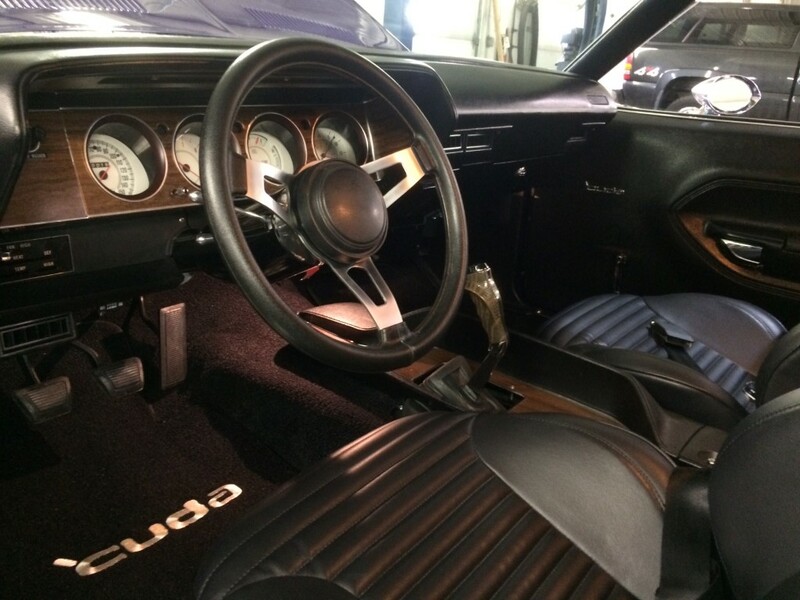 There’s a custom tilt column that blends into the background, mostly thanks to the original-style Tuff Wheel, and the full complement of factory white faced gauges remains in the dash. 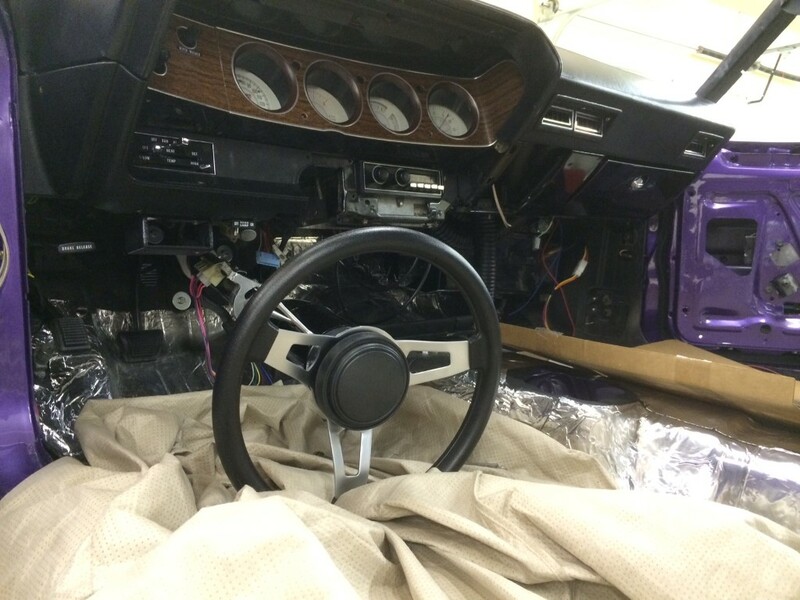 The original Music Master AM radio remains in the dash for show, but there’s a killer AM/FM/CD/iPod stereo system hidden out of sight from Out of Sight Audio, and the original A/C controls still manage the Classic Auto Air system, which blows ice cold today. 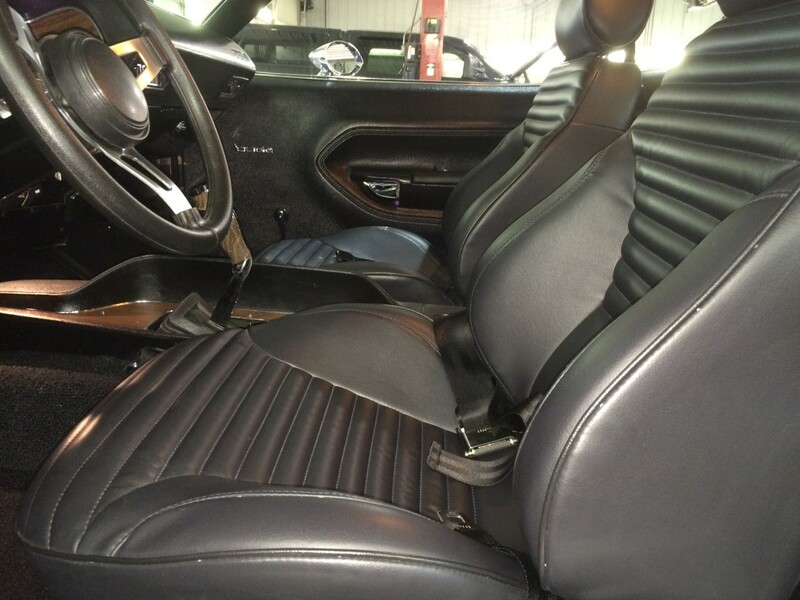 Wood Grain accents on the dash, console, and pistol-grip shifter stay with the factory look. 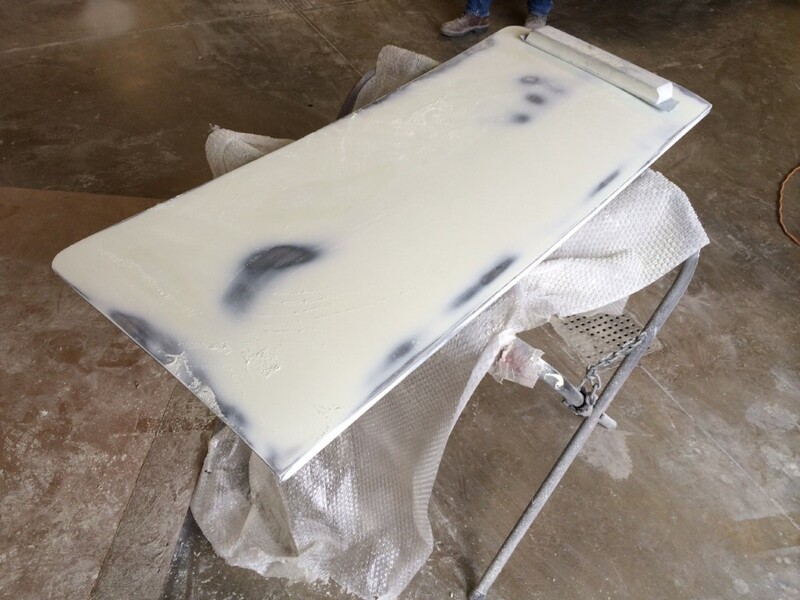 Honestly, the truly amazing thing here is that guys this talented were able to restrain themselves and stick to the factory recipe, because the line between the new and factory stuff is virtually invisible. 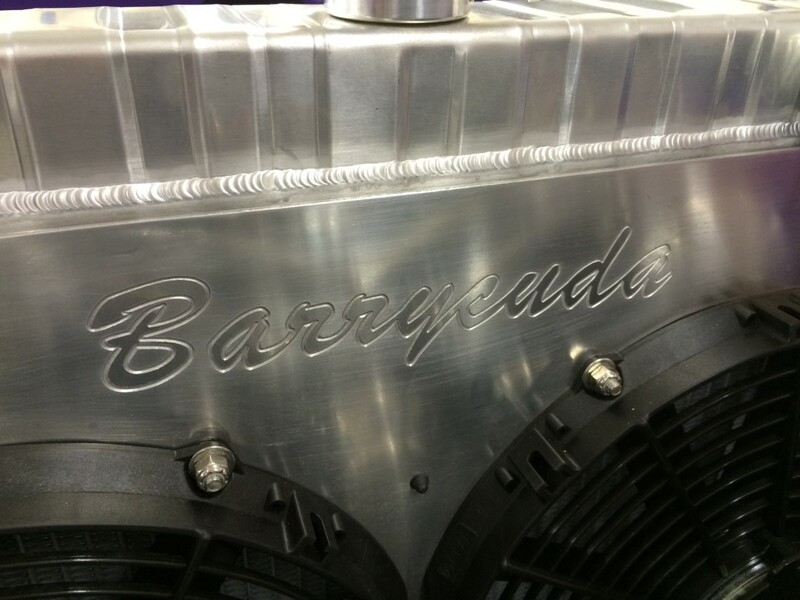 OK, we’re getting to the good stuff, don’t worry. 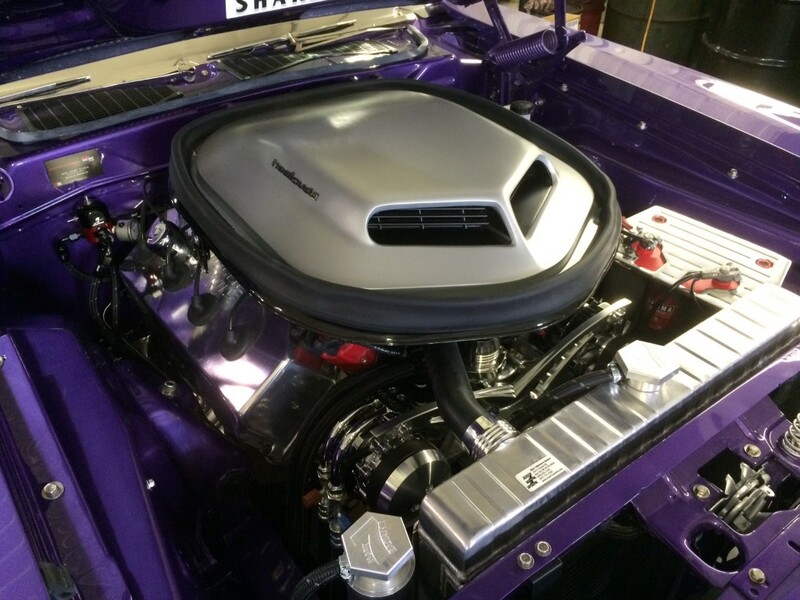 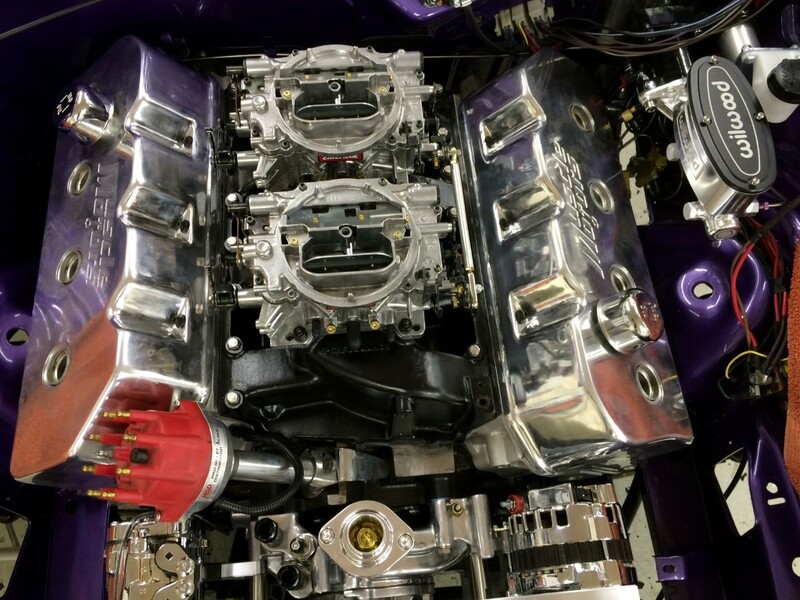 The engine is a custom built 426 cubic inch Hemi by Muscle Motors, noted Hemi builders with a serious reputation. 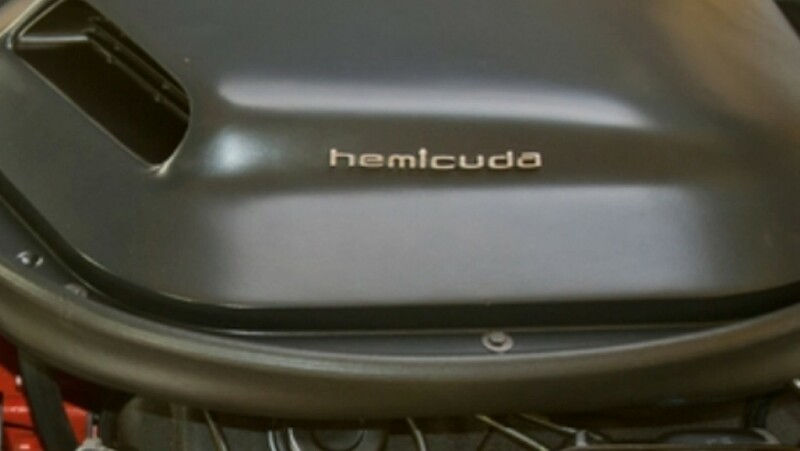 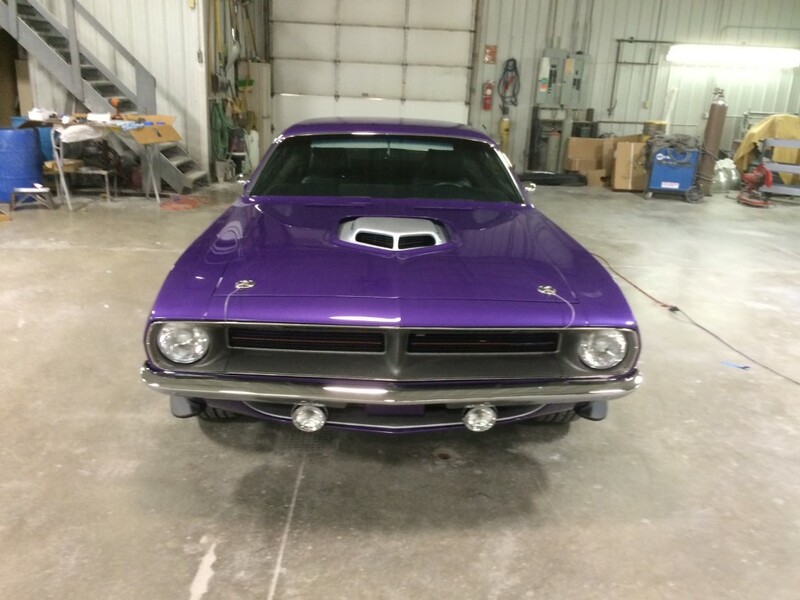 With 600 horsepower on pump gas, this ‘Cuda humiliates any original Hemi ‘Cuda and once you find out how well it works you won’t go back to stock again. 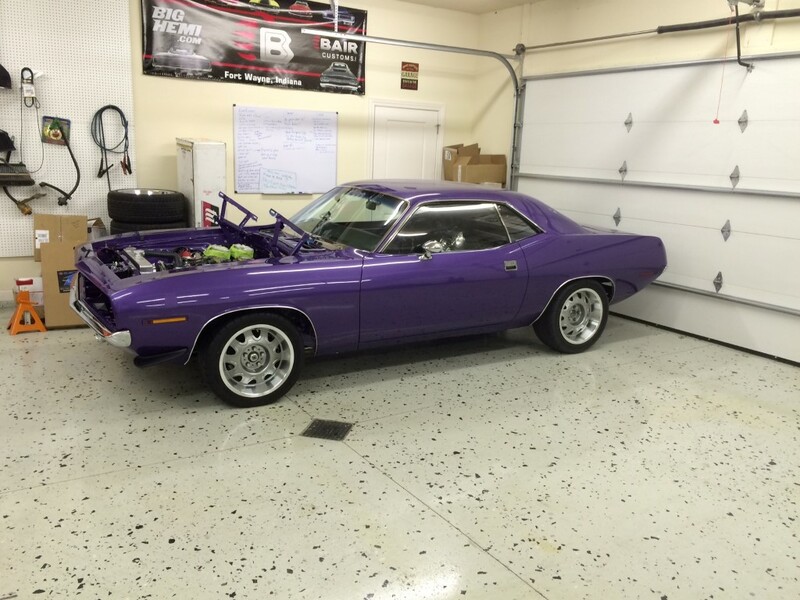 It idles nicely, it pulls like a freight train, and thanks to a full shakedown, it can be driven daily without complaints. 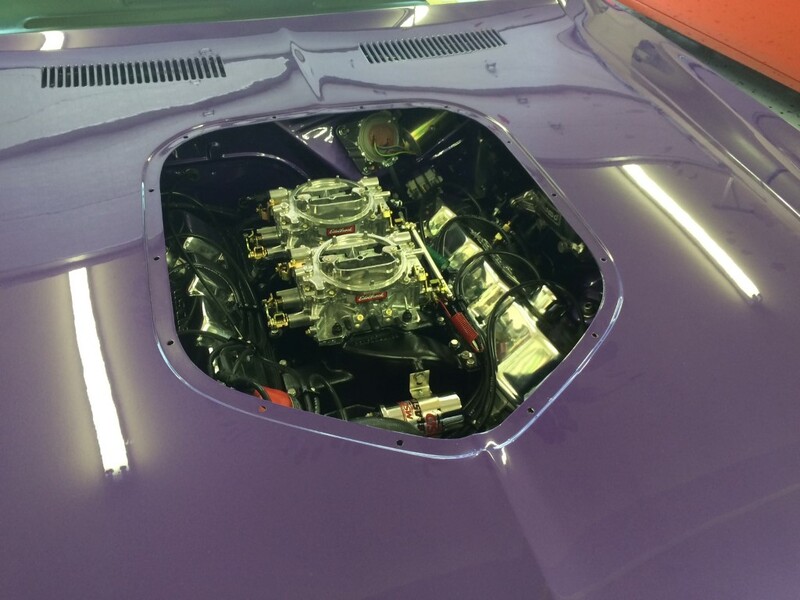 There’s a true dual quad set up on top, living under a Shaker air cleaner assembly. 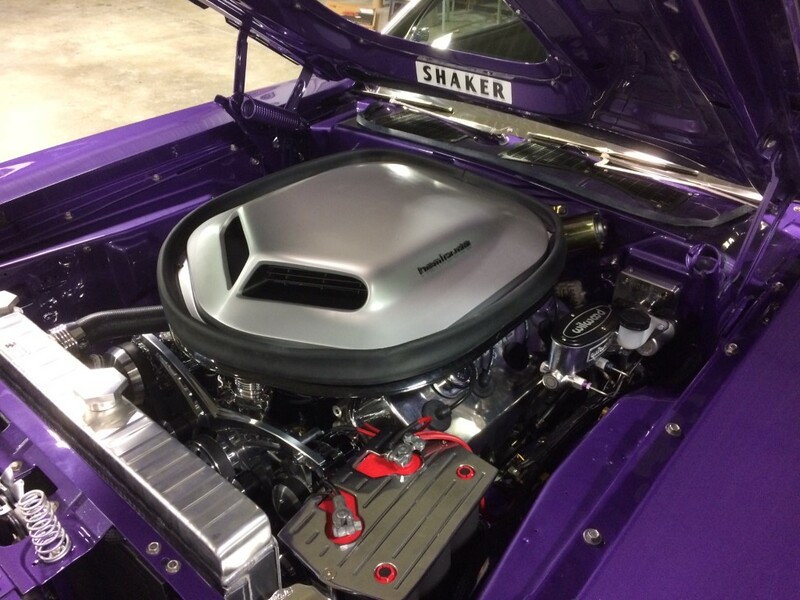 A March Performance billet accessory drive with serpentine belt controls all the modern conveniences and dresses up the front of the engine, and a giant Mark 7 aluminum radiator keeps it cool. 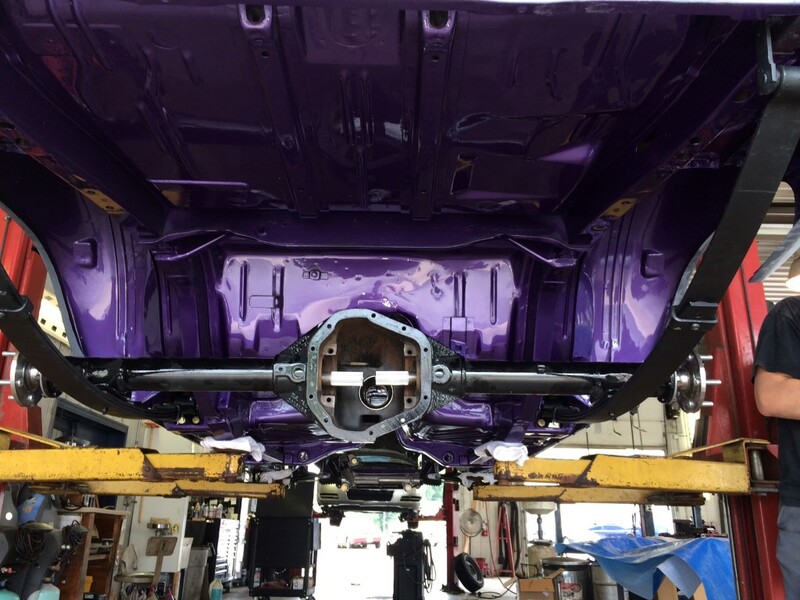 You can see Jason Bair’s attention to detail everywhere you look as there’s simply no part that was simply installed; everything was either polished, painted, or plated and when it went on, it was aligned and straightened to look right. 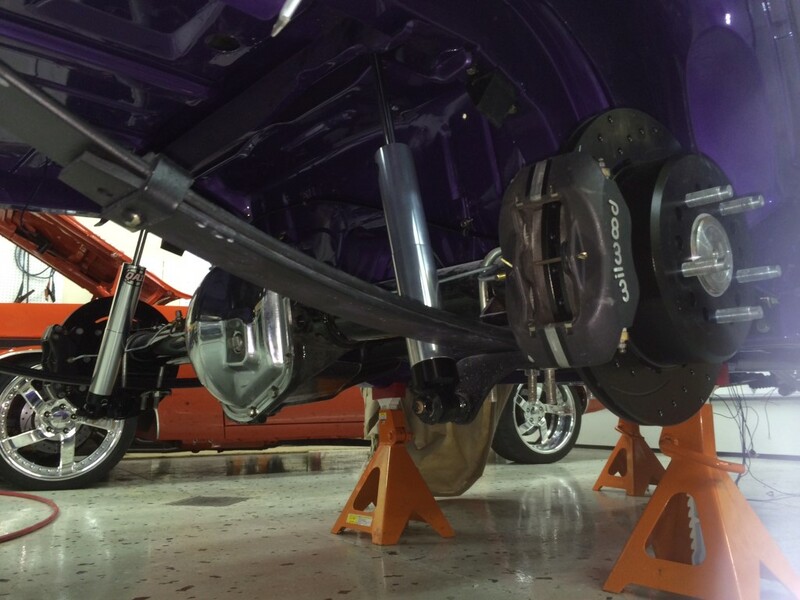 Maybe that’s a kind of obsessive-compulsive disorder, but when you get results like this, a little crazy is probably OK. It’s backed by a Silver Sport/Tremec TKO600 5-speed manual transmission that doesn’t seem to mind the massive torque moving through it. 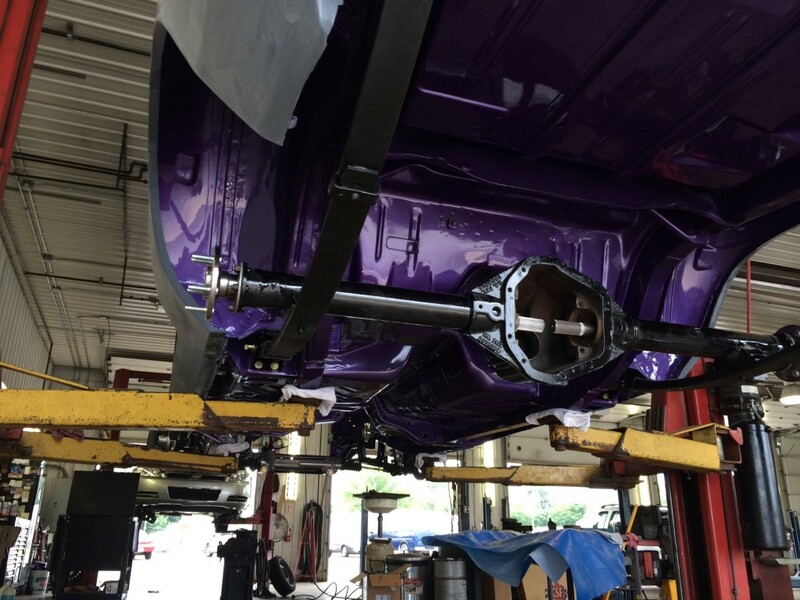 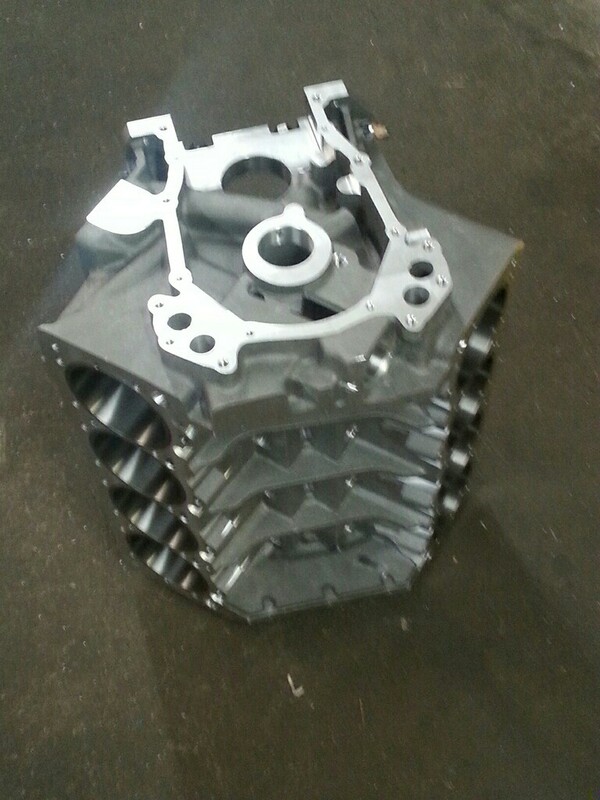 A custom driveshaft was fabricated to withstand the force and feeds a Scott’s Driveline Dana 60 rear end filled with 3.73 gears on a Sure Grip limited slip. 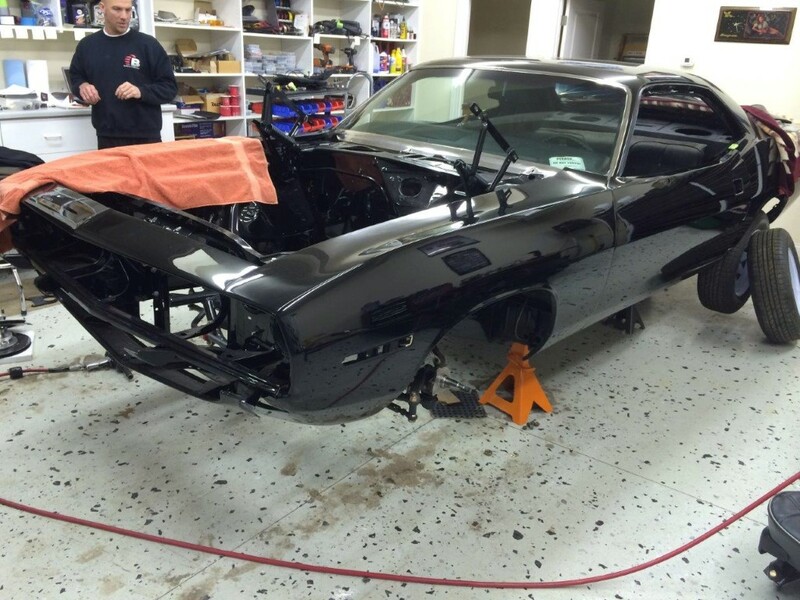 The original suspension is long gone (would you trust it at this point?) 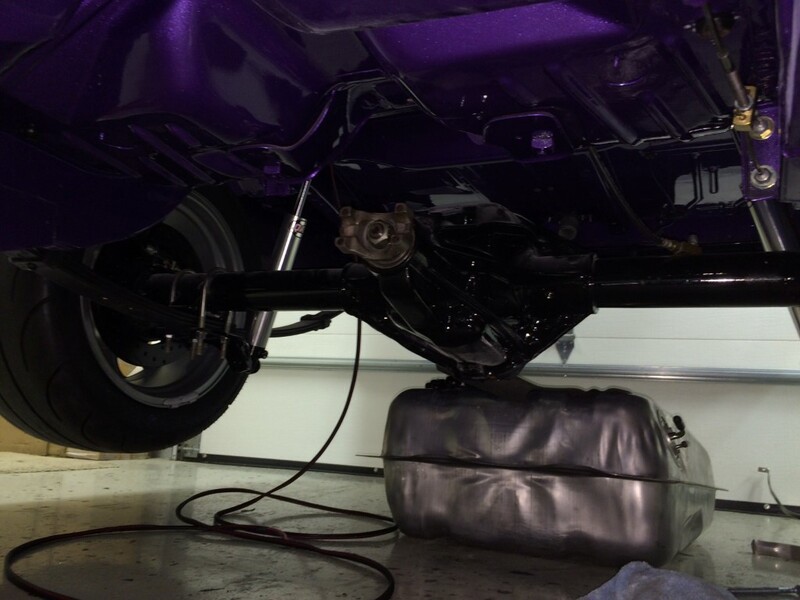 and replaced with a tubular subframe and a full Control Freak/Reilly Motorsports front suspension with tubular A-arms, coil-over shocks, and a fat sway bar. 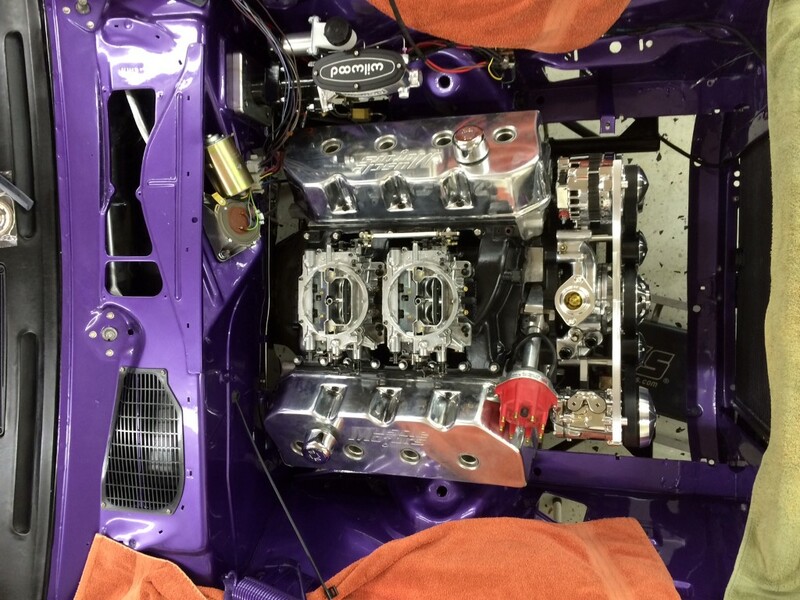 There’s also power rack-and-pinion steering, so even with the fat tires it steers so nice your grandmother could manage it, and a Wilwood brake system with 6-piston calipers in front and 4-pistons in back, all supported by a Hydro-Boost power assist. 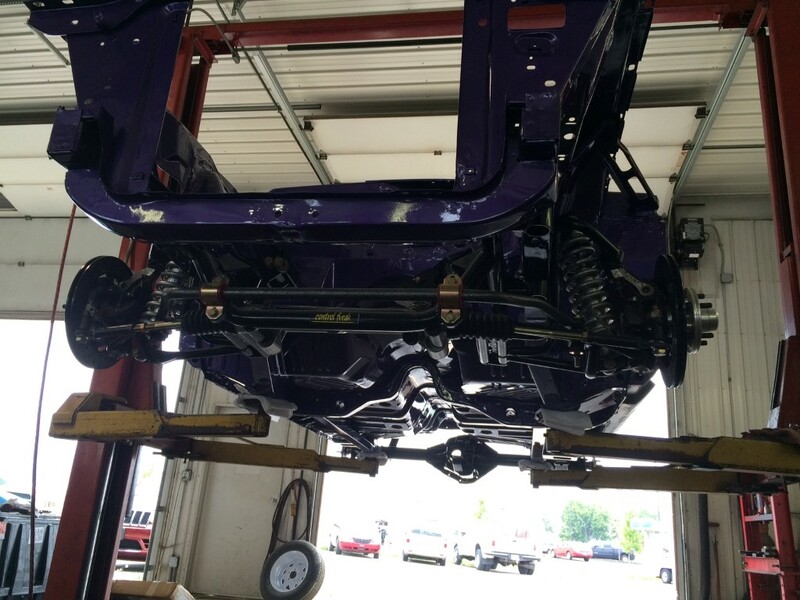 In back, that bulletproof Dana 60 hangs on a custom Hotchkiss suspension with a set of trick QA1 adjustable shocks and application-specific leaf springs. 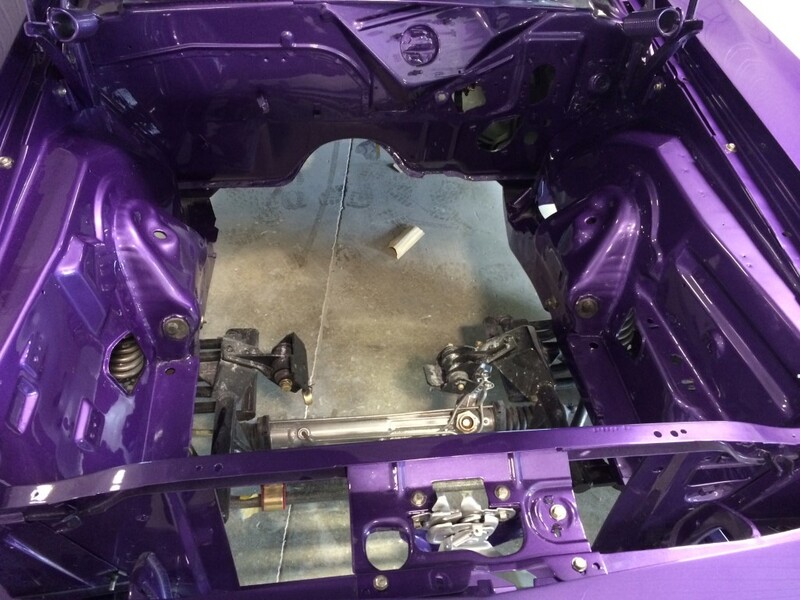 Subframe connectors reinforce the tub and obviously the floors and underside of the car are every bit as nice as the top side. 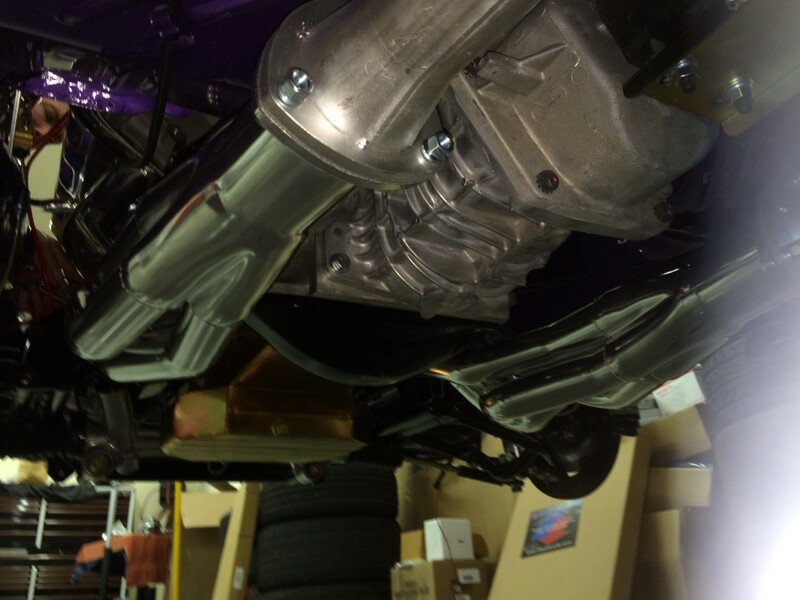 Finally, I would be remiss if I didn’t mention the gorgeous fabricated 2.5-inch exhaust system from TTI Exhasust, which features polished ceramic-coated long-tube headers, a TTI X-pipe, and mufflers big enough to make the Hemi a reasonable choice for long-distance cruising. 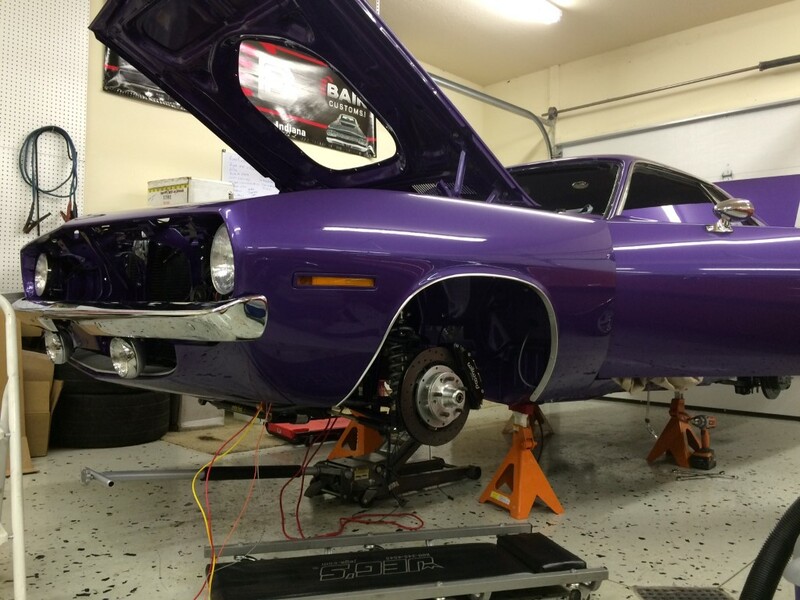 Custom Rallye wheels measuring 17×8 up front and 17×9 in back were fitted with Mickey Thompson street performance tires that do their best to hook it up. 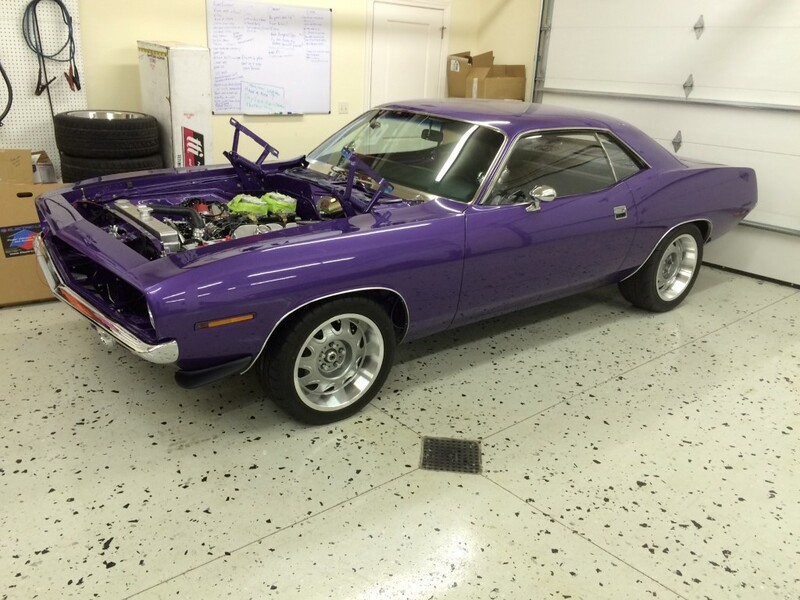 This incredible car is fully sorted and ready to rock. 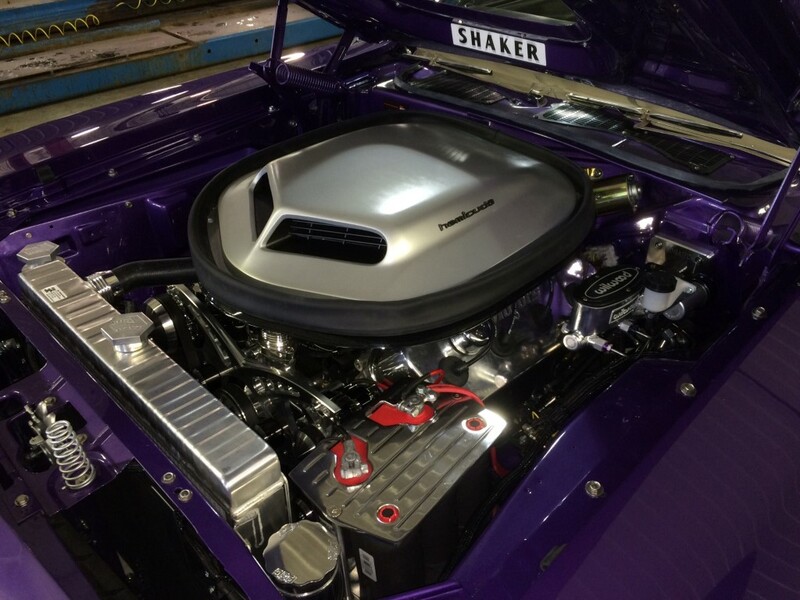 You’ll probably need a new Viper to keep up with it, and if you put a set of stock rims on it, it might even pass for a restored stocker at shows. 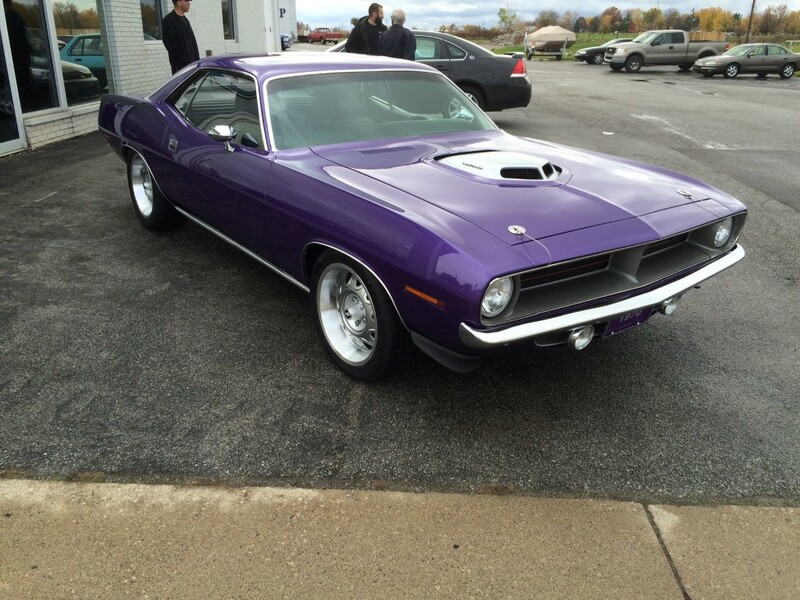 The combination of build quality, performance, and the subtlety of the package make for an insanely appealing ‘Cuda. 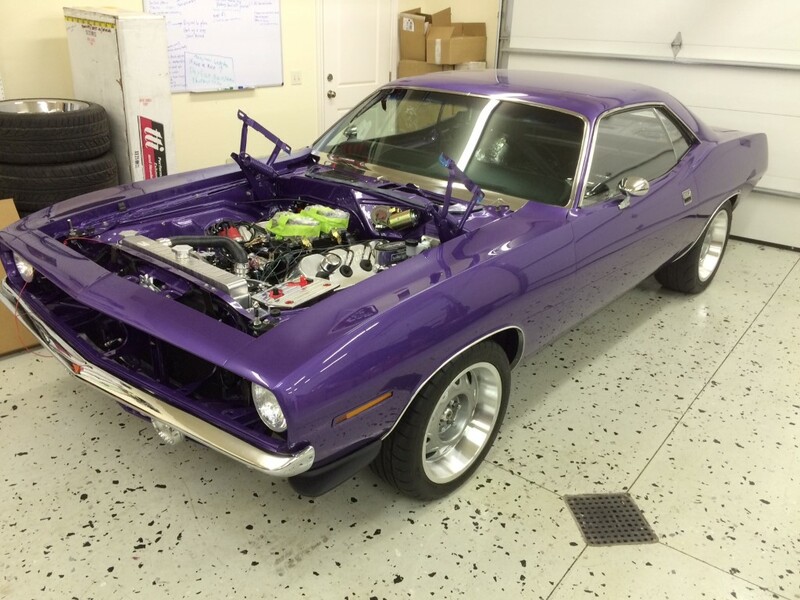 It’s a big kid’s toy, but there are no disappointments at any level with this incredible ‘Cuda. 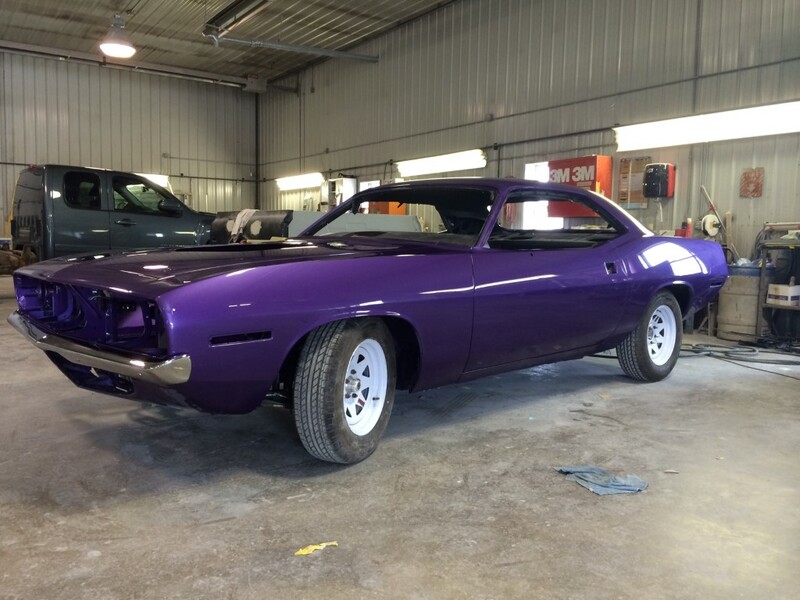 Pam and Bill Fix are the proud owner’s of this beautiful 1970 Plymouth Hemi ‘Cuda, built by Bair Customs and the Big Hemi Garage. 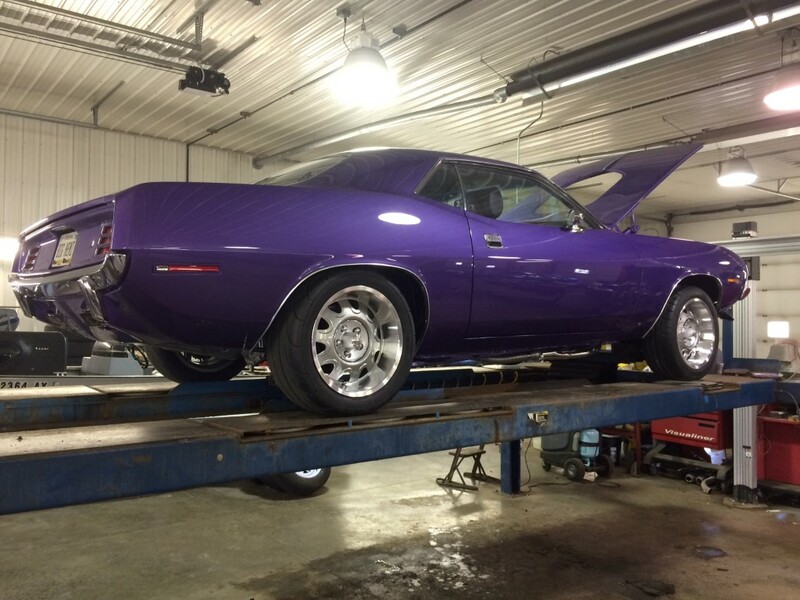 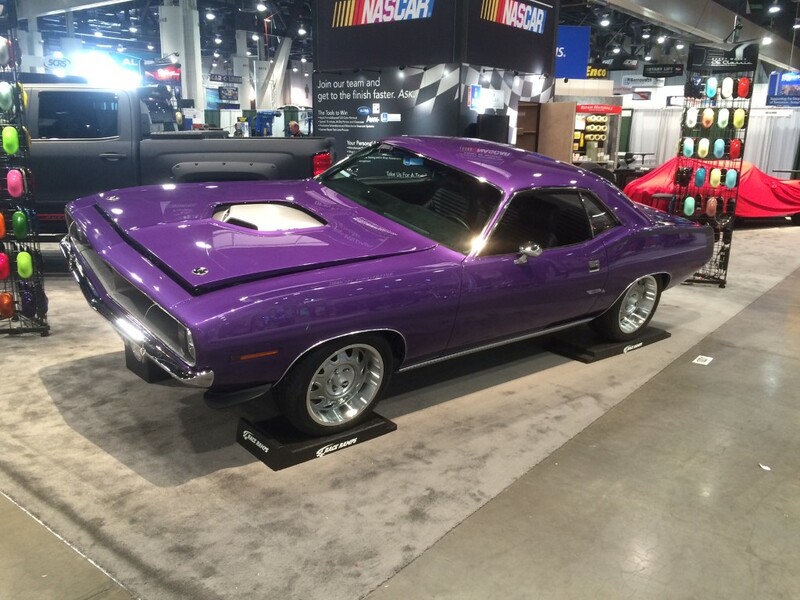 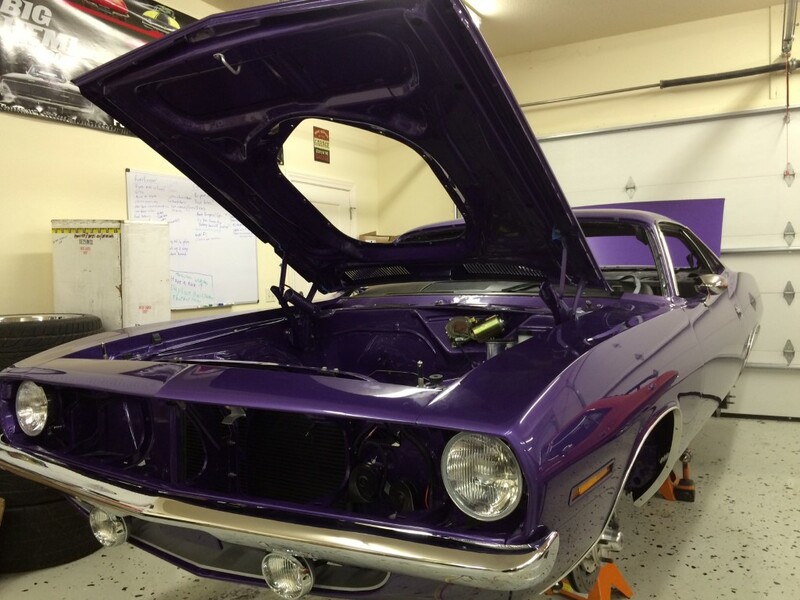 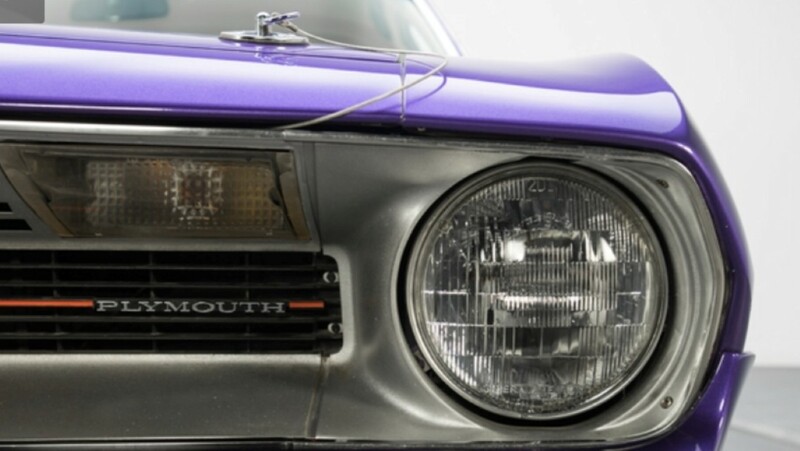 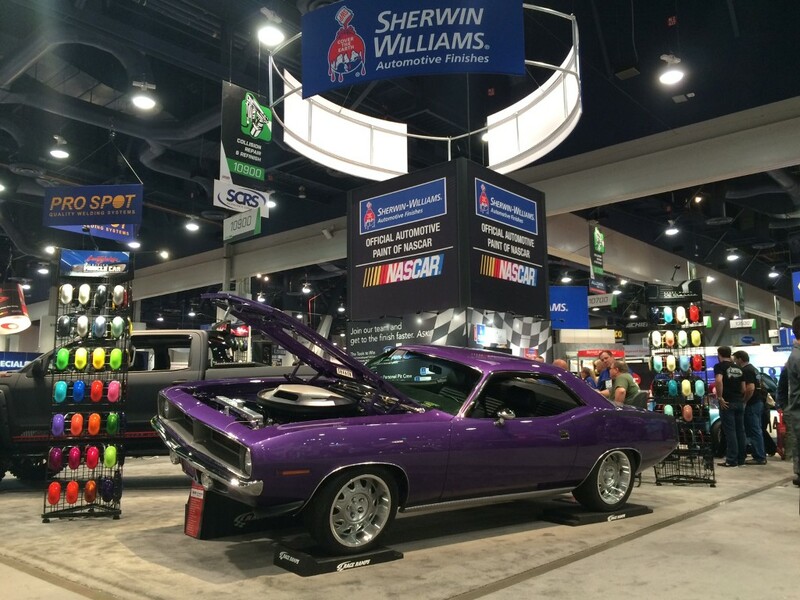 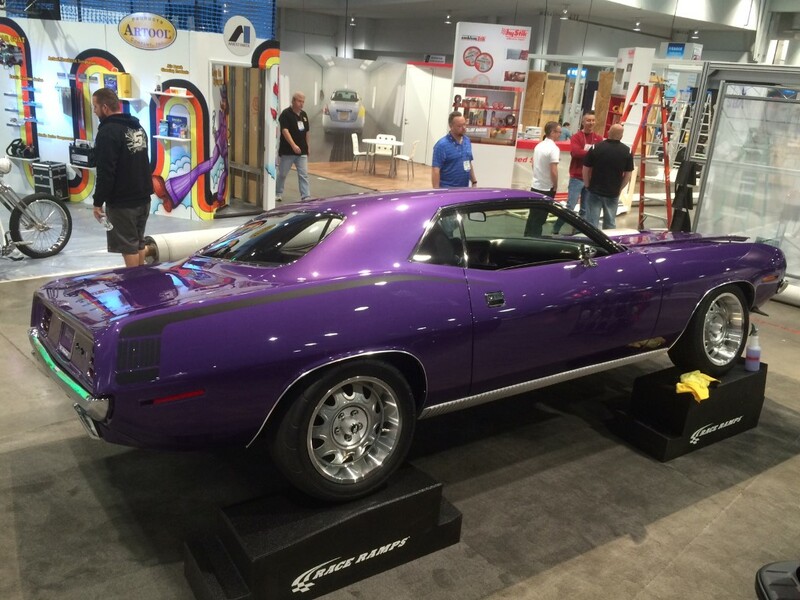 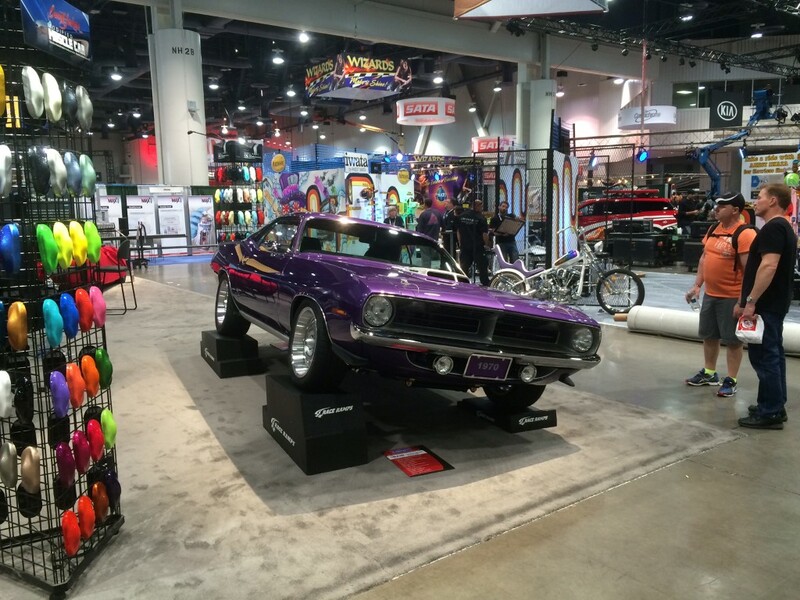 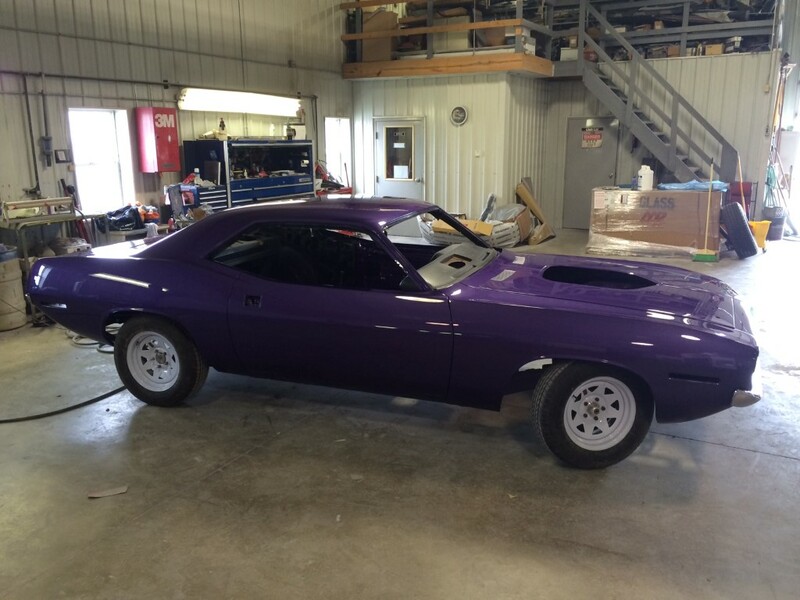 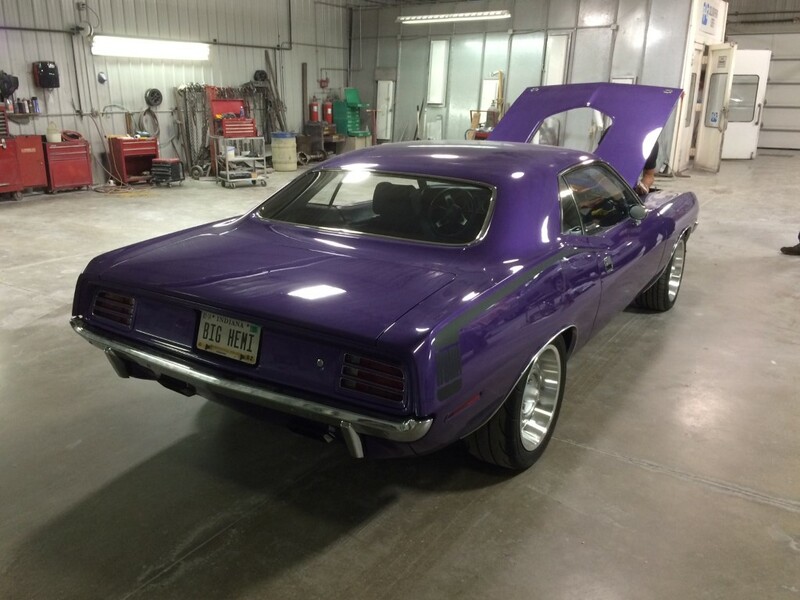 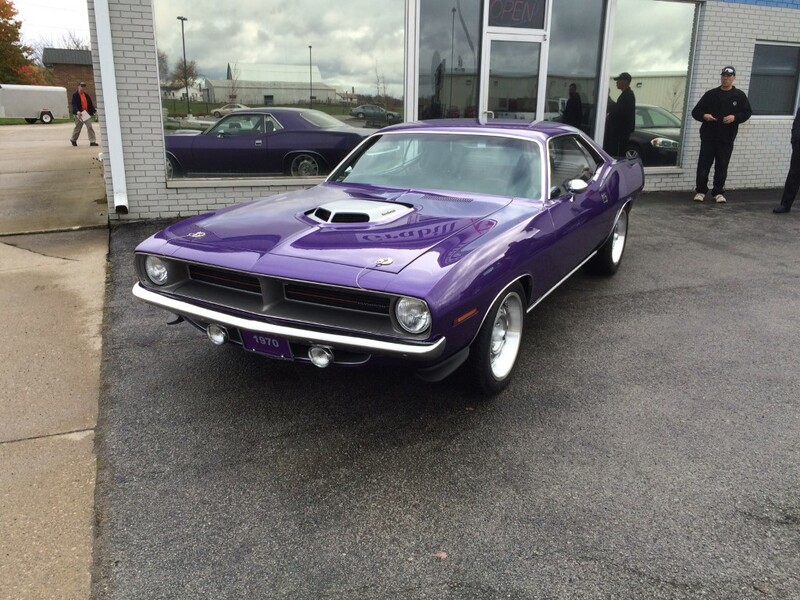 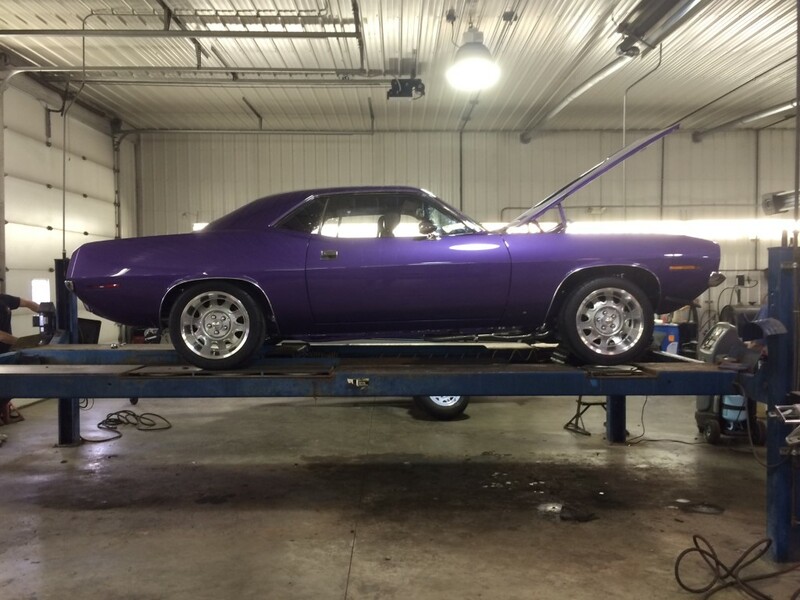 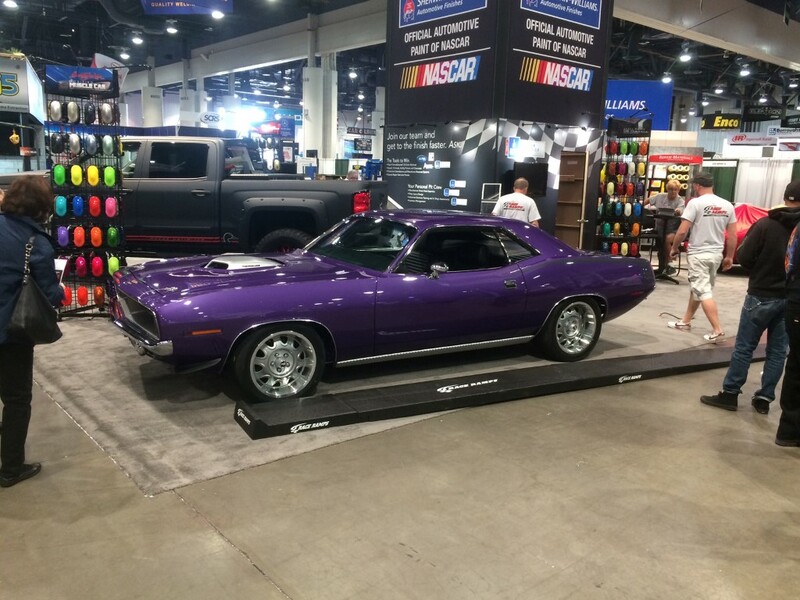 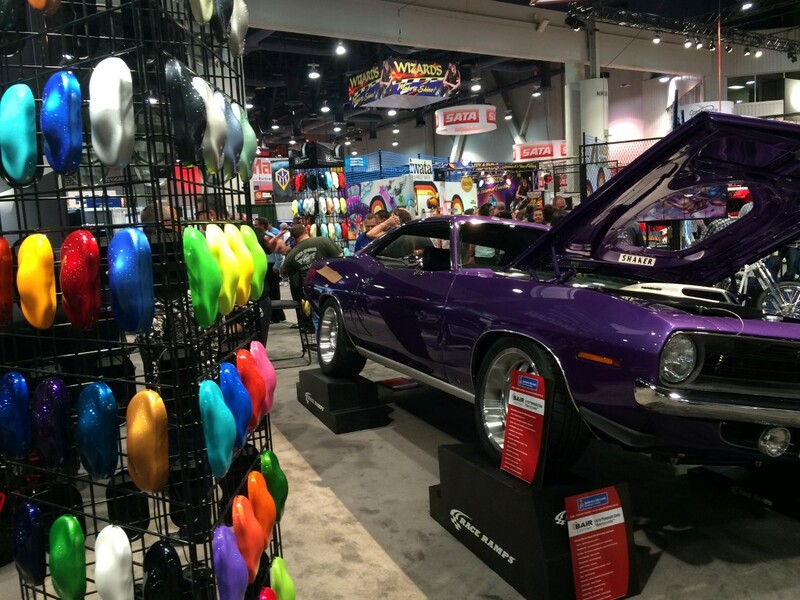 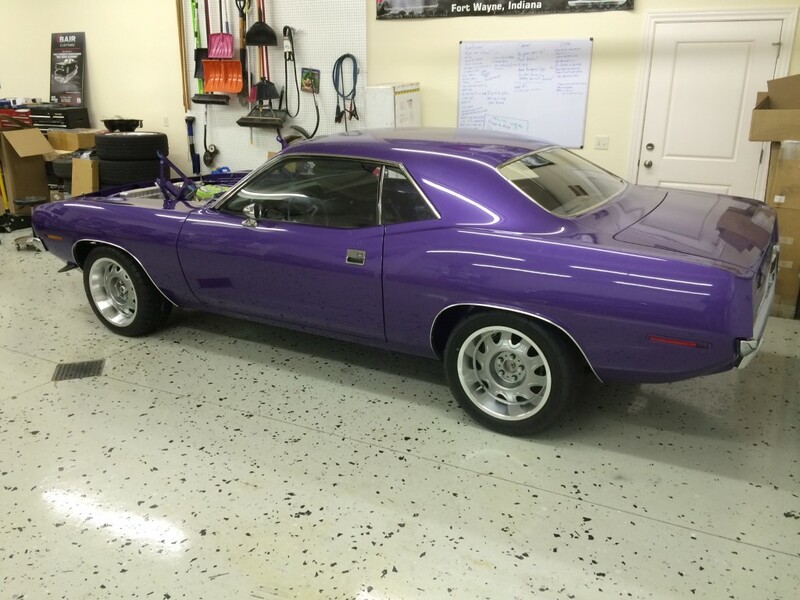 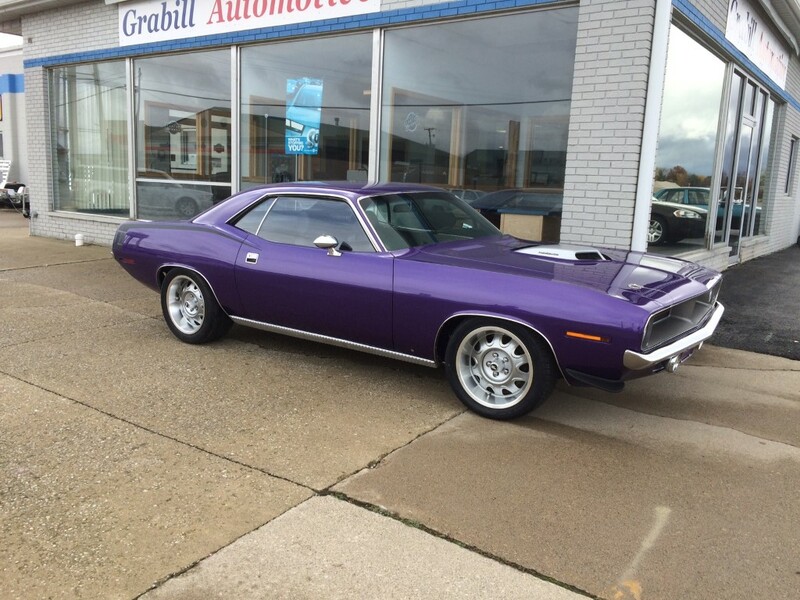 This Plum Crazy Metallic Purple Hemi Cuda is a tribute car to the late Barry Bergquist , Pam’s older firefighter brother. 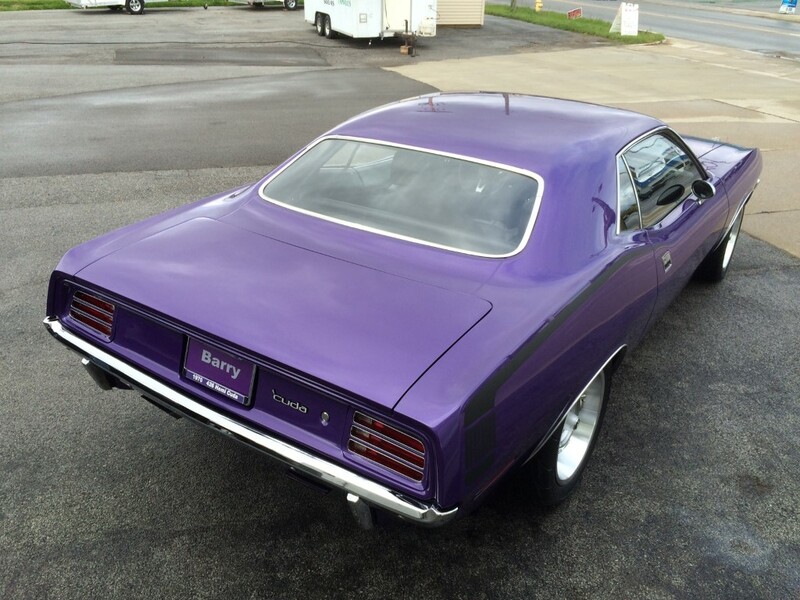 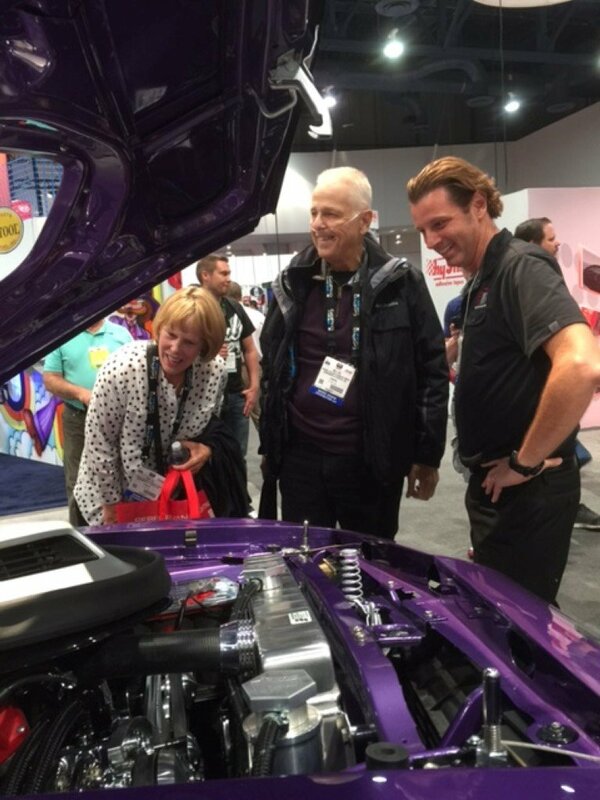 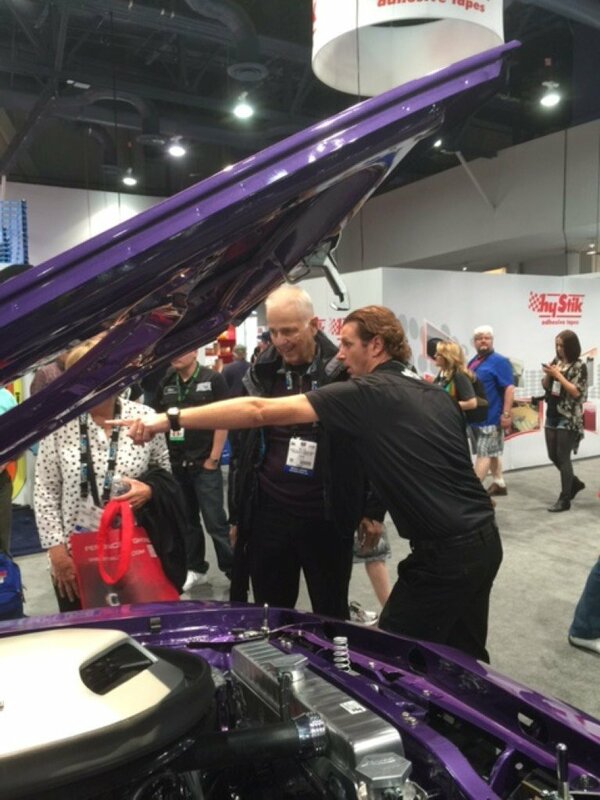 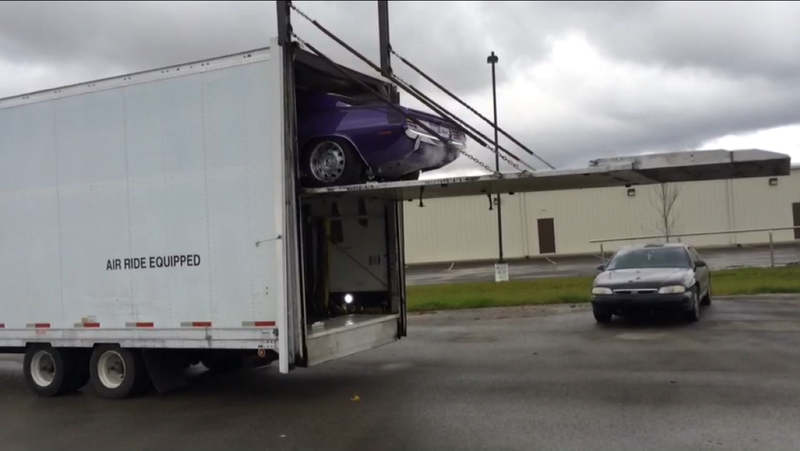 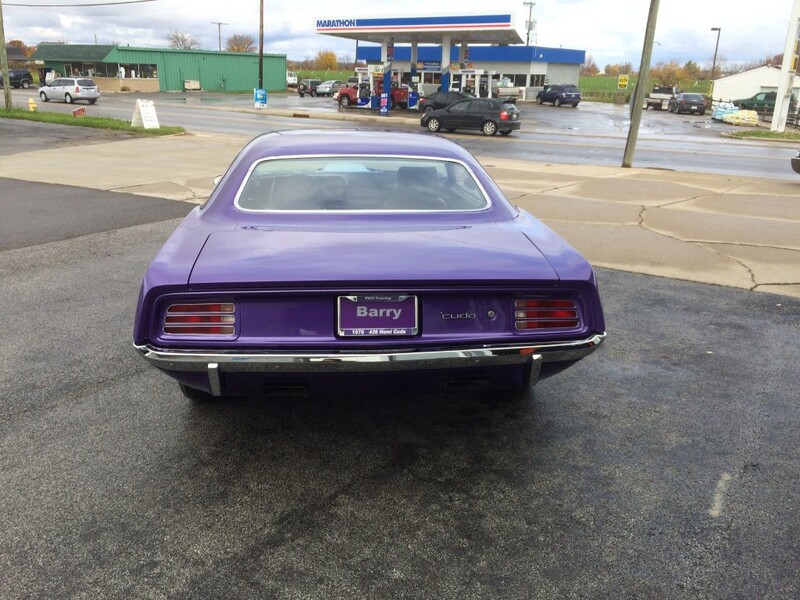 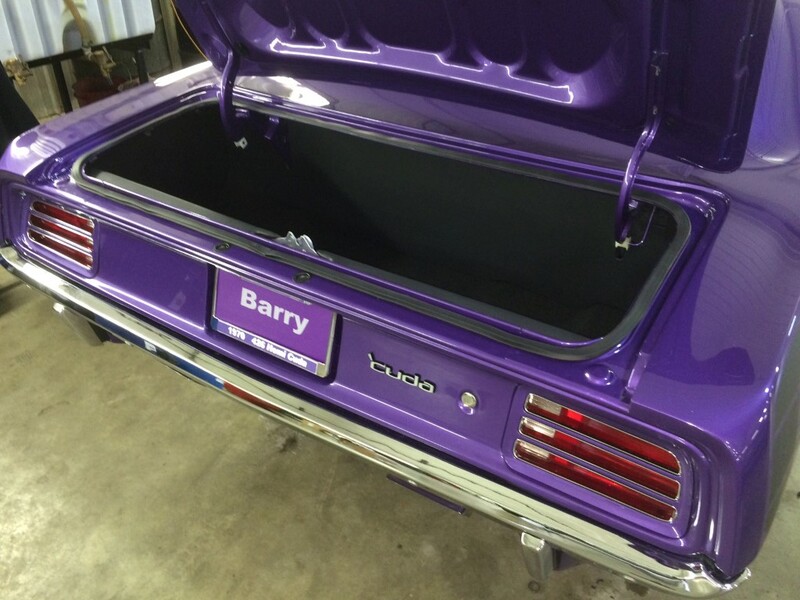 He passed away almost 30 years ago, and Pam and Bill thought it would be great to name the Purple car after him, “BarryCuda” was born. 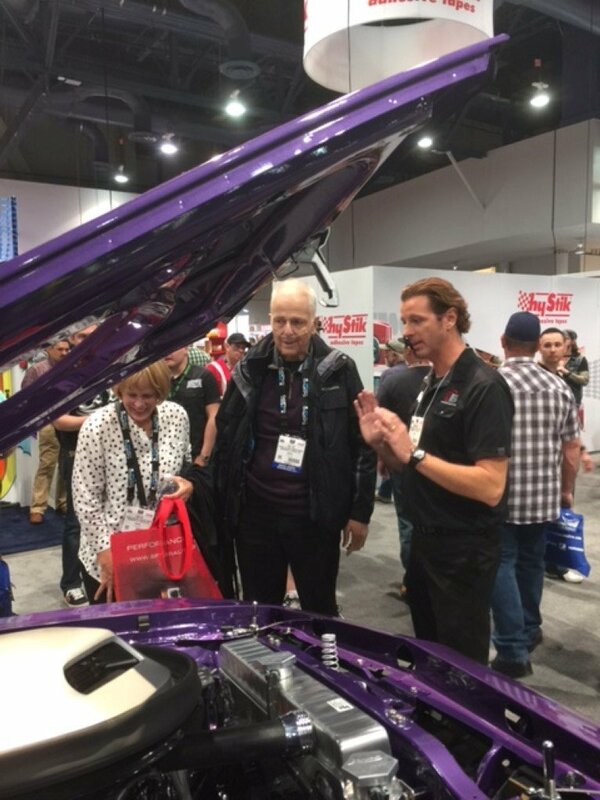 Bill and Barry grew up cruising Van Nuys Blvd., and although they did not know each other back in the 60’s, they had a mutual interest in cars and girls. 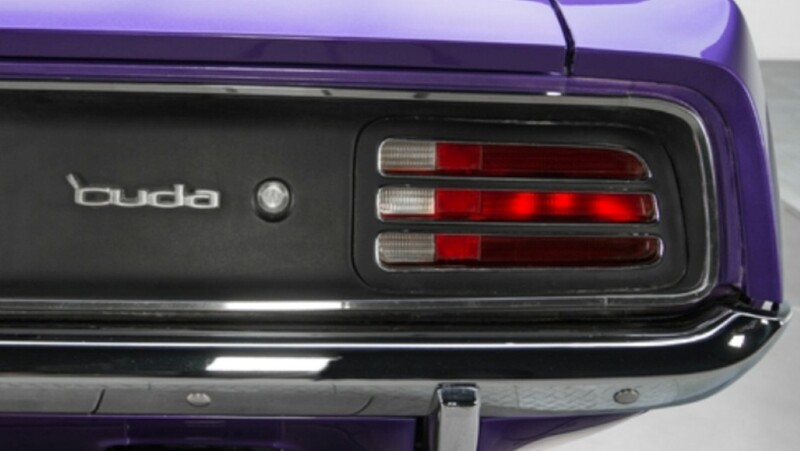 Little did they know they would have Pam “the sister and the girlfriend” in common.